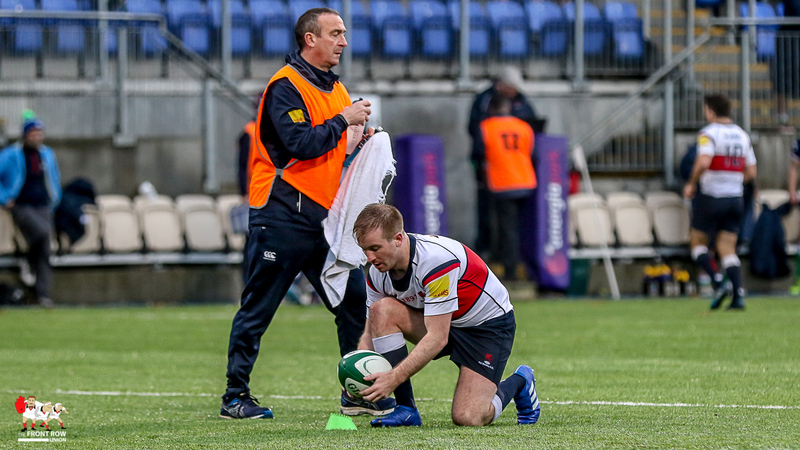 Ross Adair can't hide his excitement on finding the line after a good hour of searching! 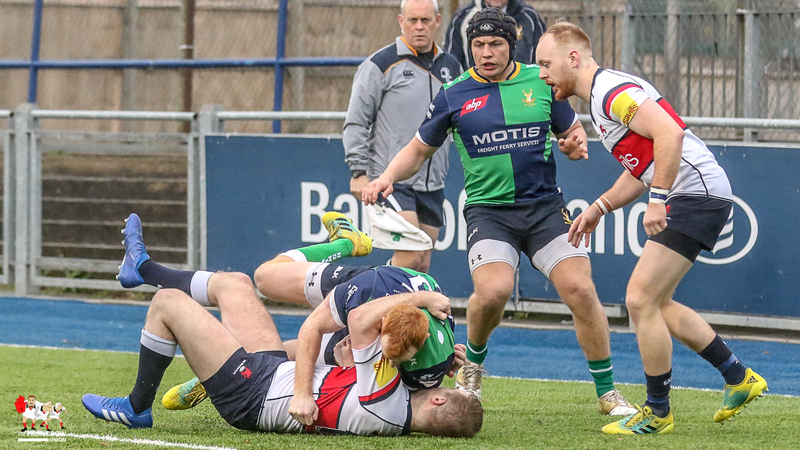 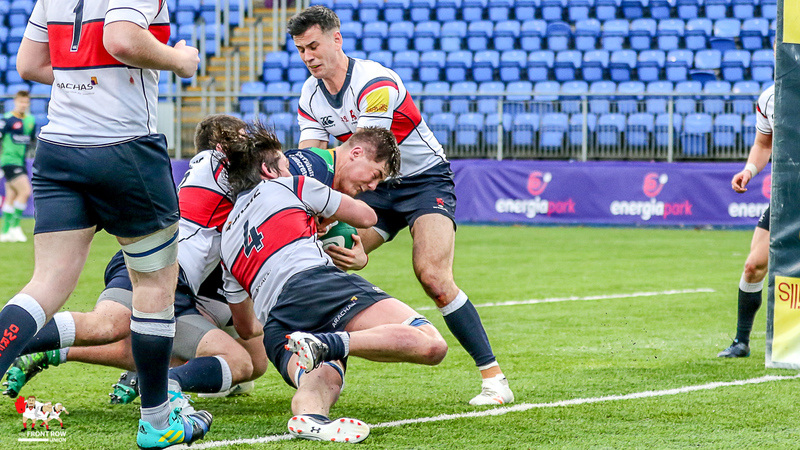 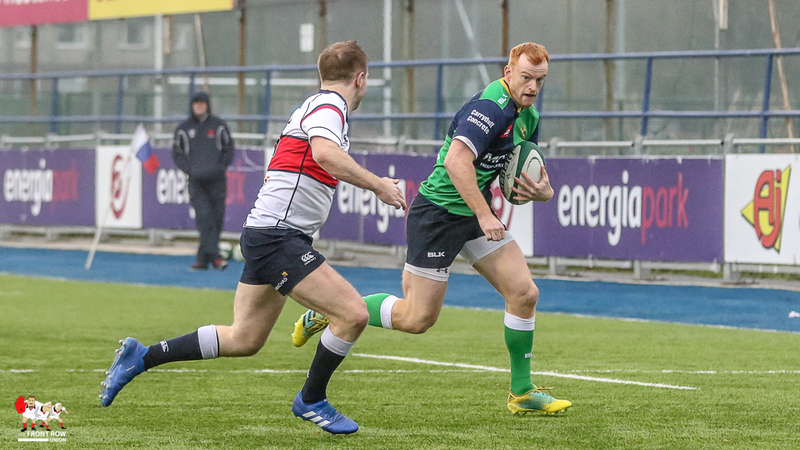 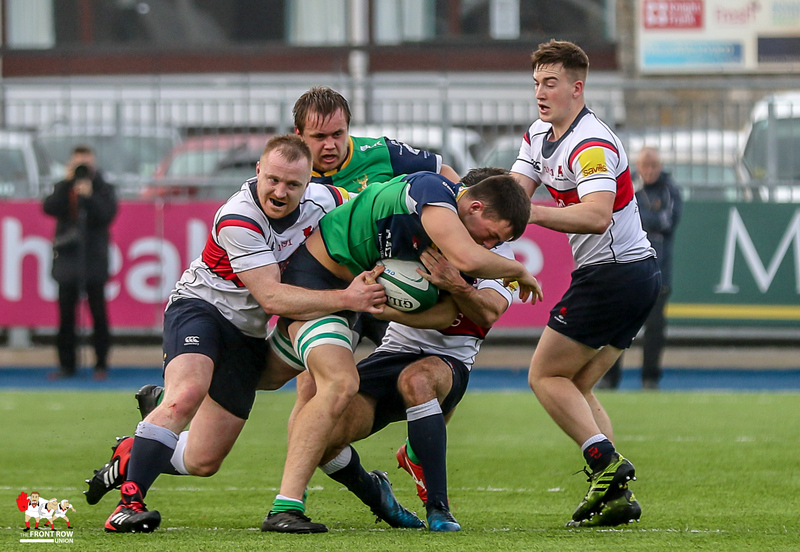 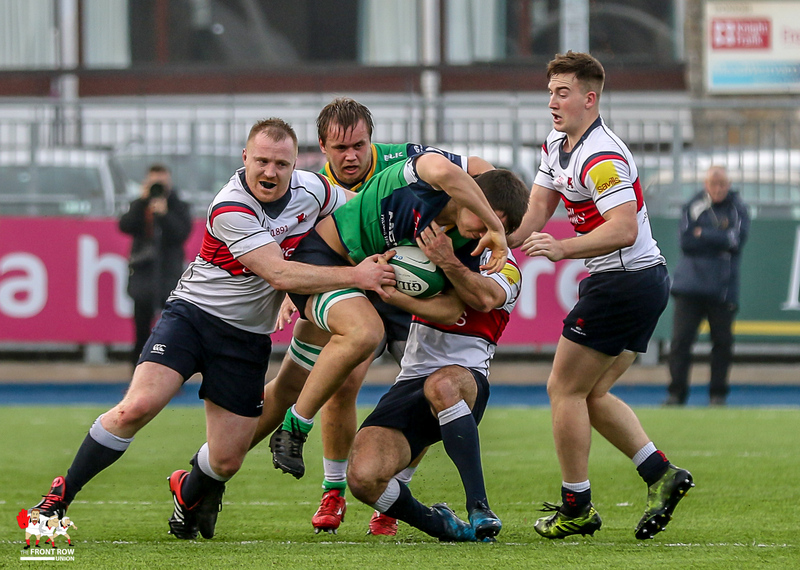 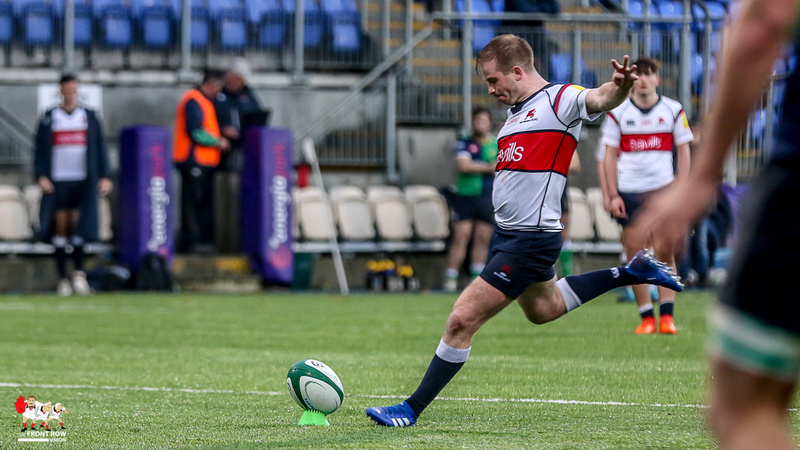 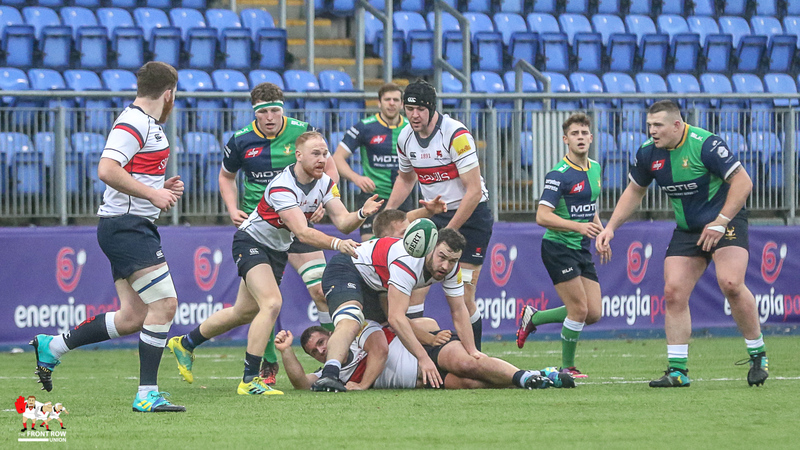 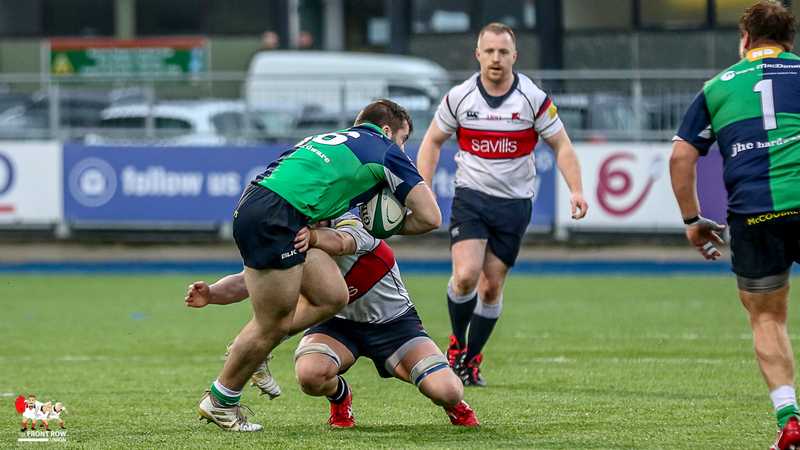 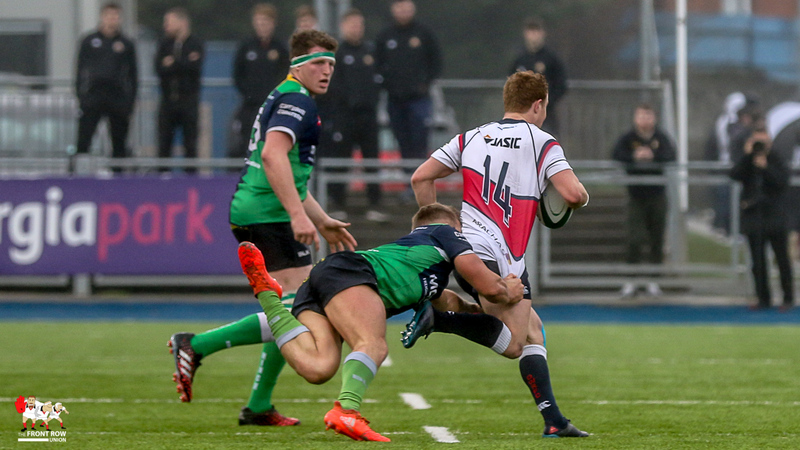 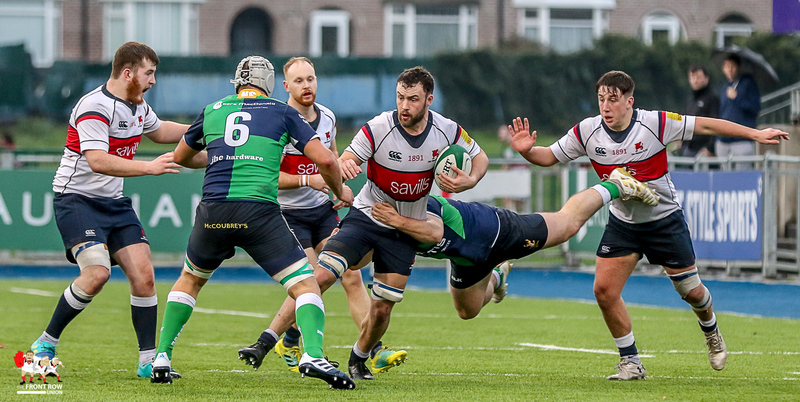 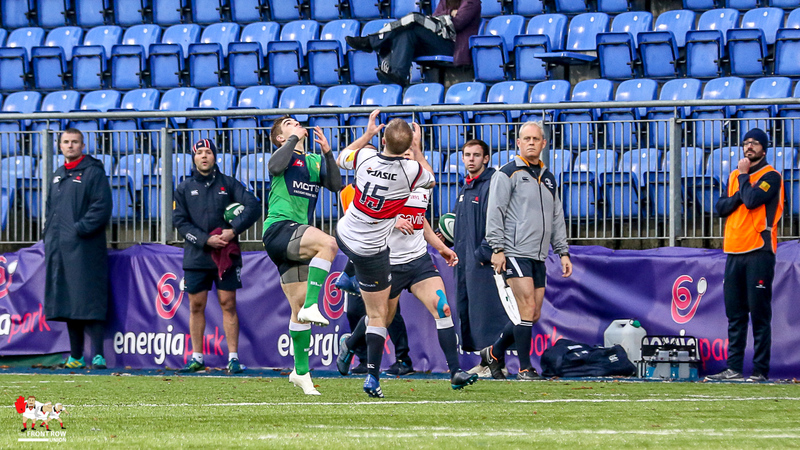 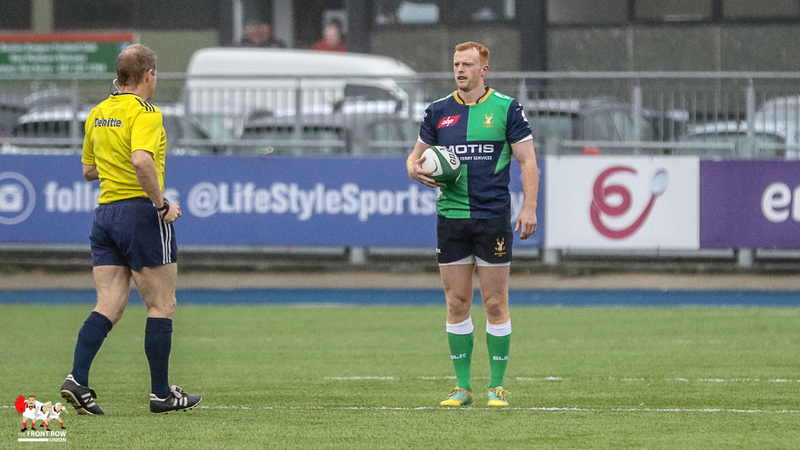 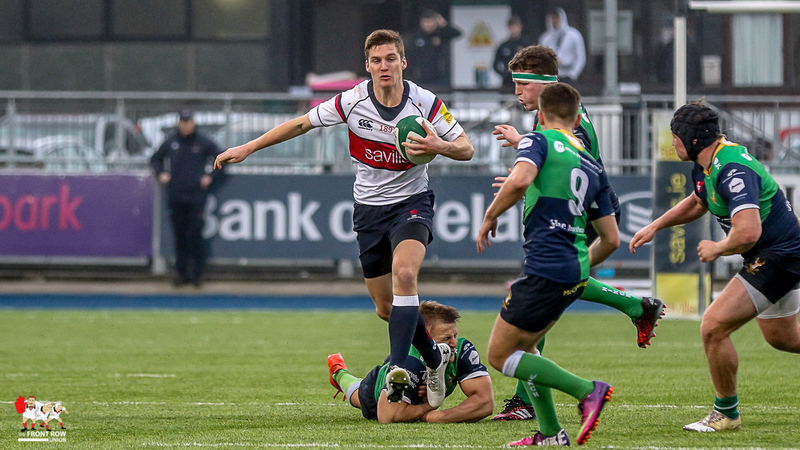 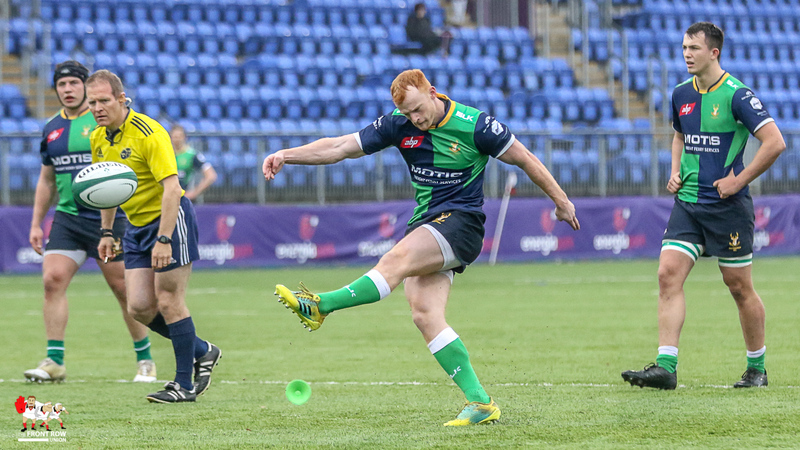 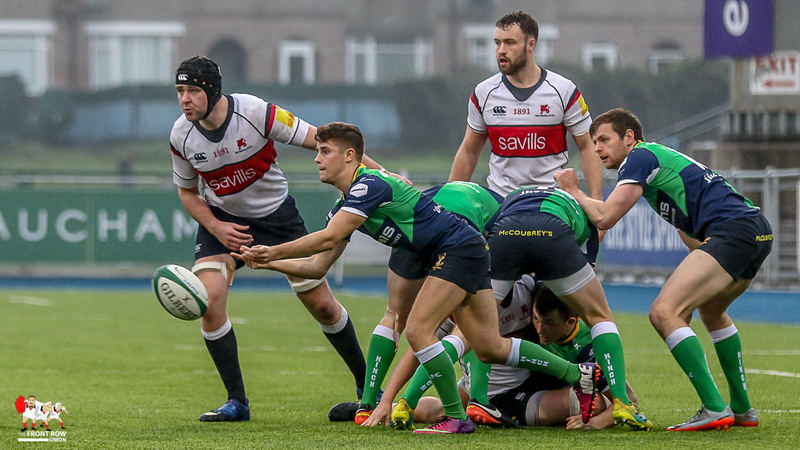 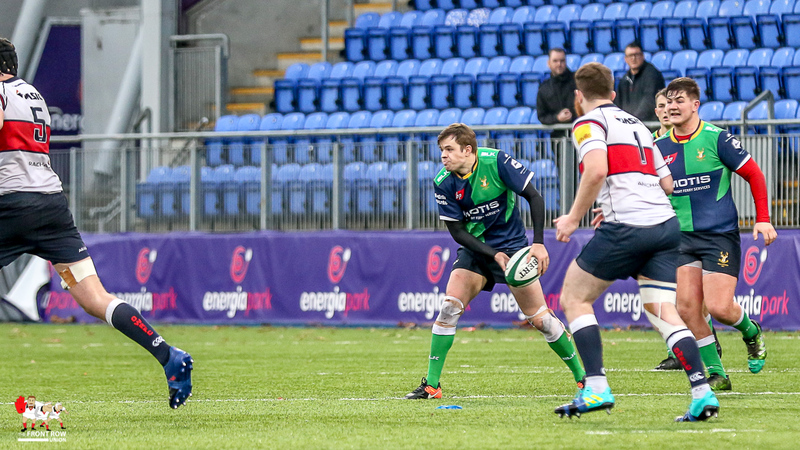 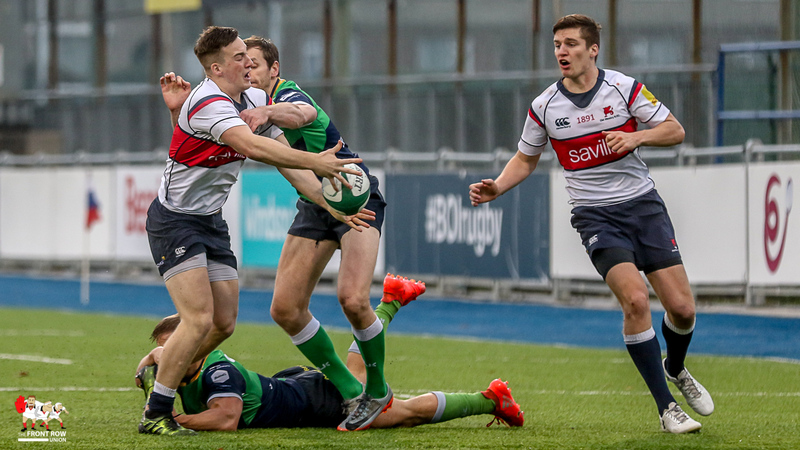 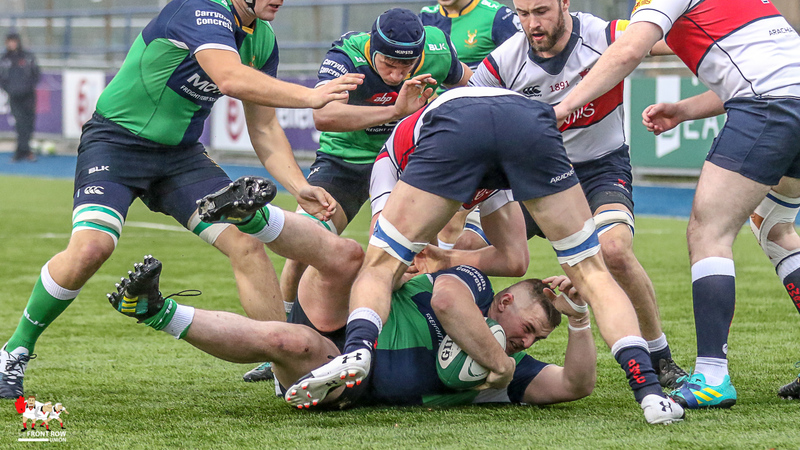 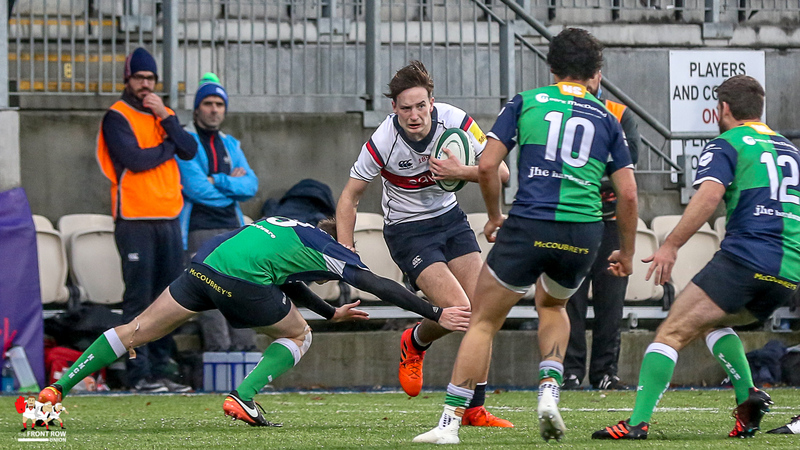 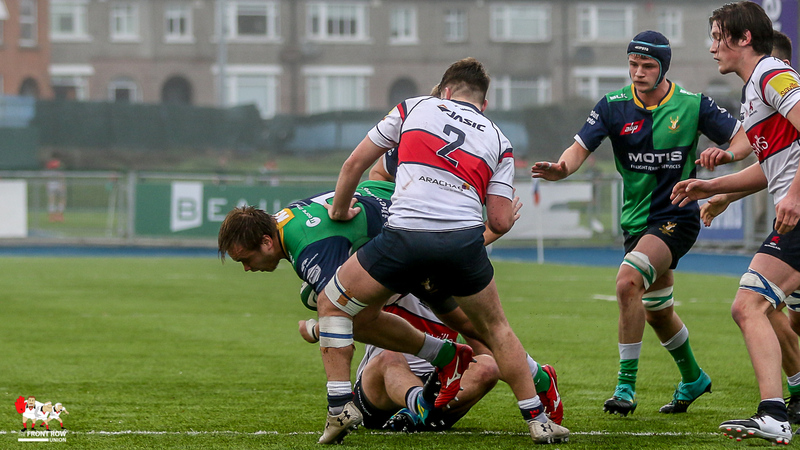 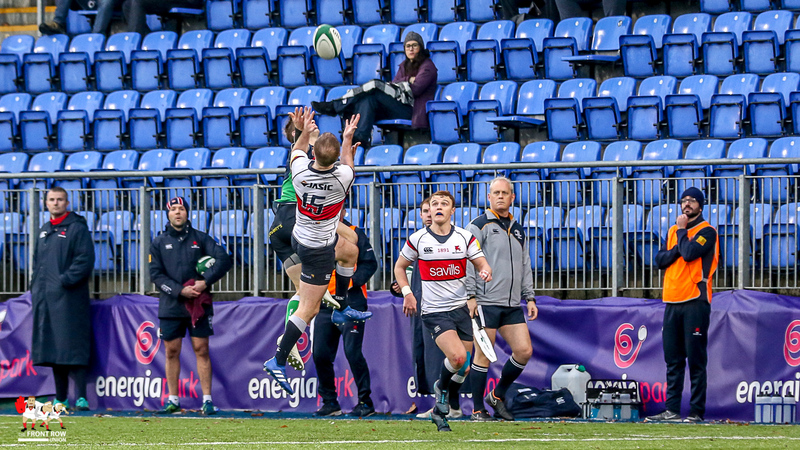 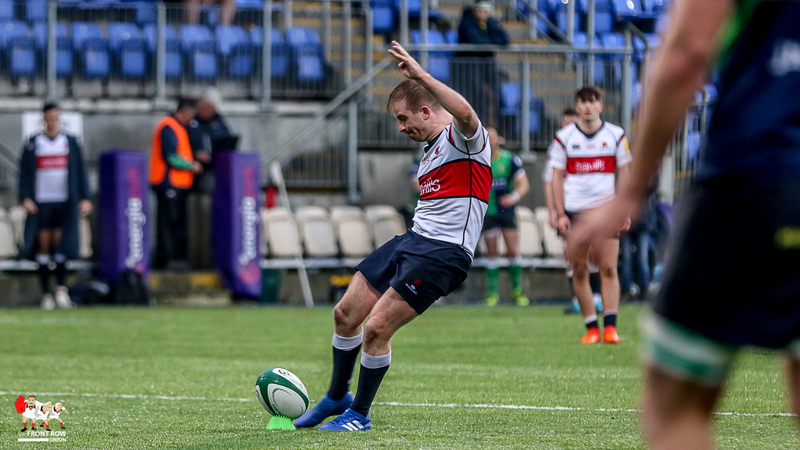 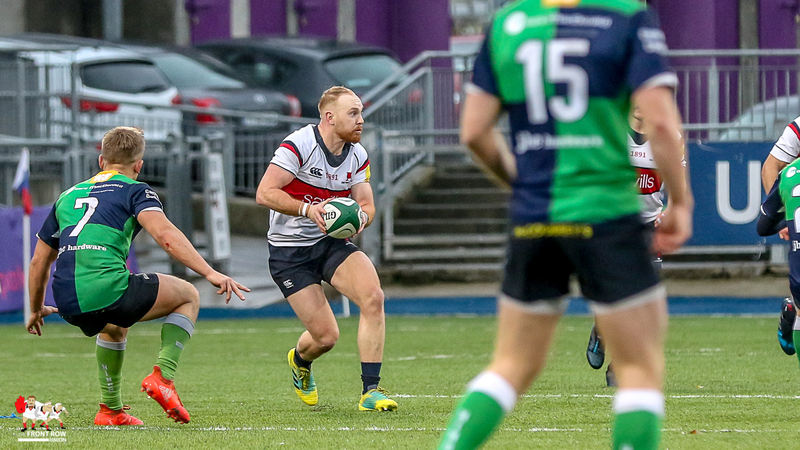 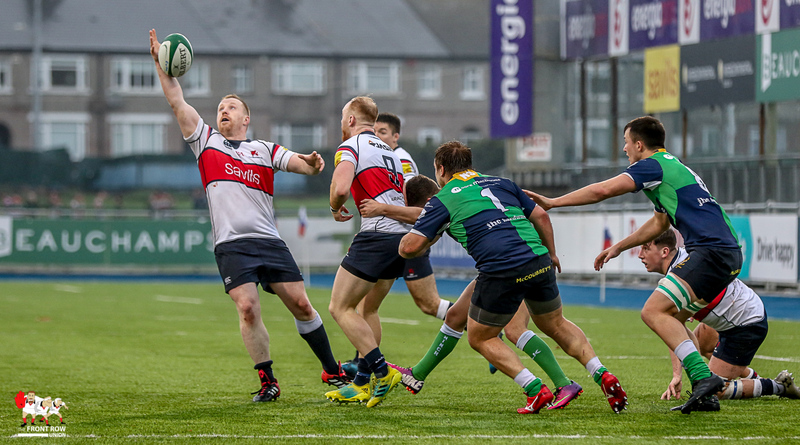 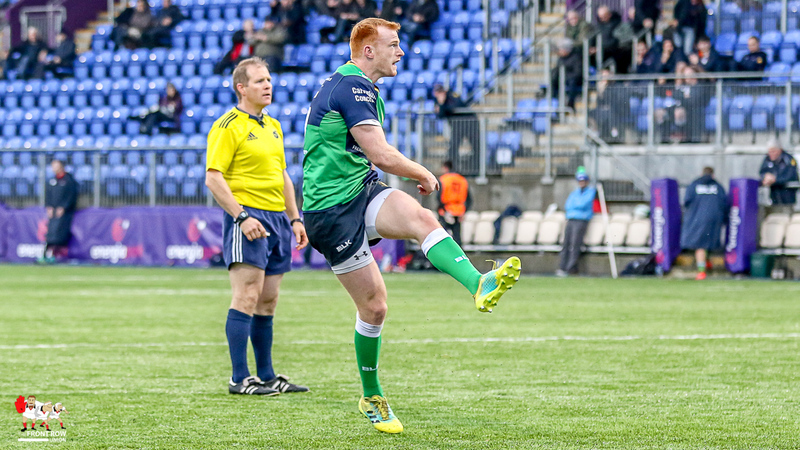 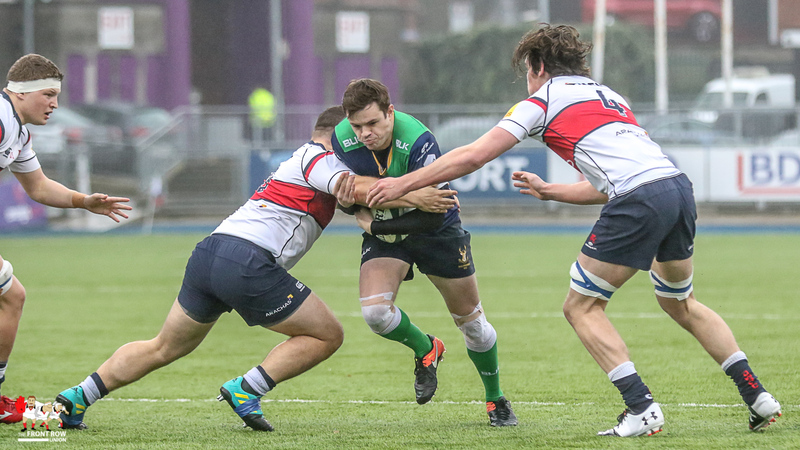 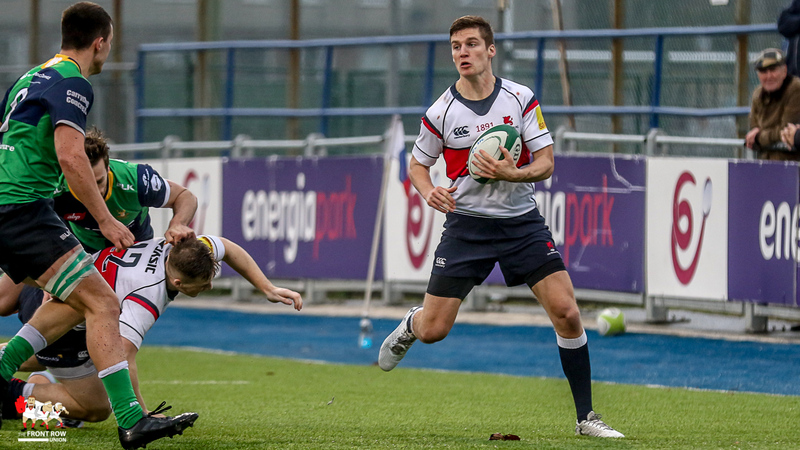 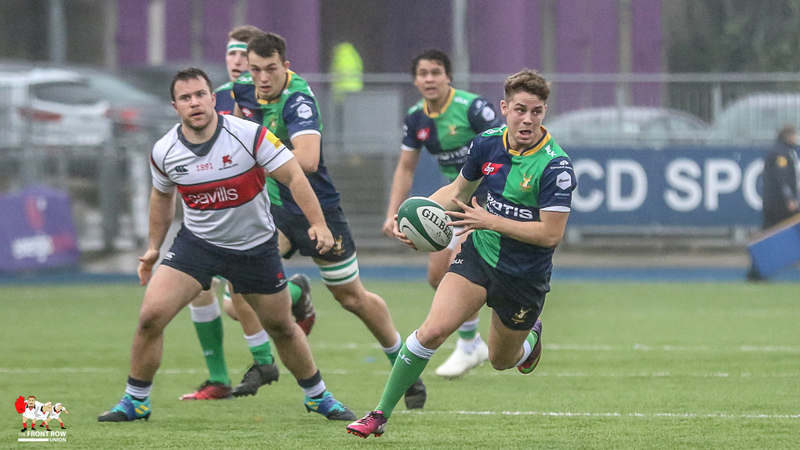 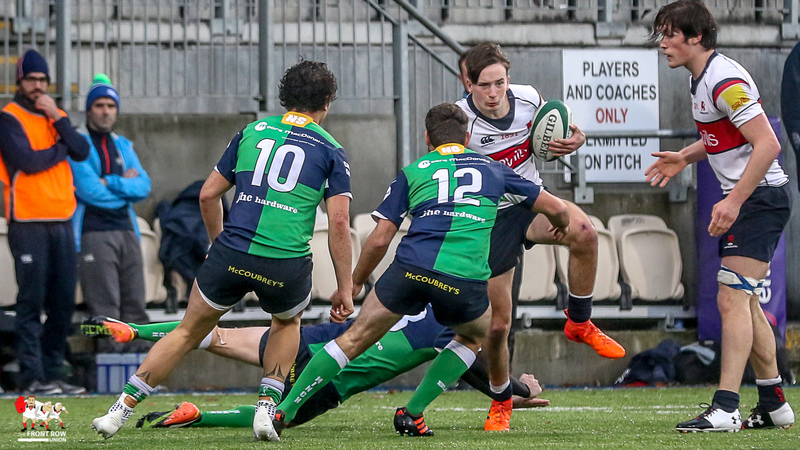 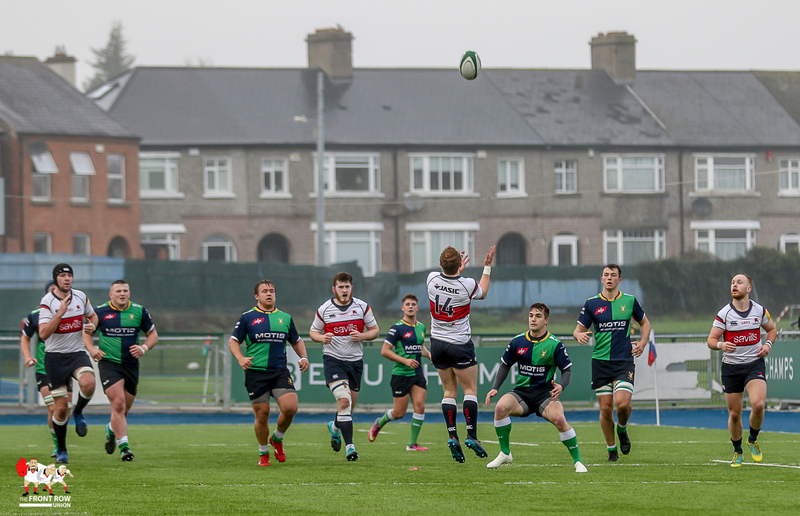 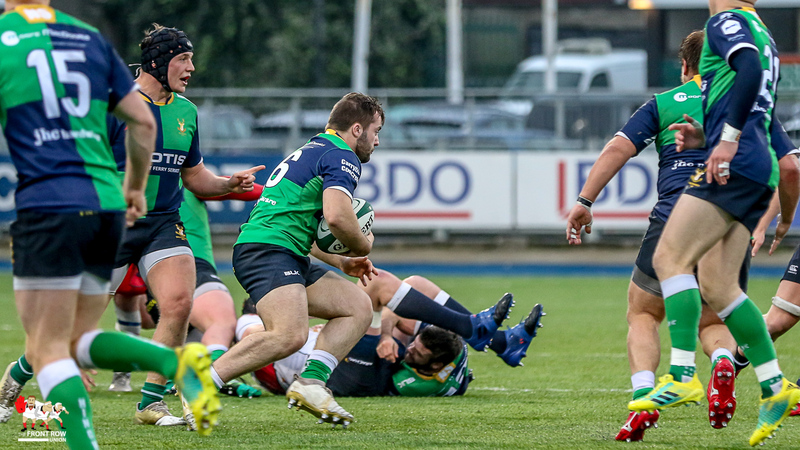 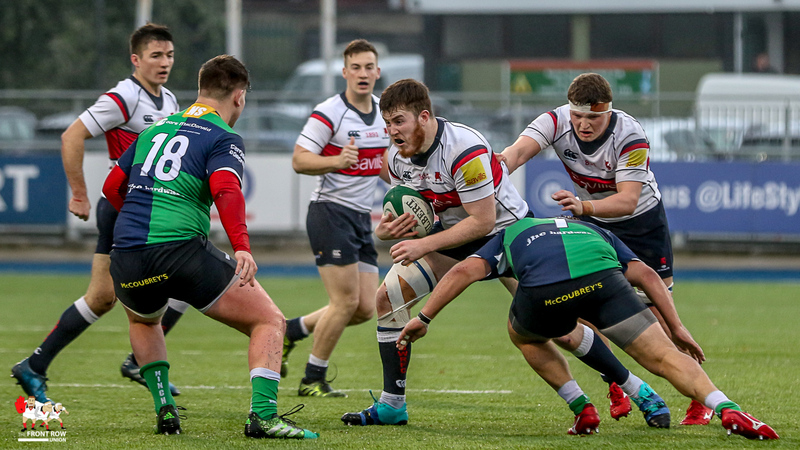 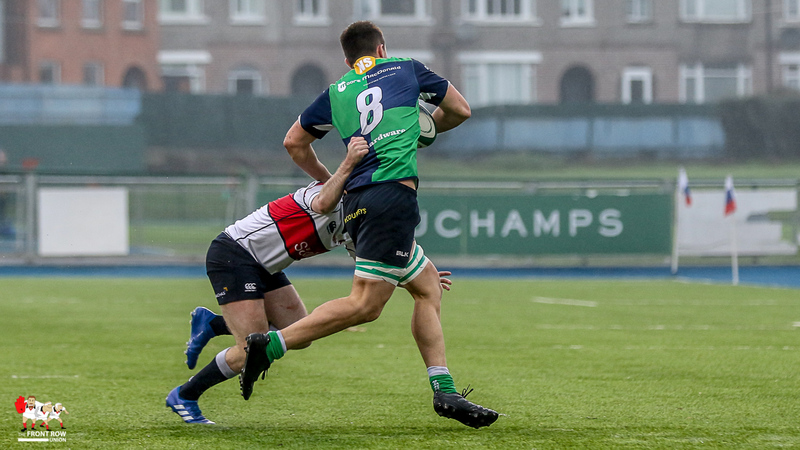 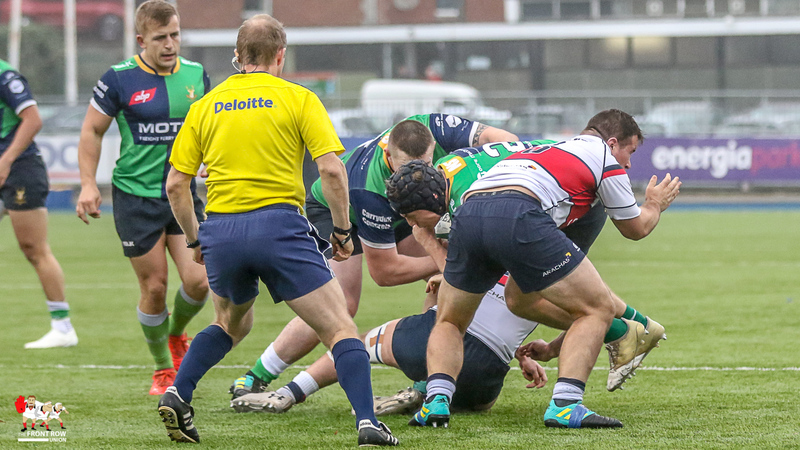 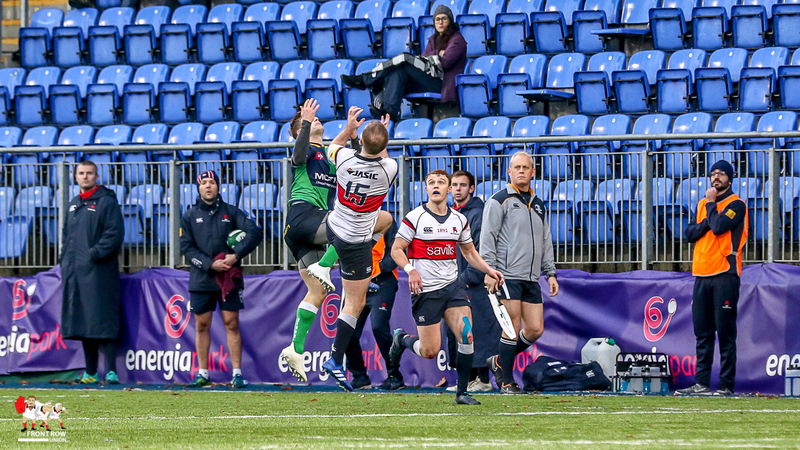 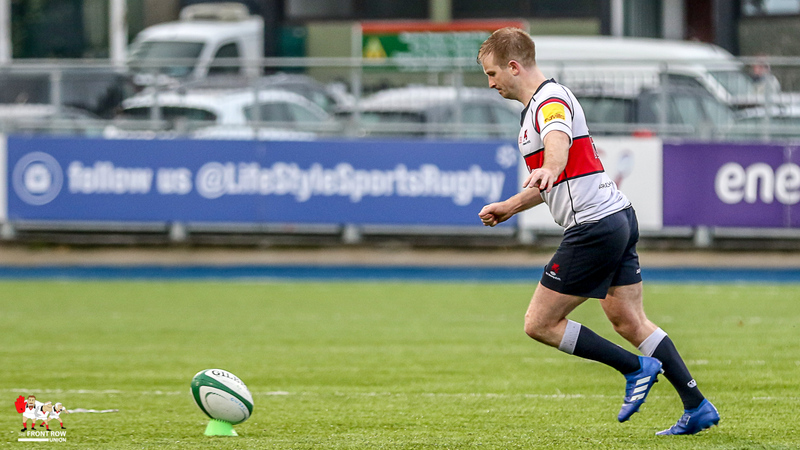 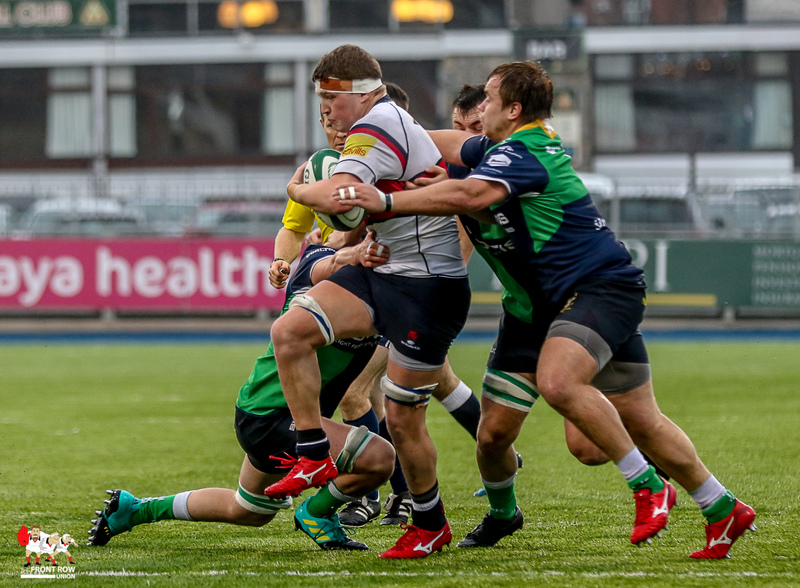 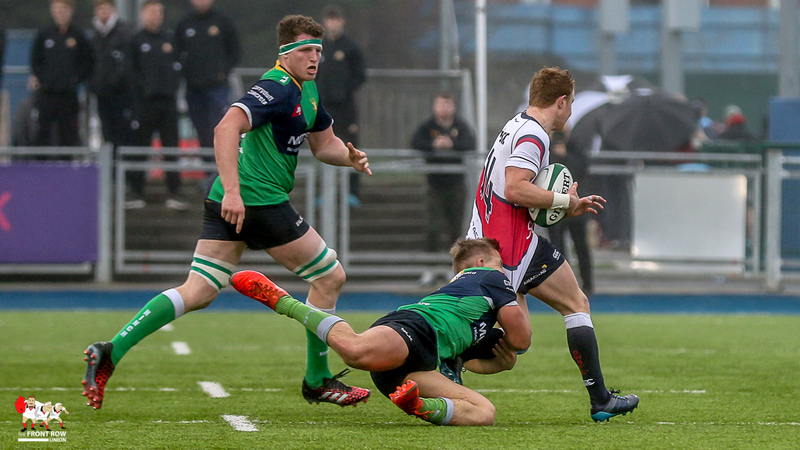 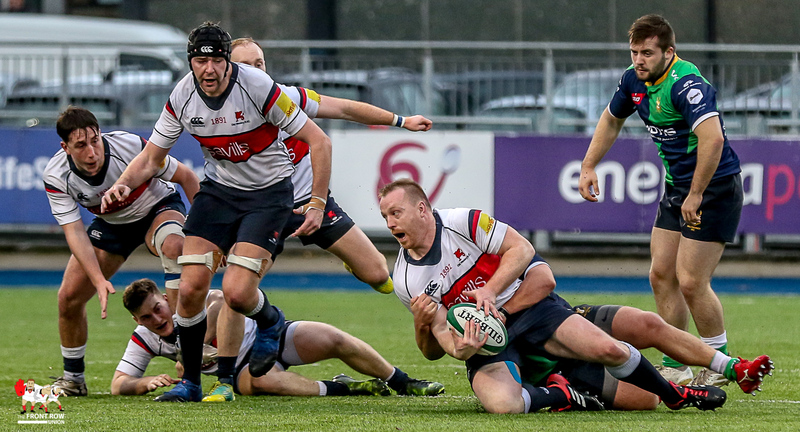 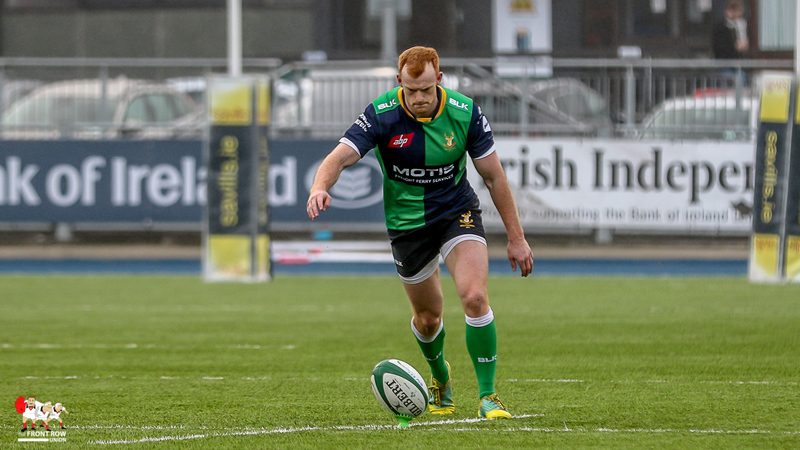 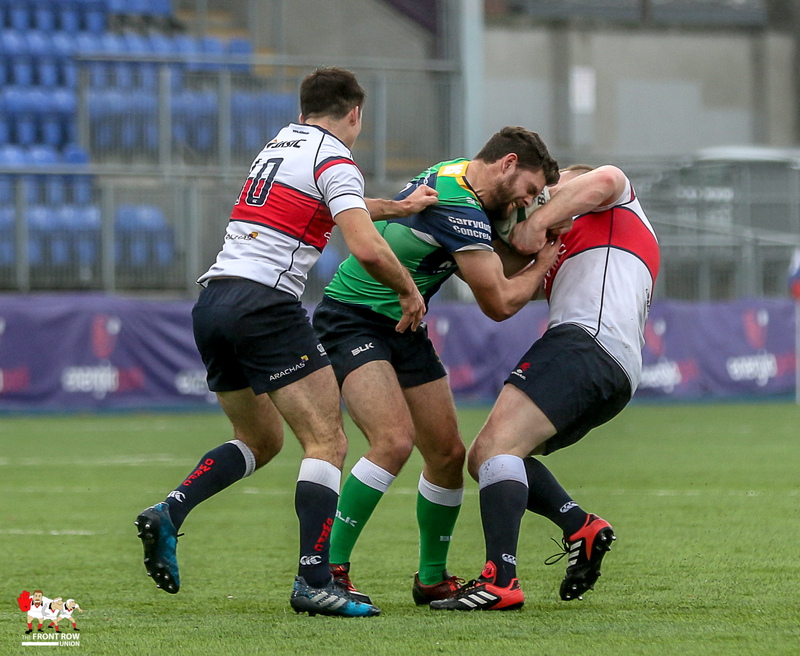 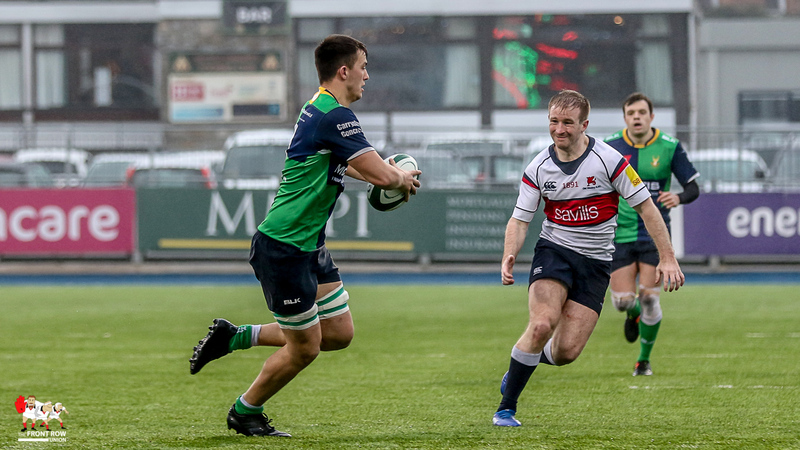 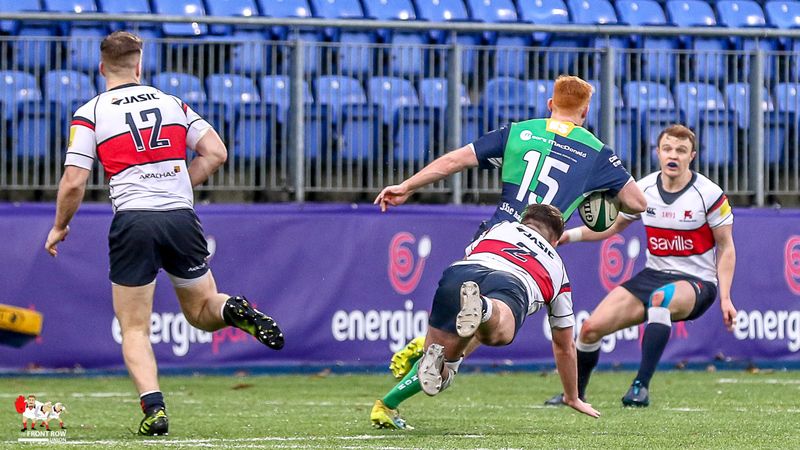 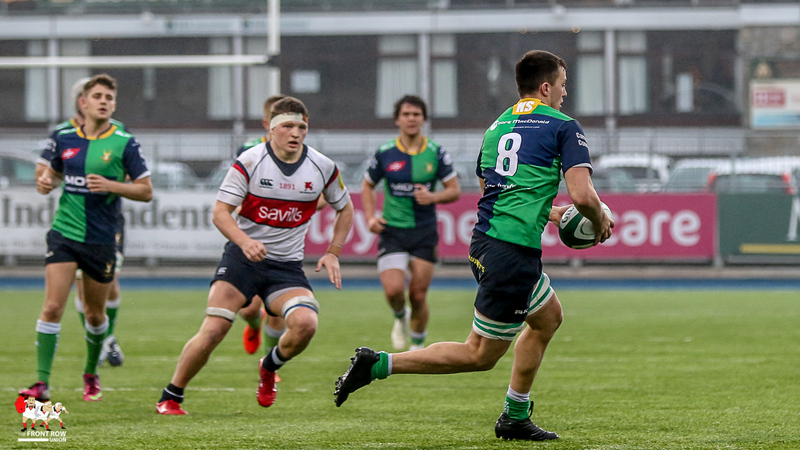 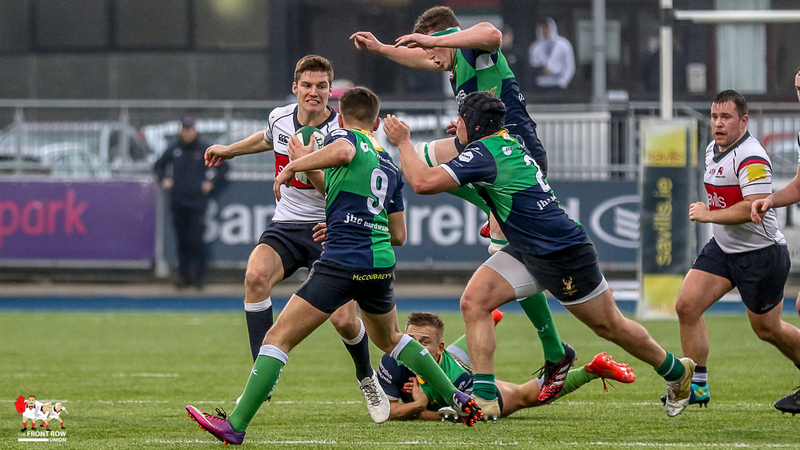 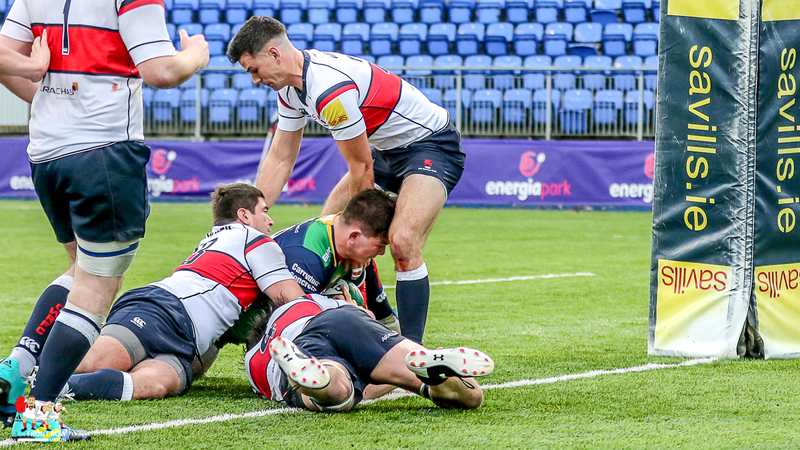 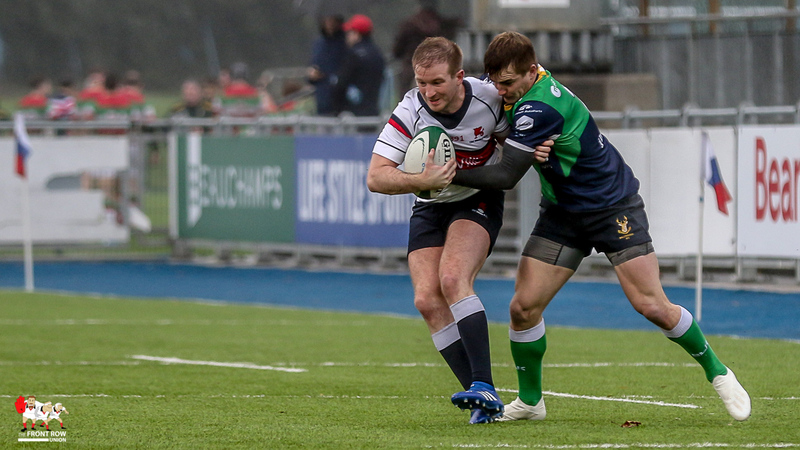 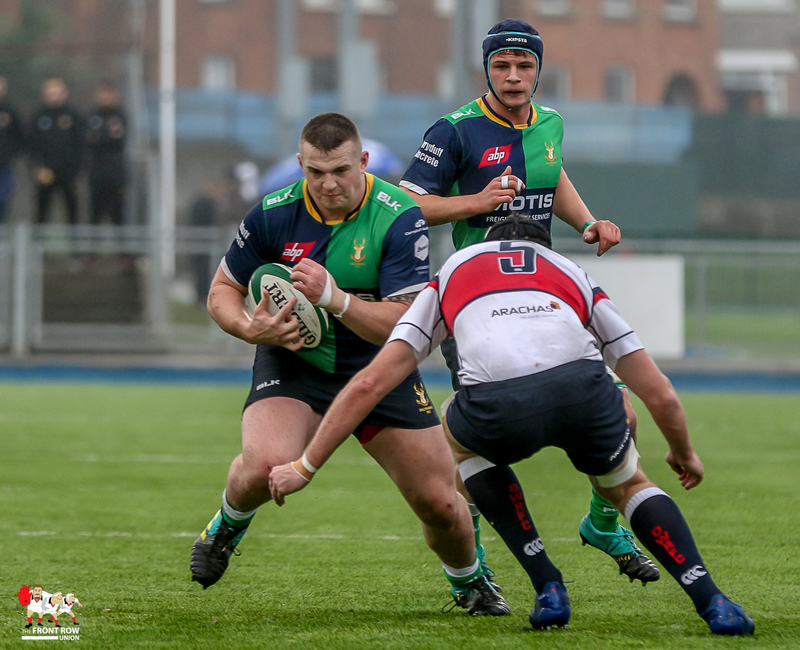 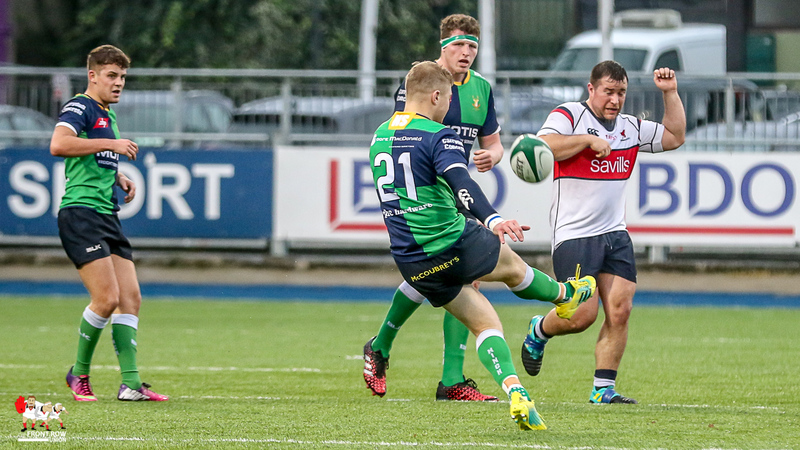 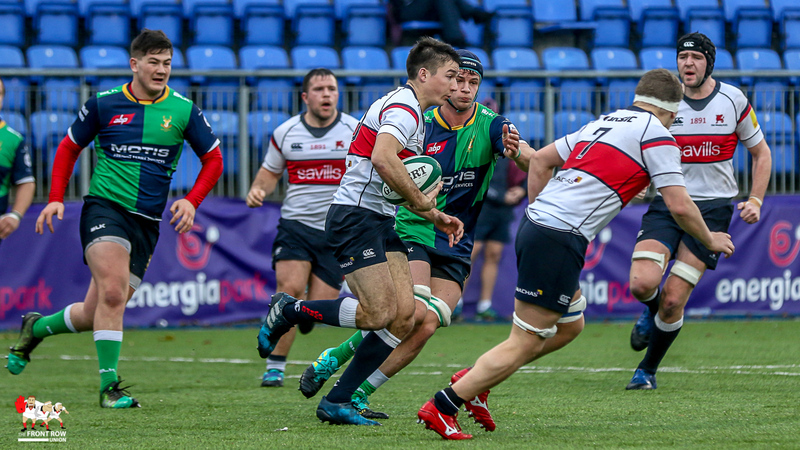 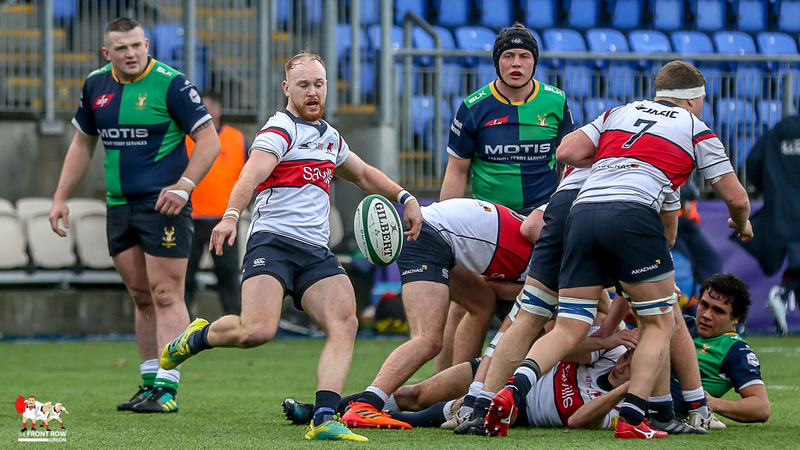 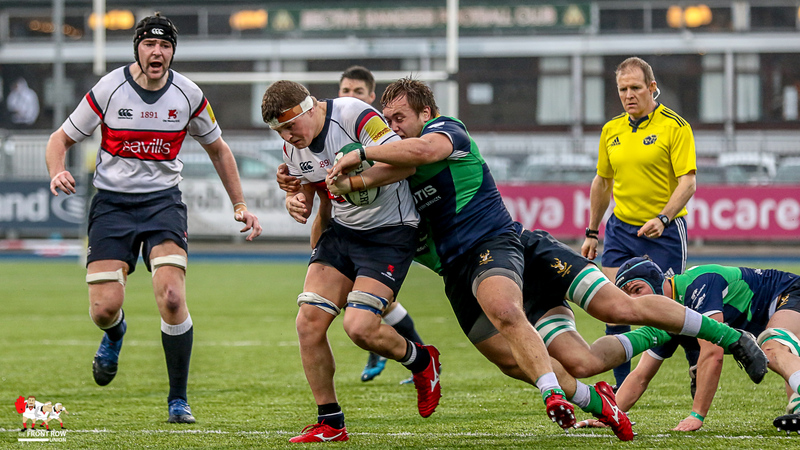 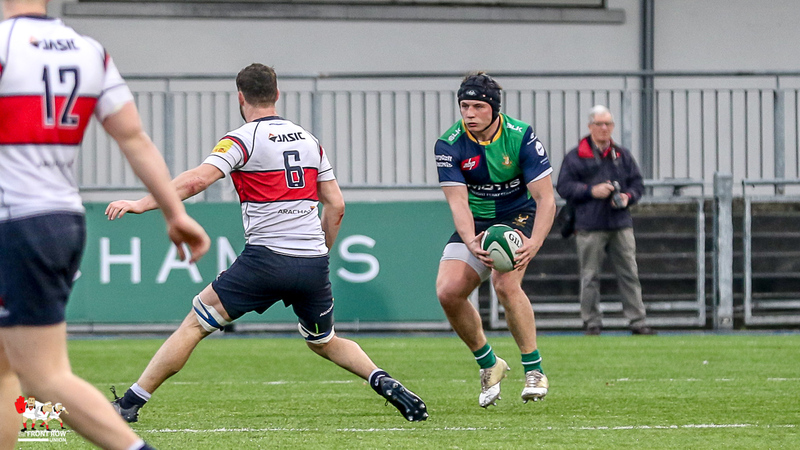 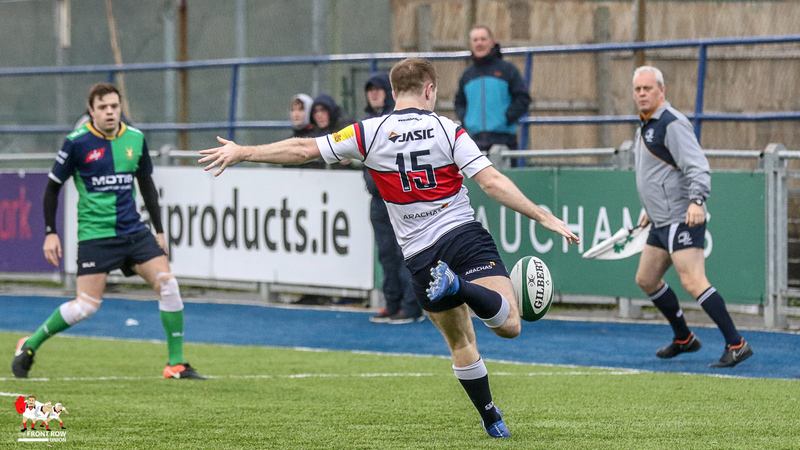 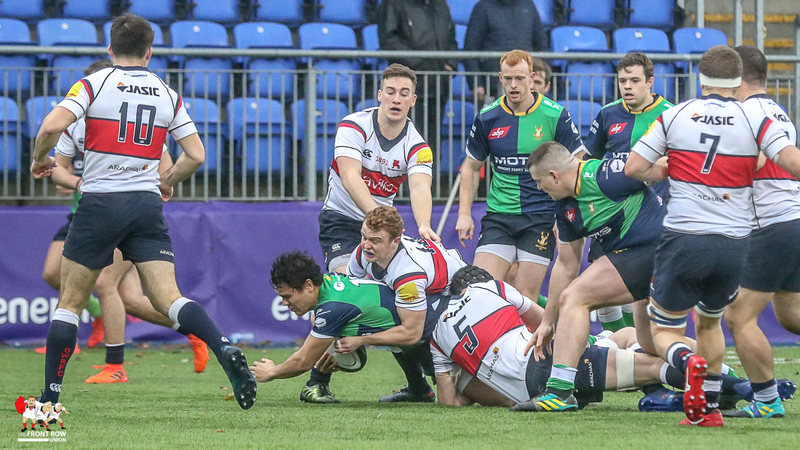 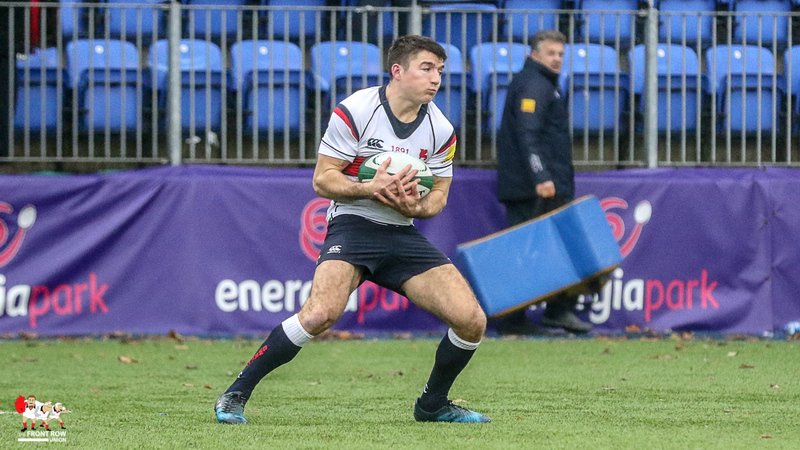 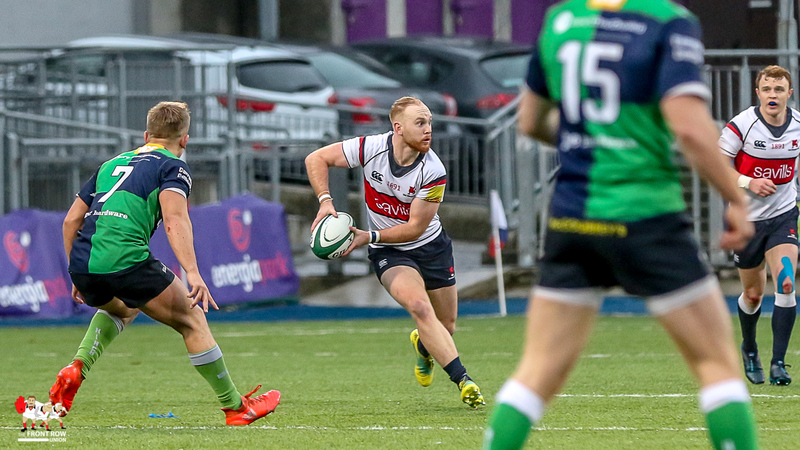 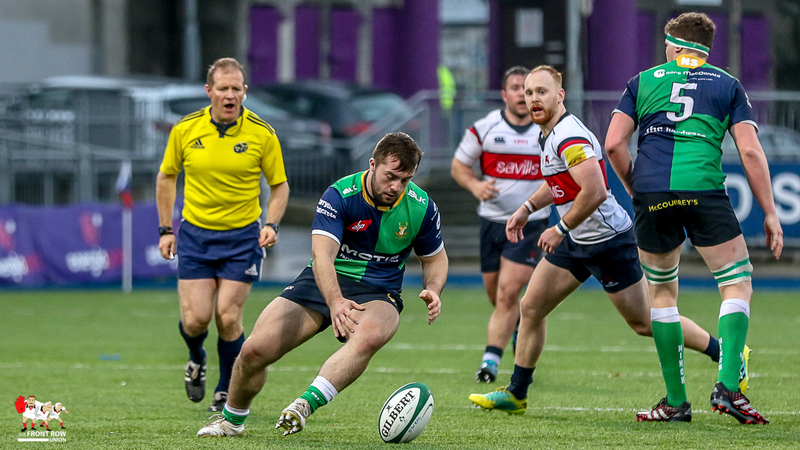 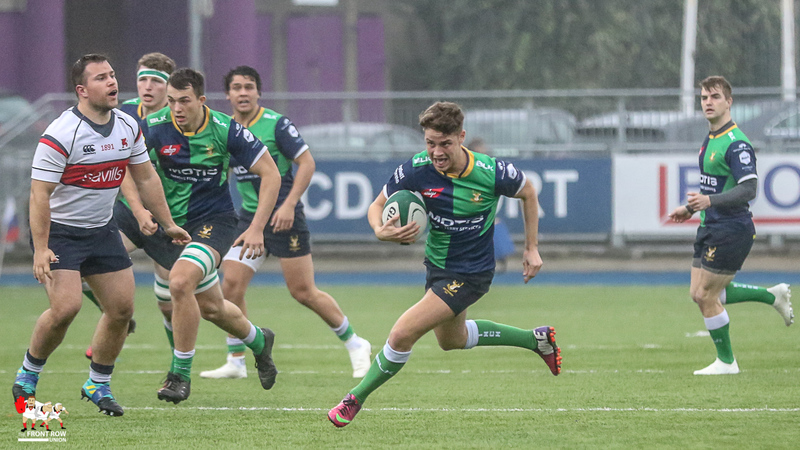 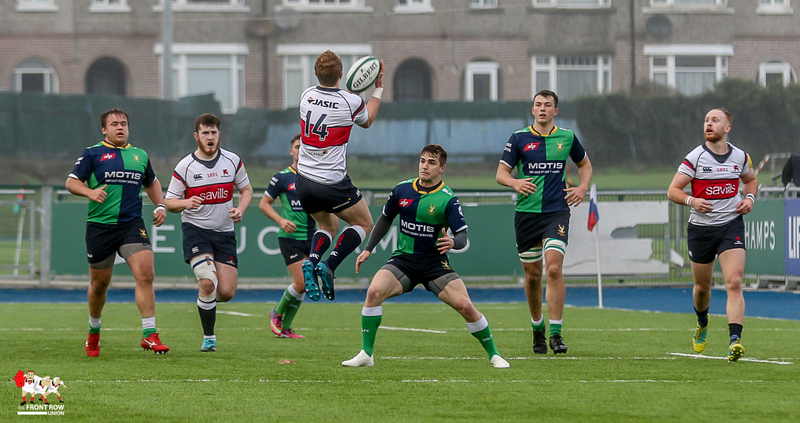 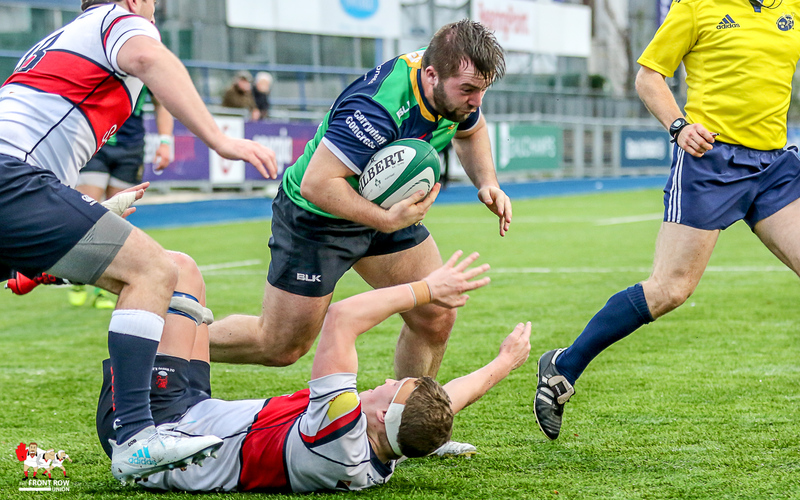 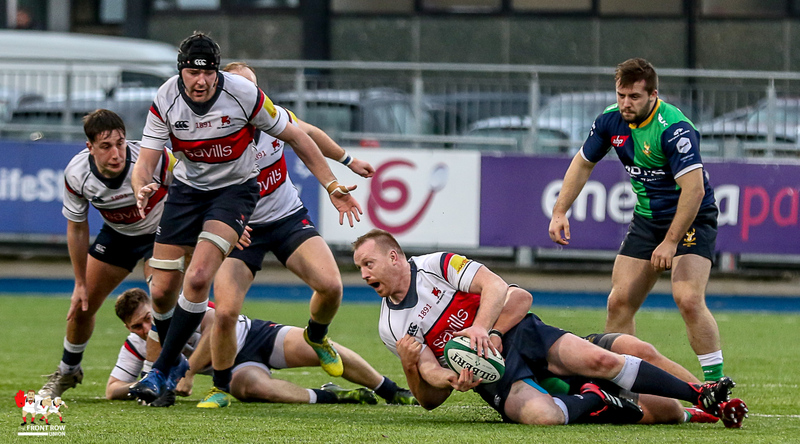 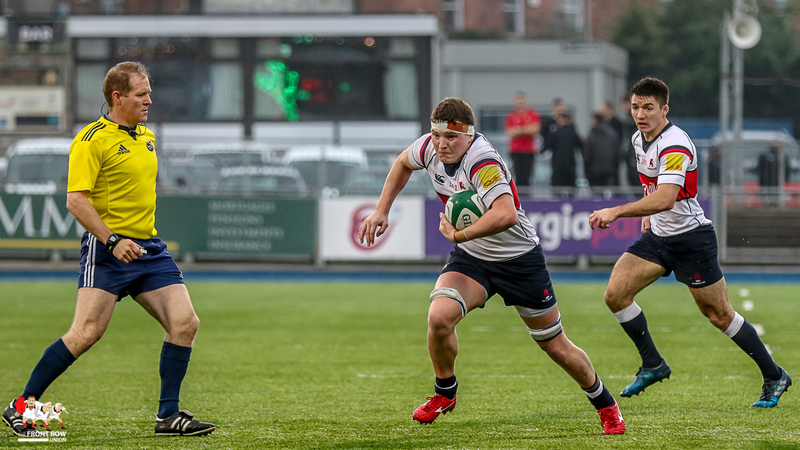 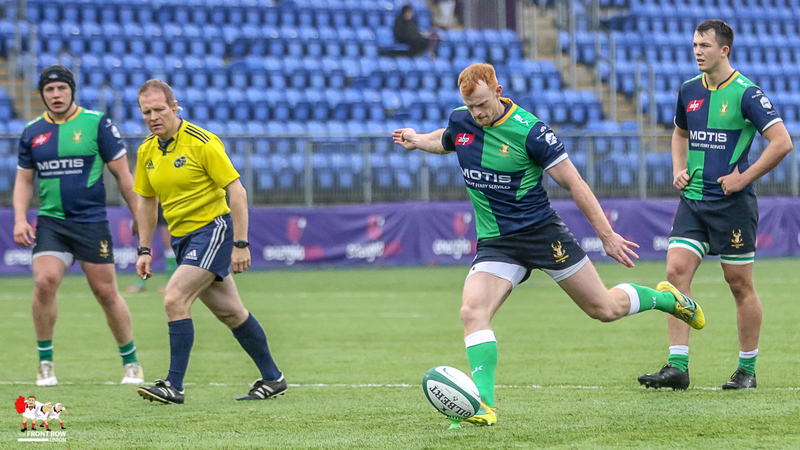 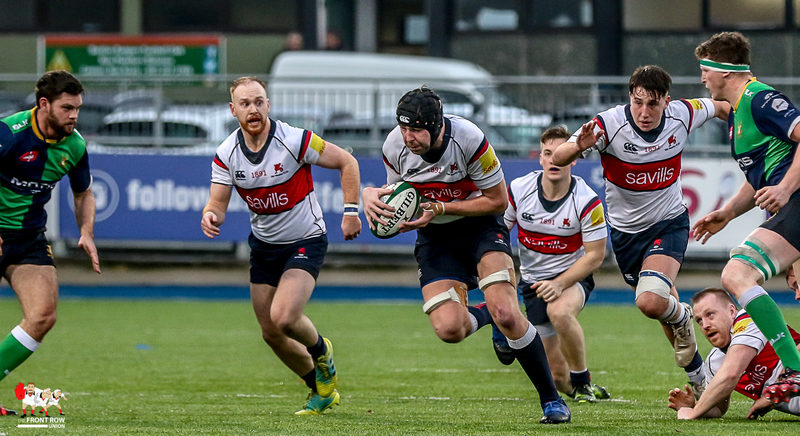 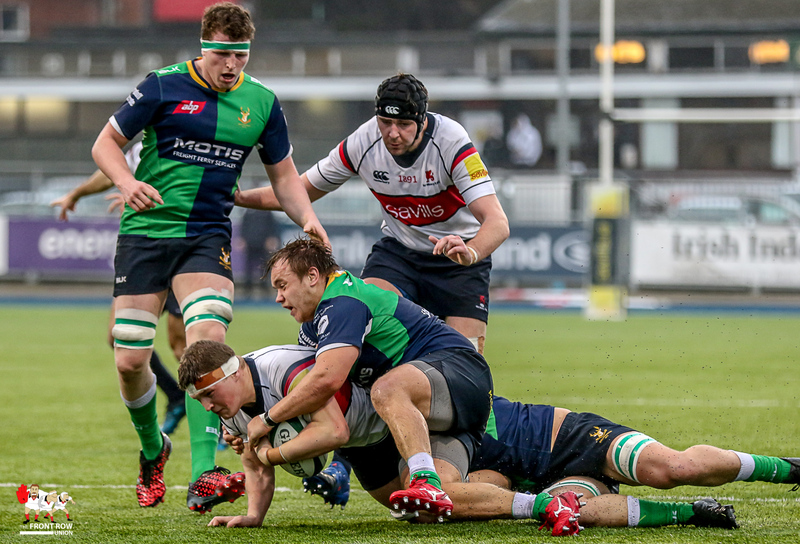 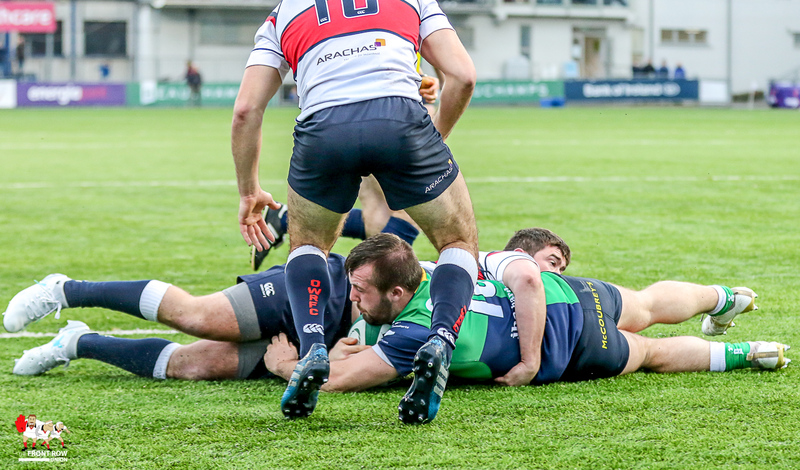 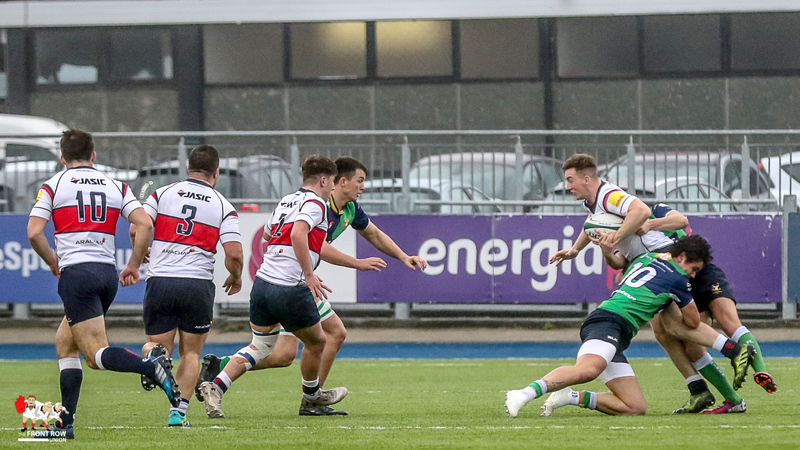 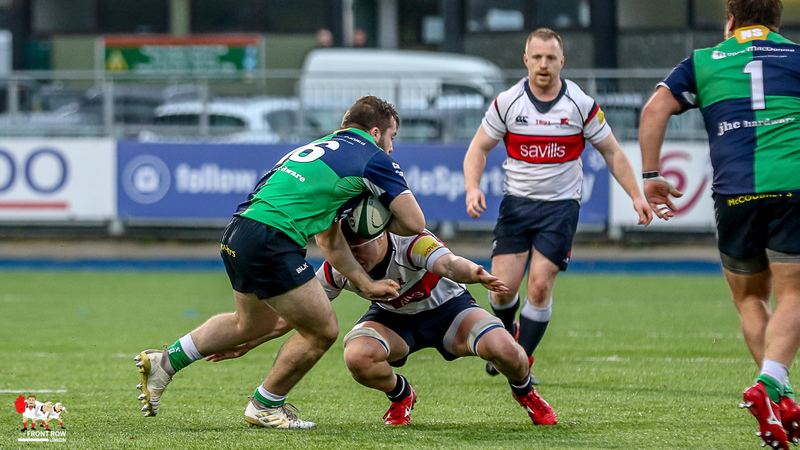 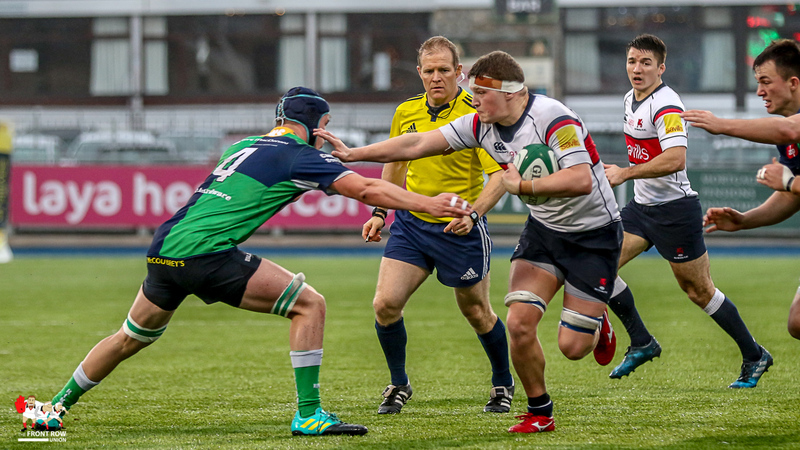 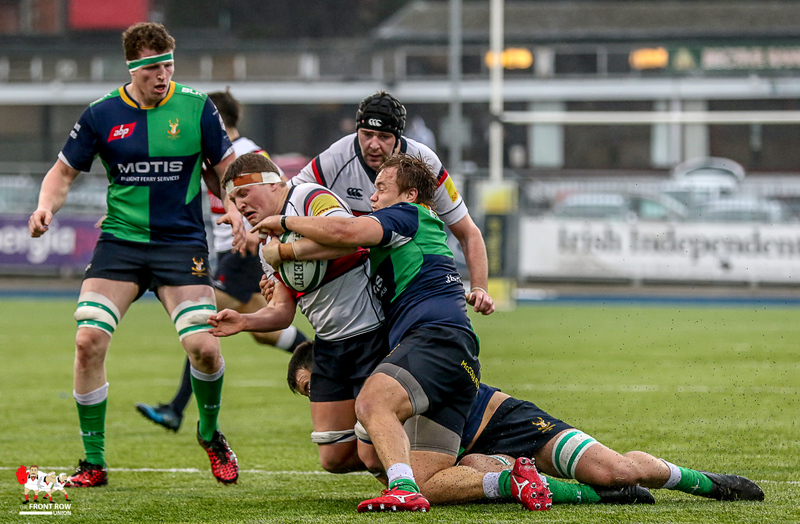 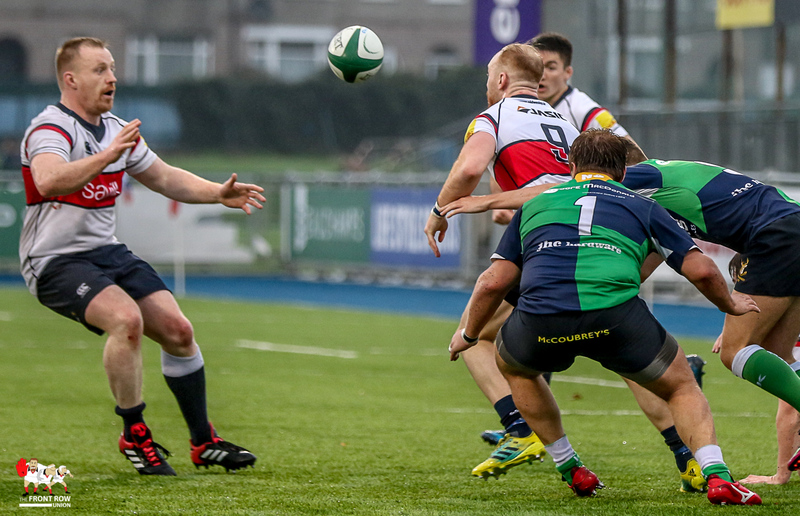 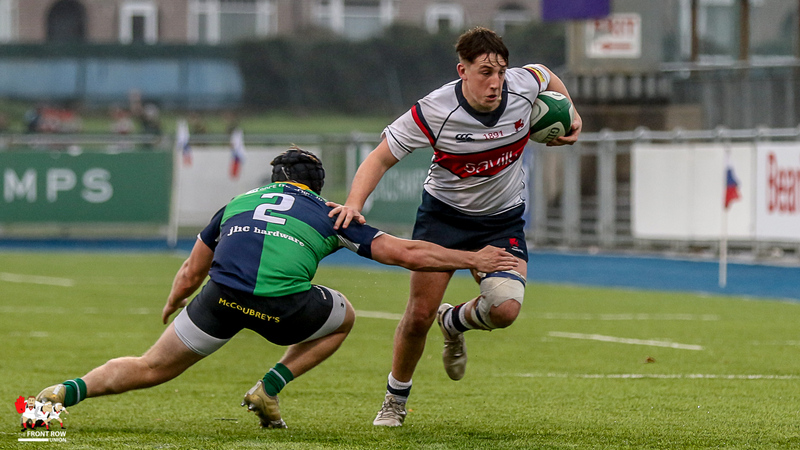 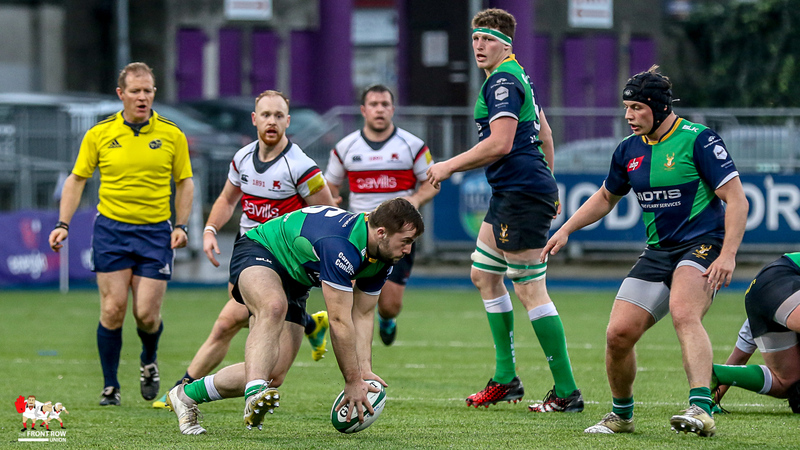 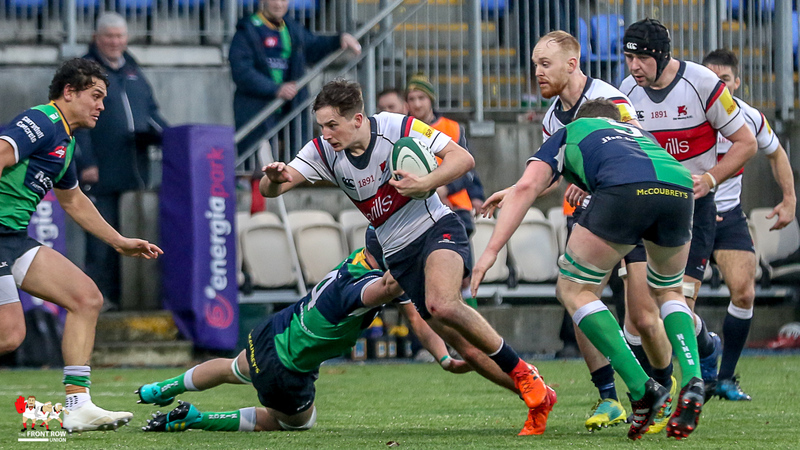 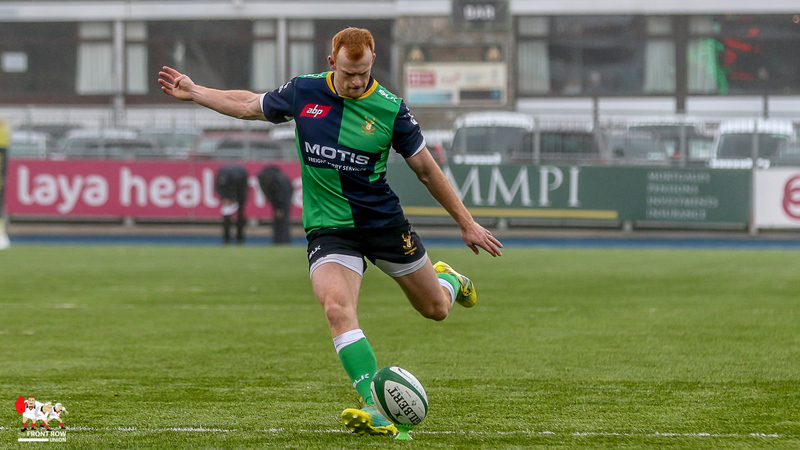 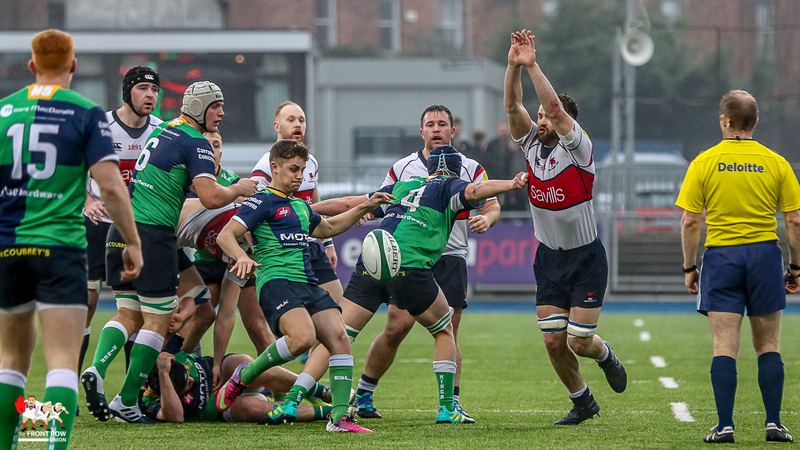 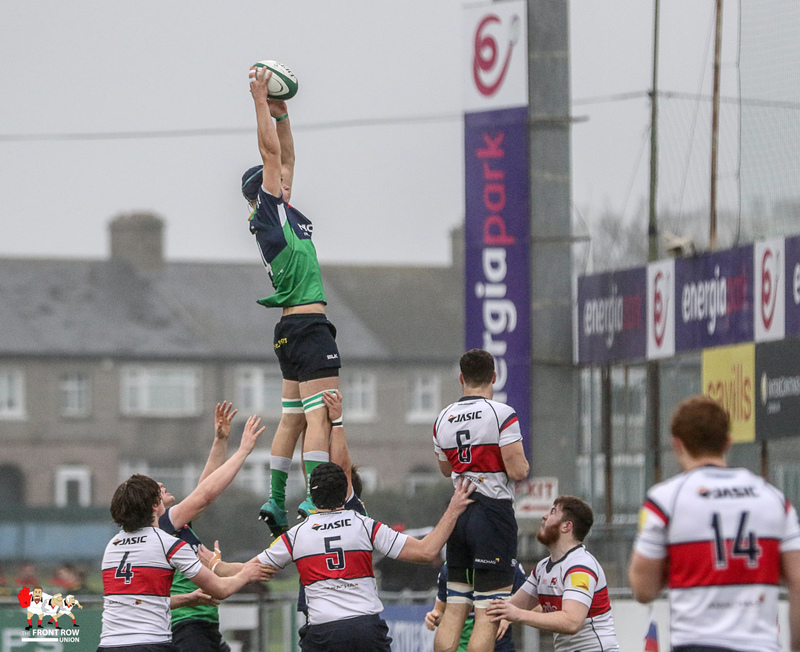 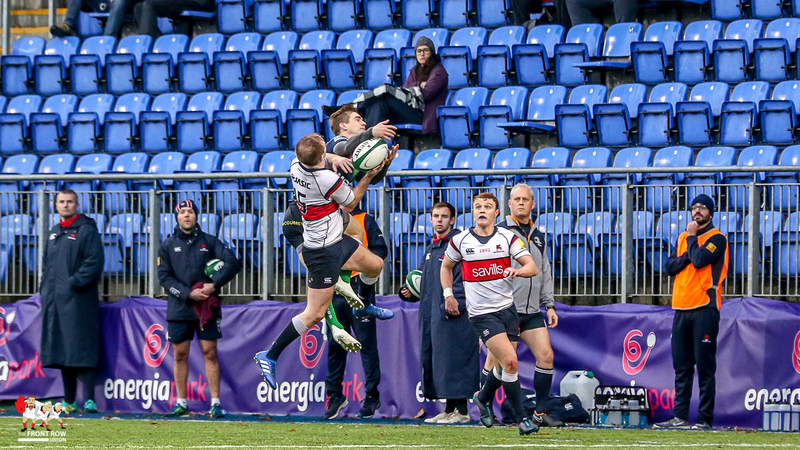 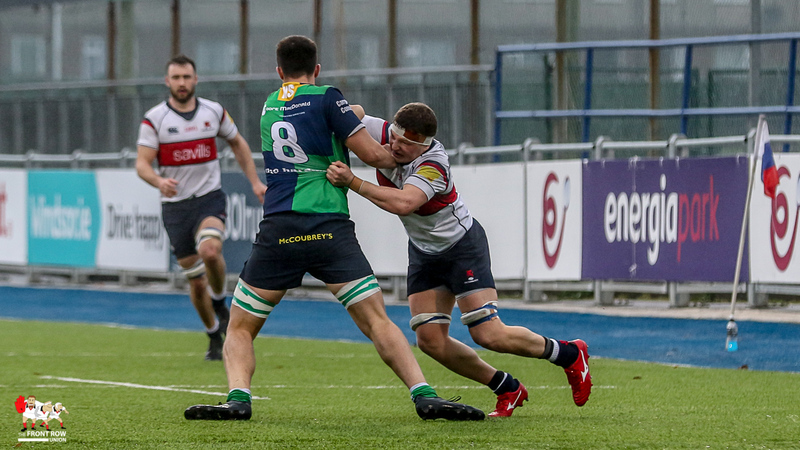 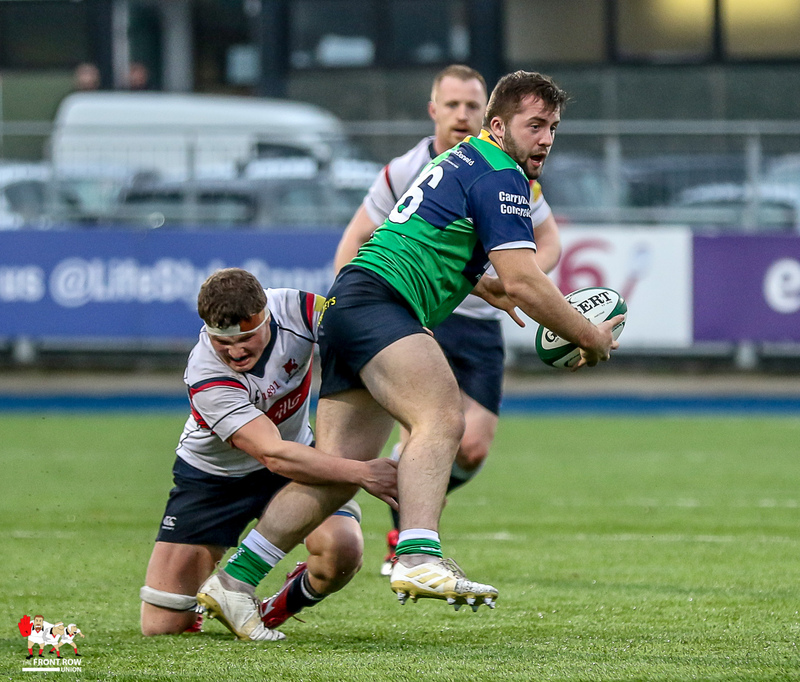 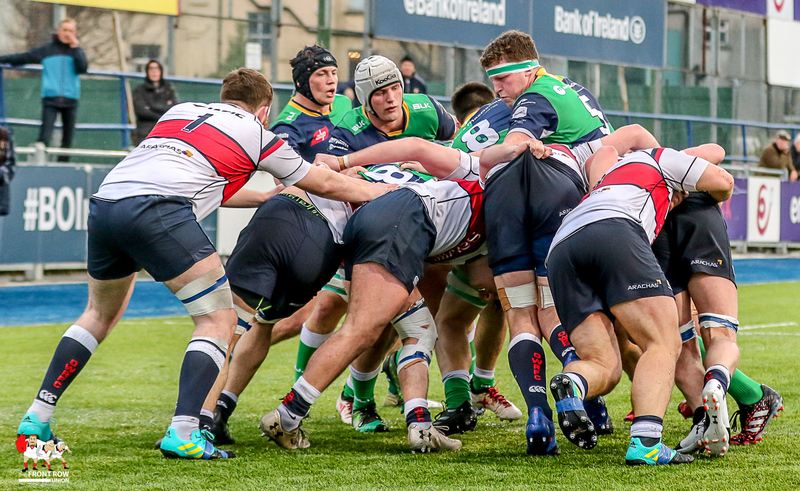 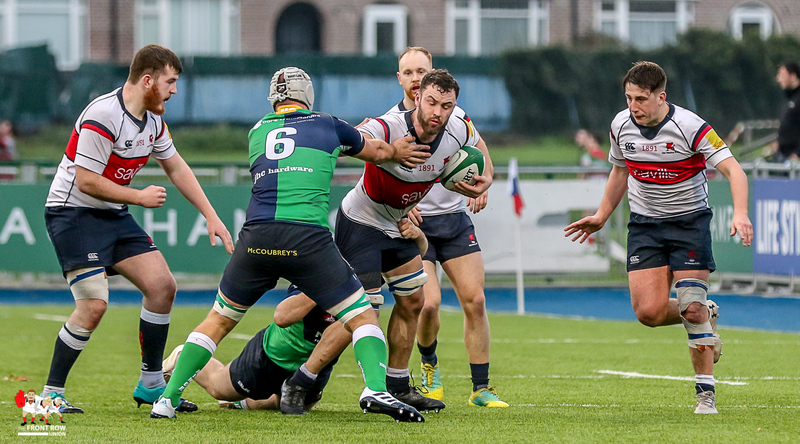 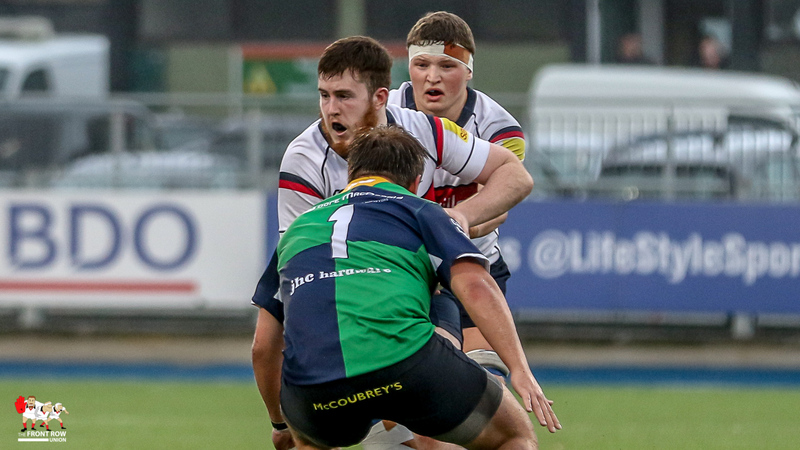 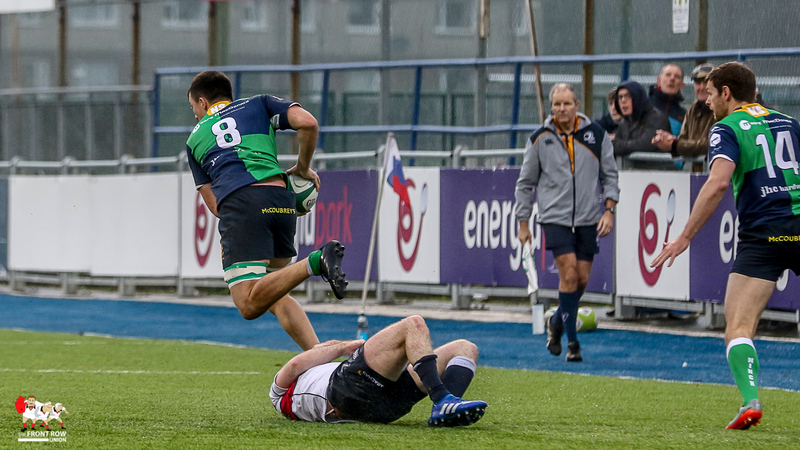 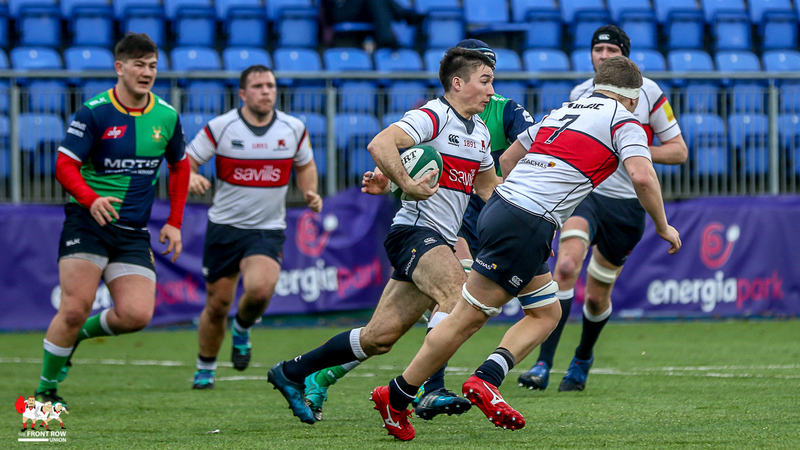 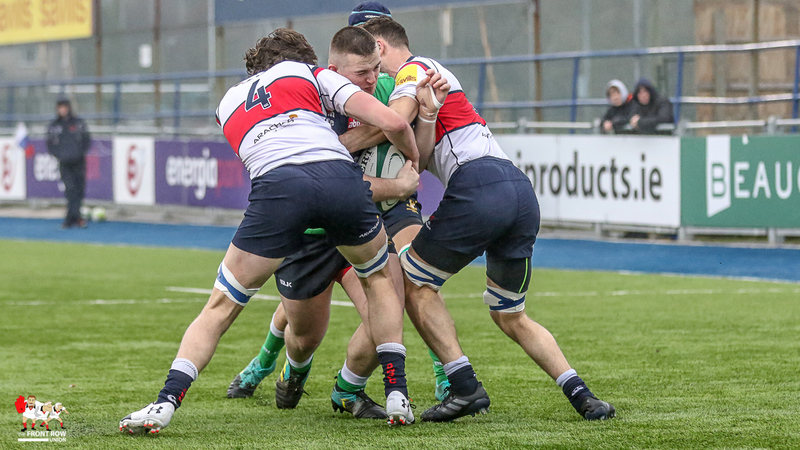 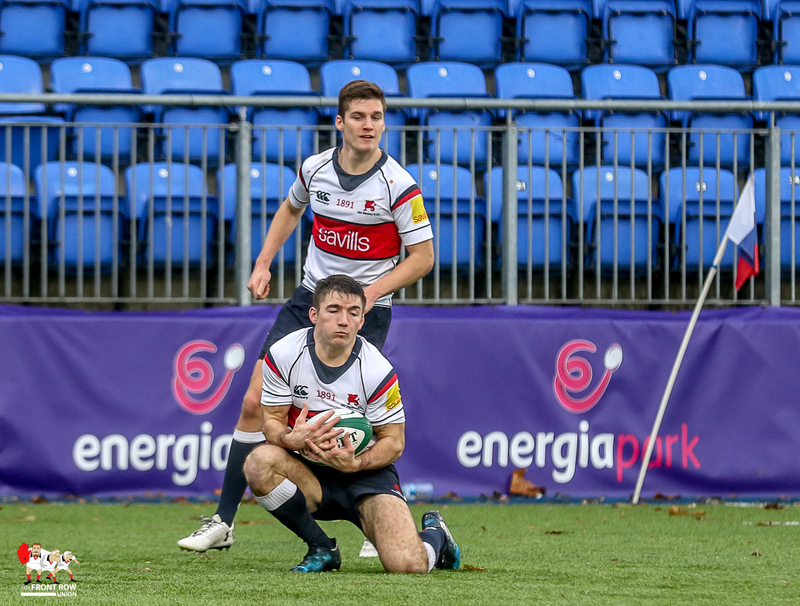 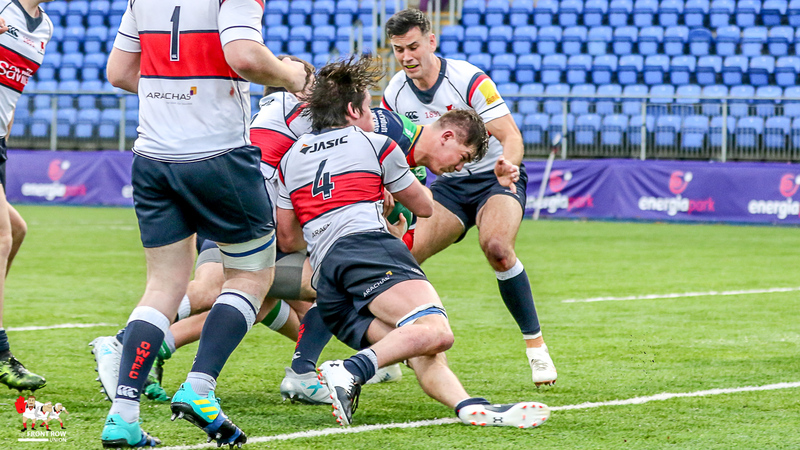 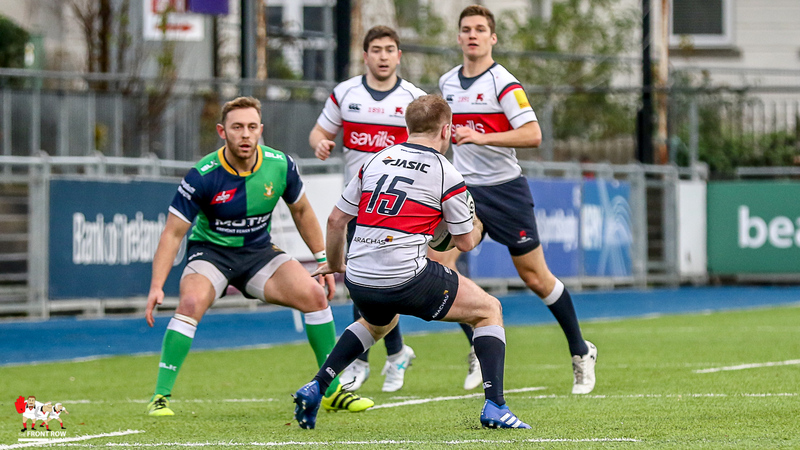 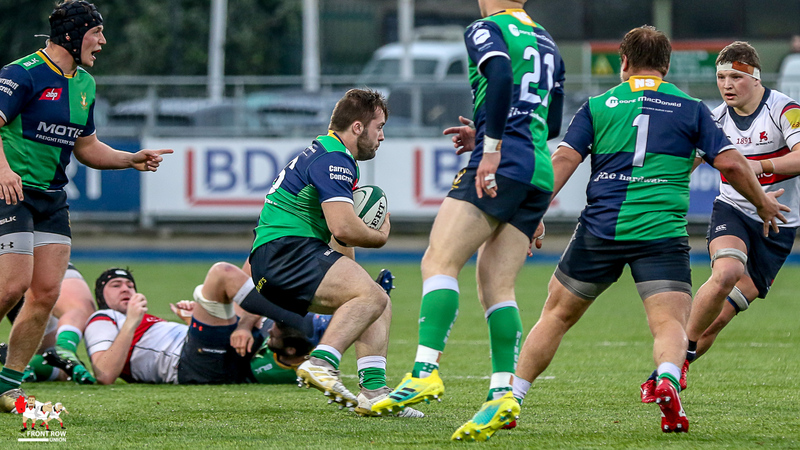 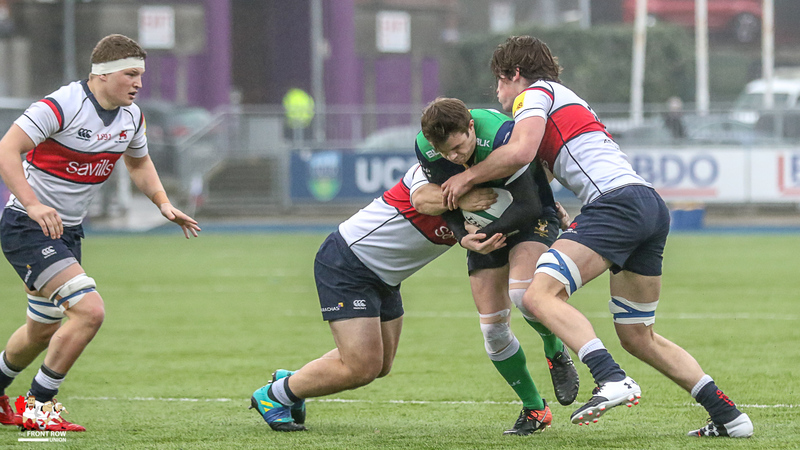 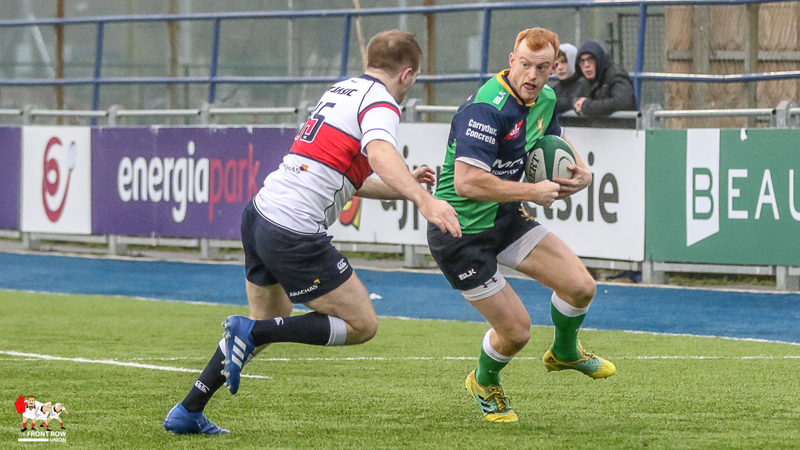 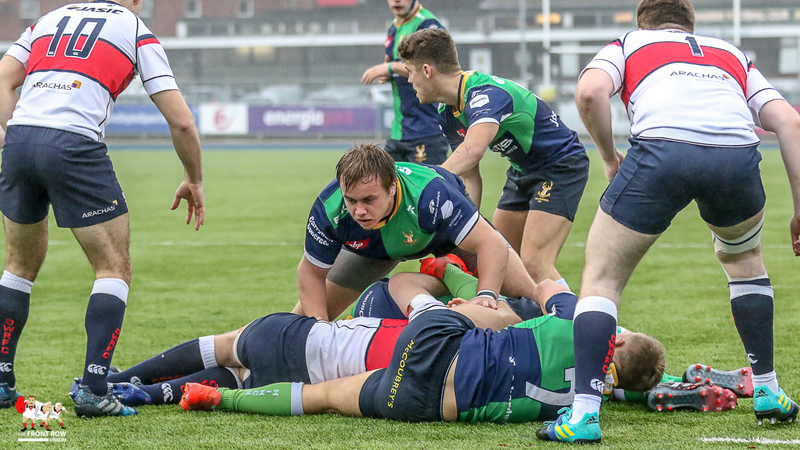 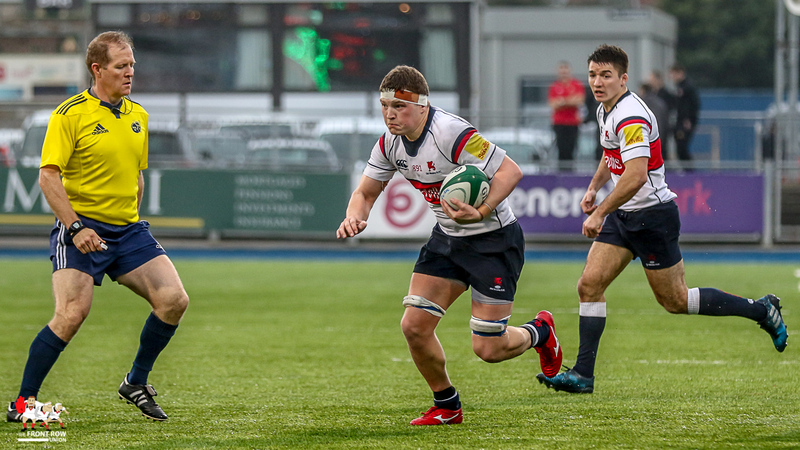 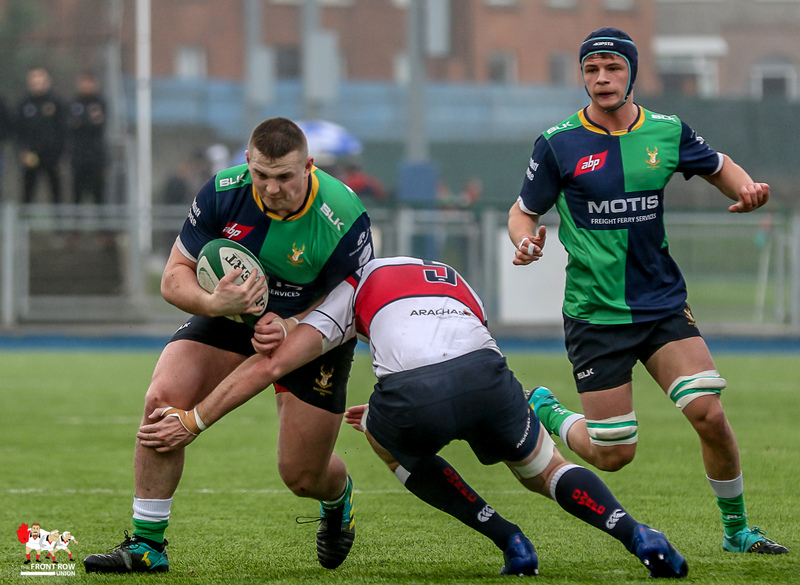 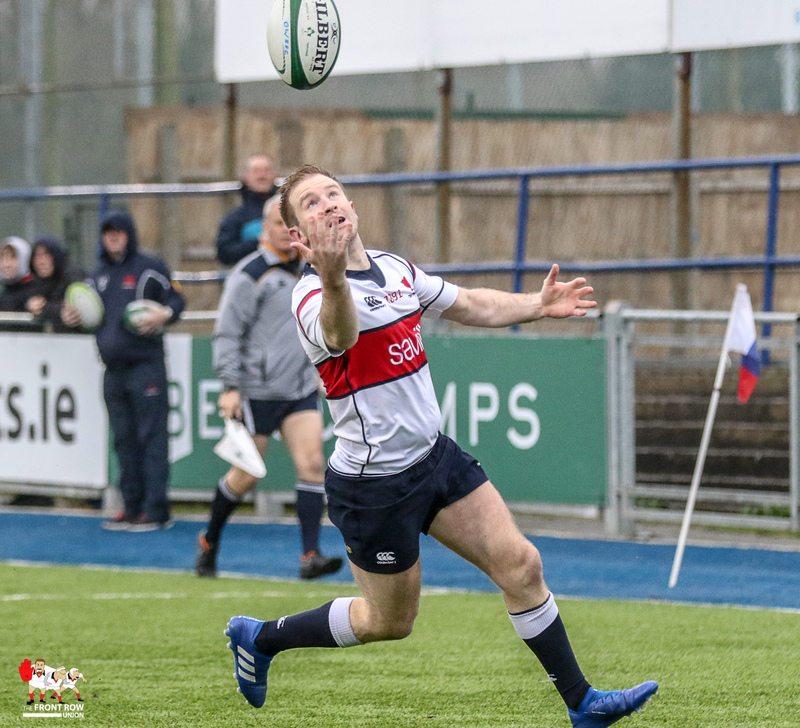 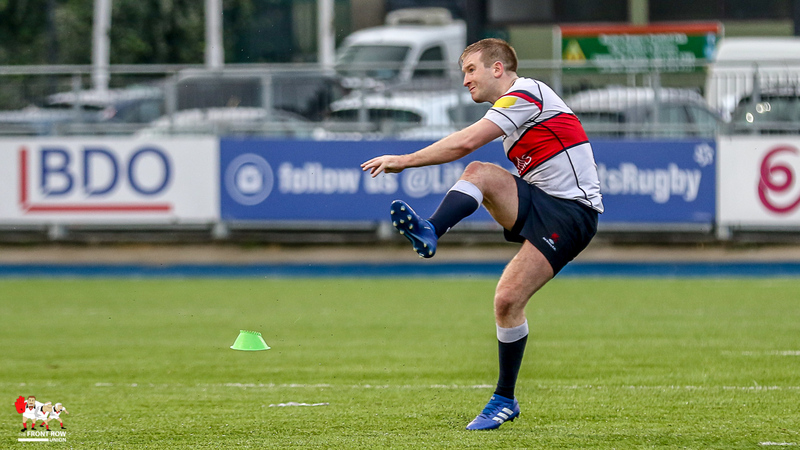 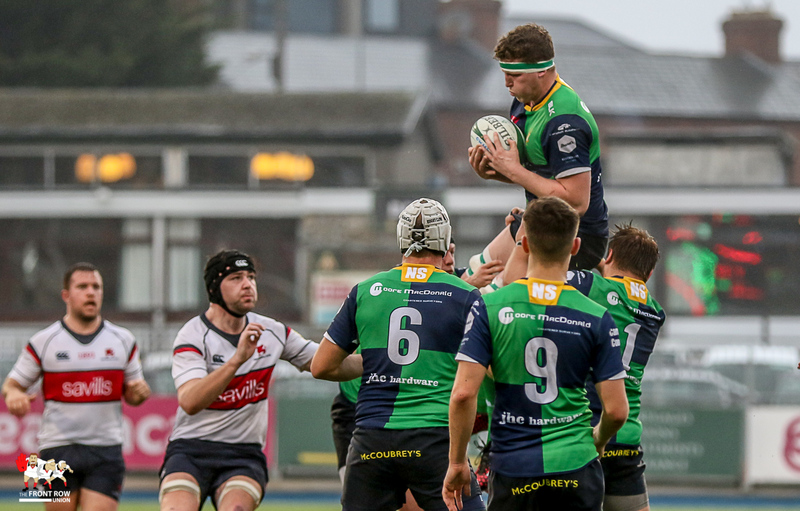 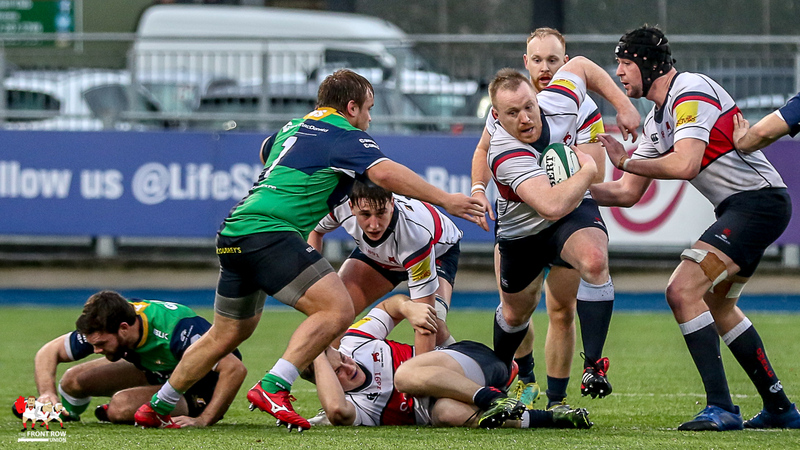 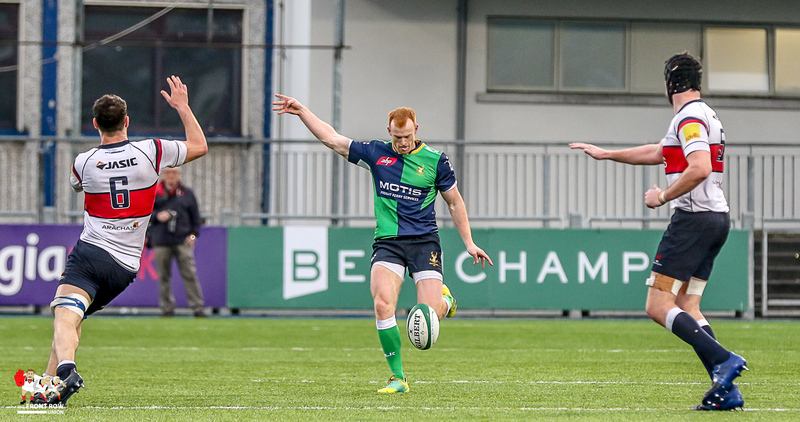 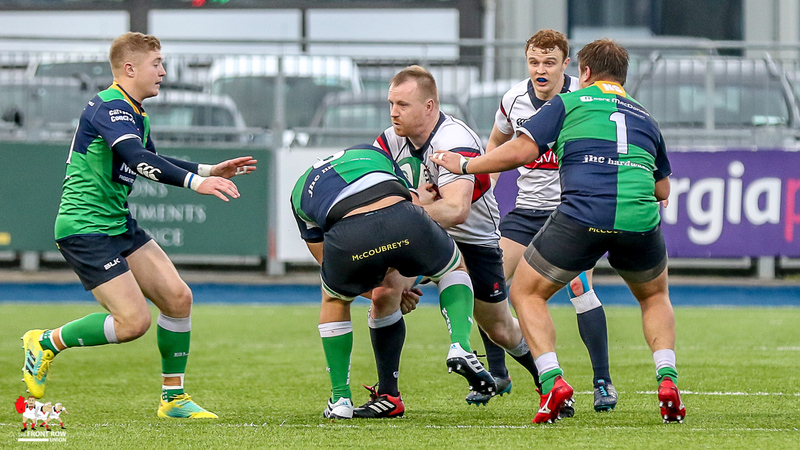 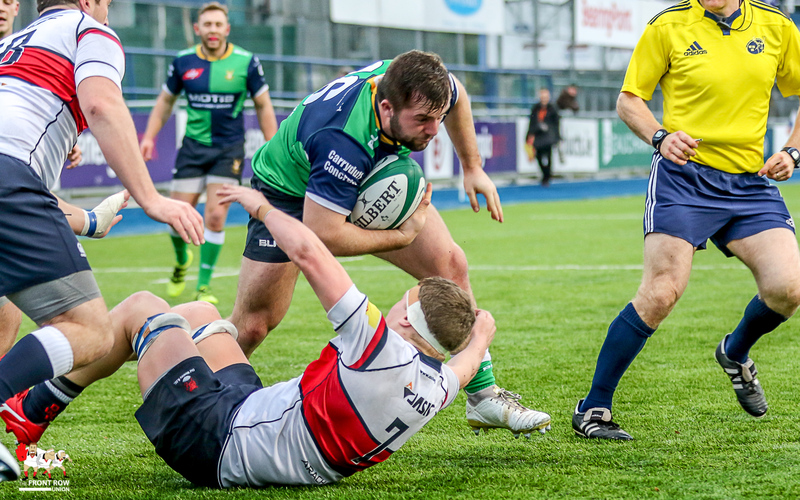 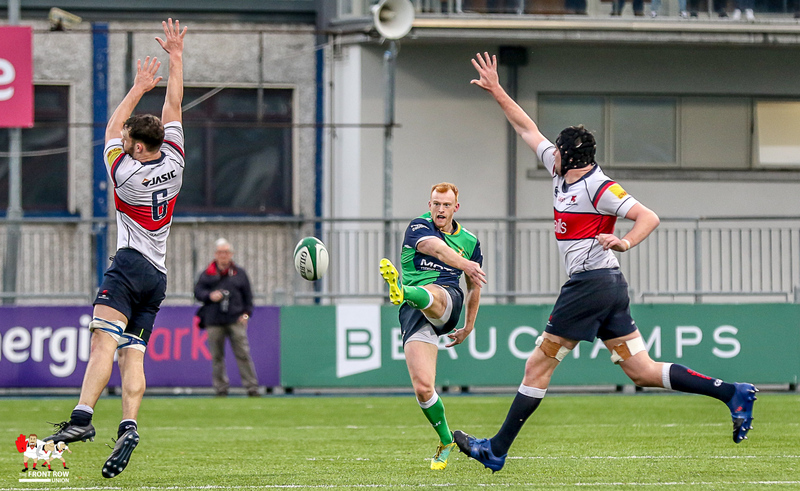 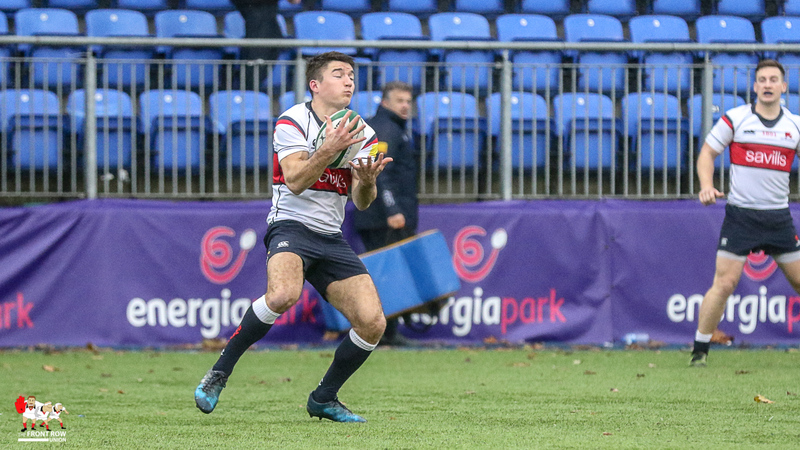 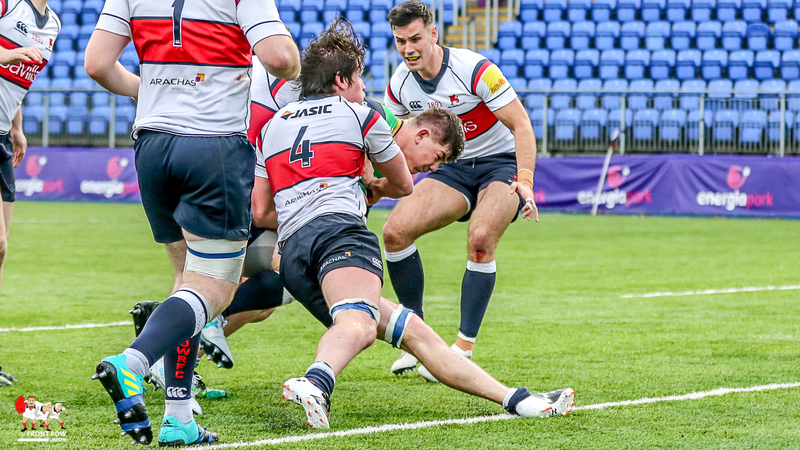 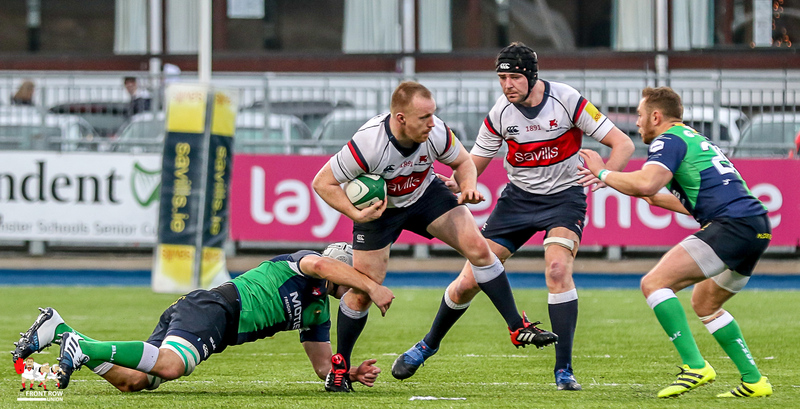 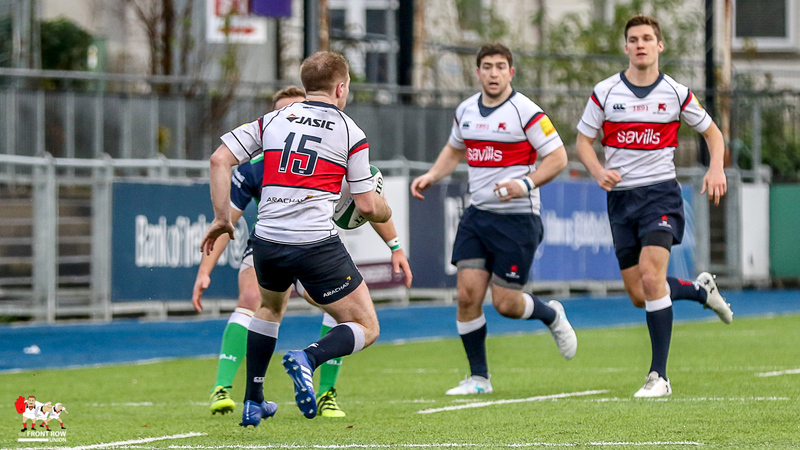 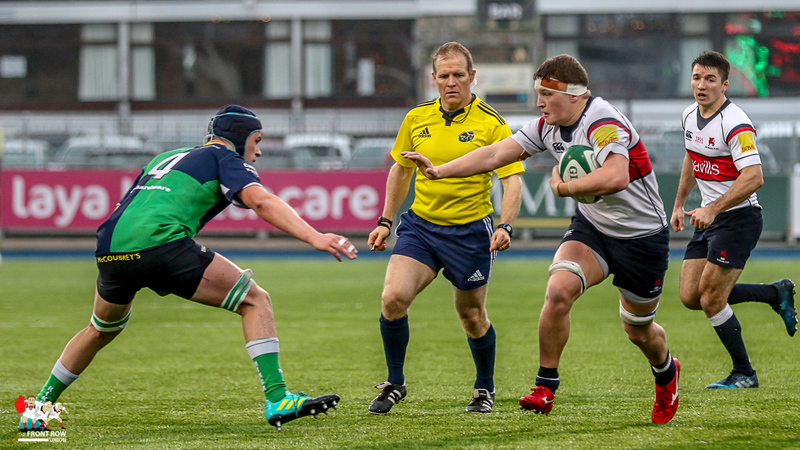 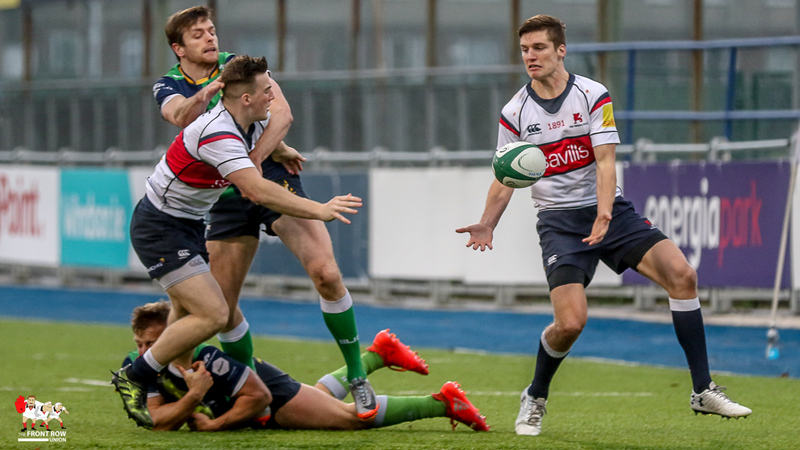 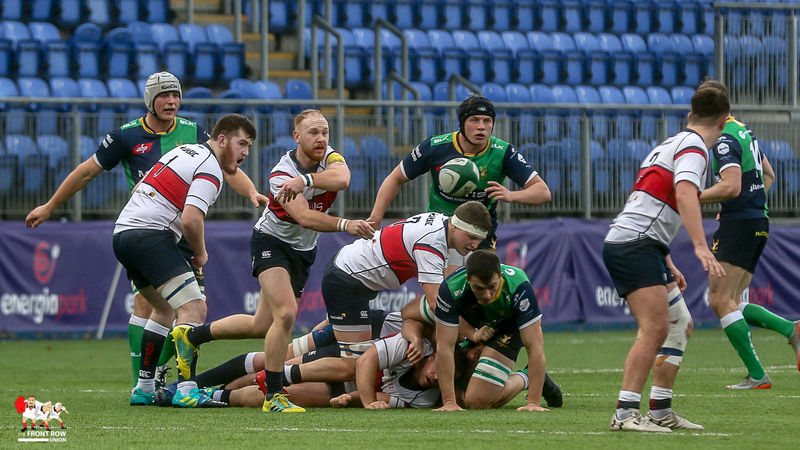 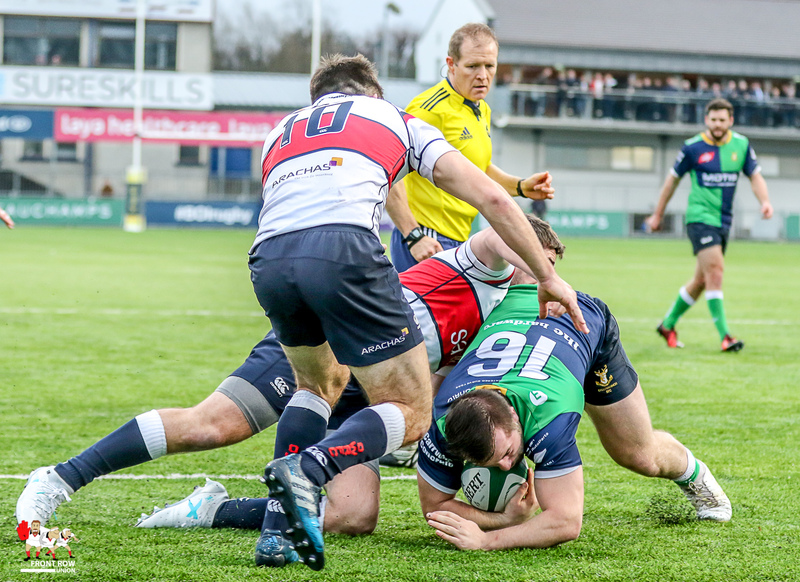 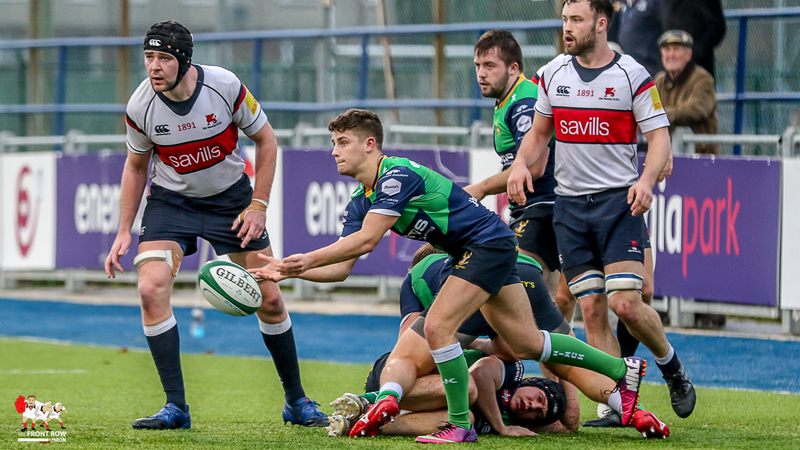 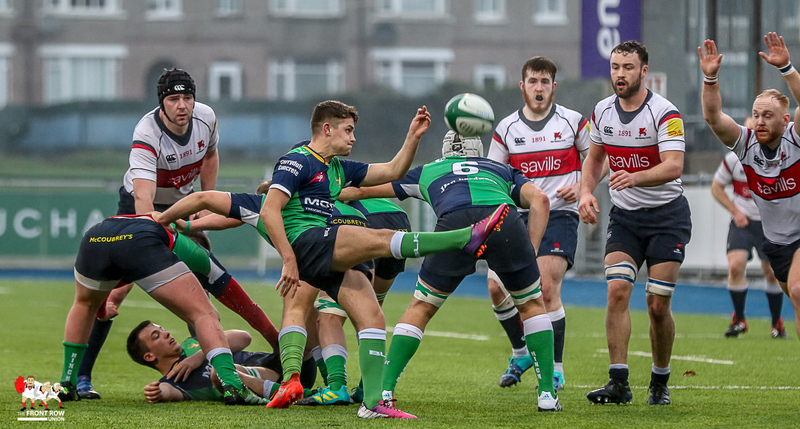 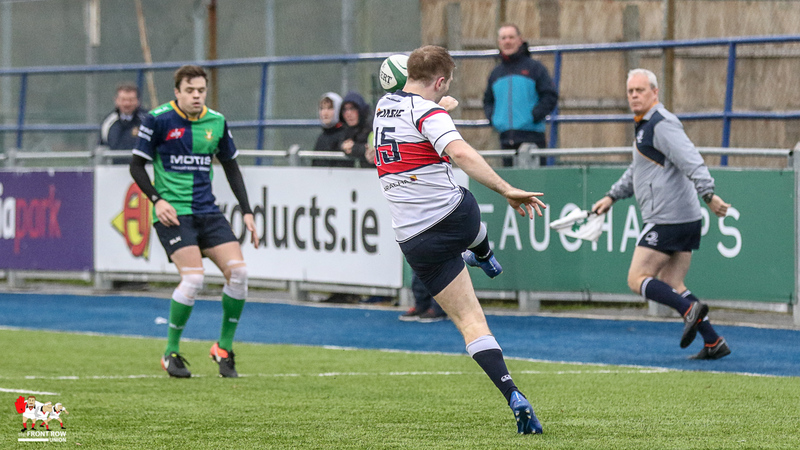 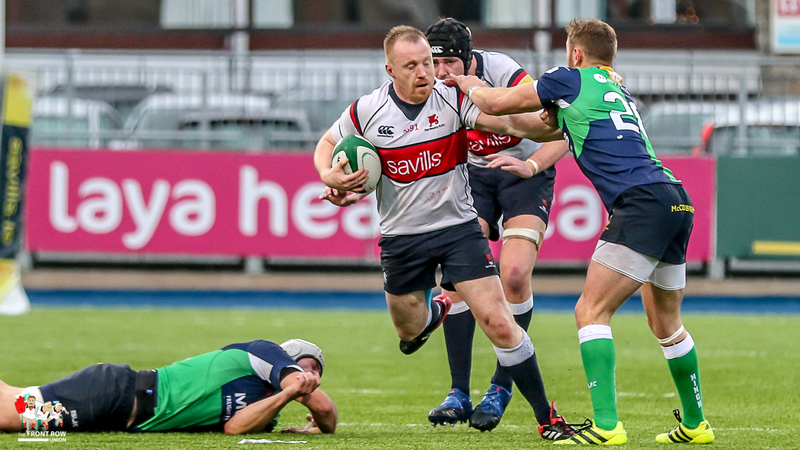 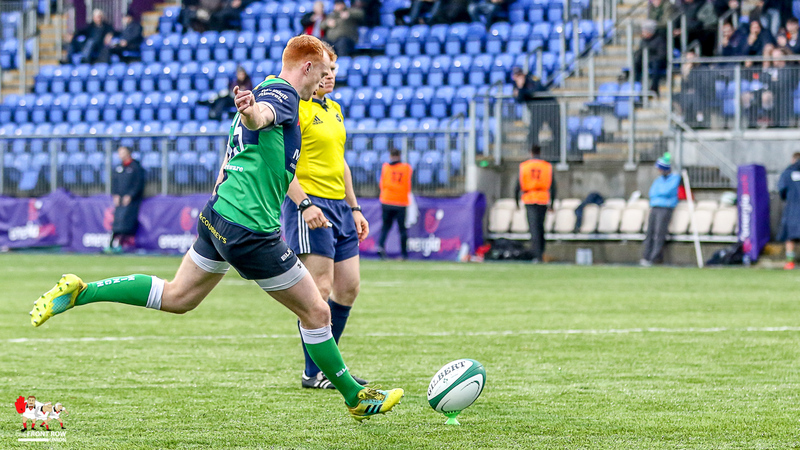 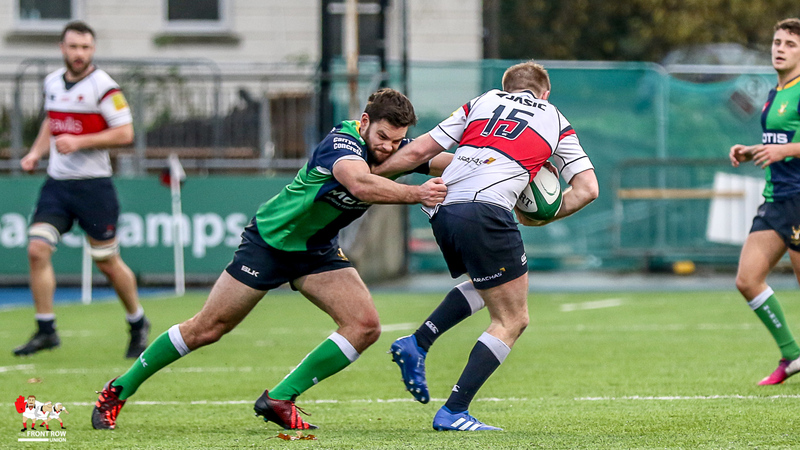 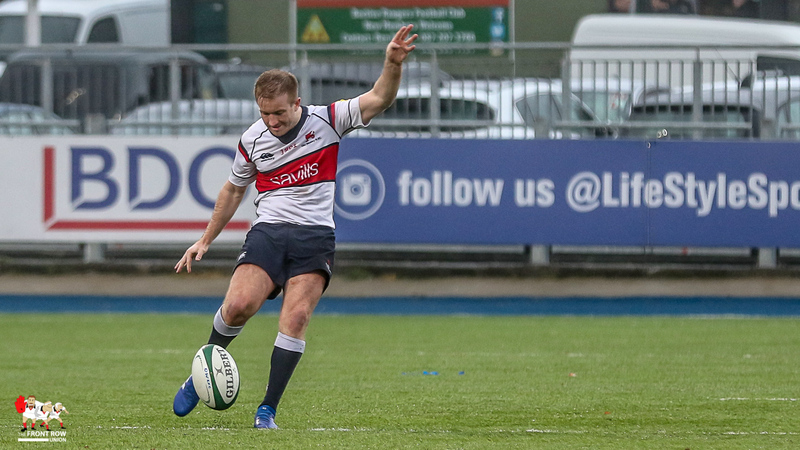 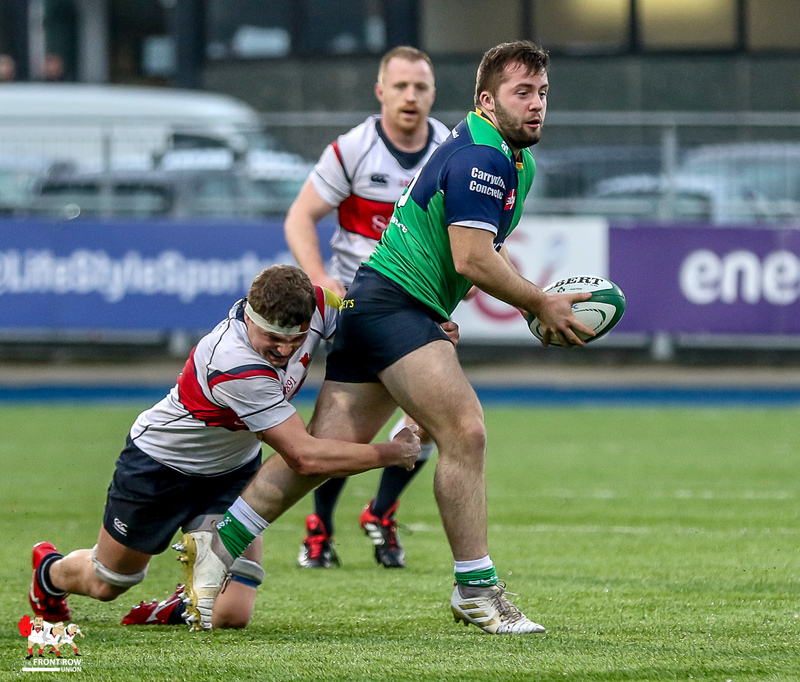 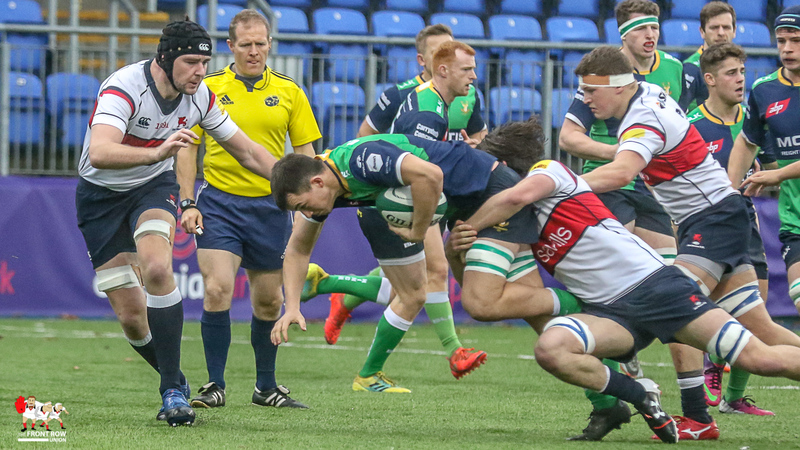 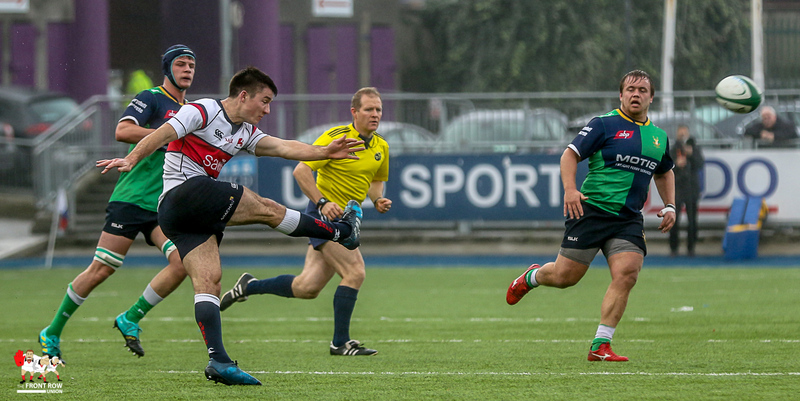 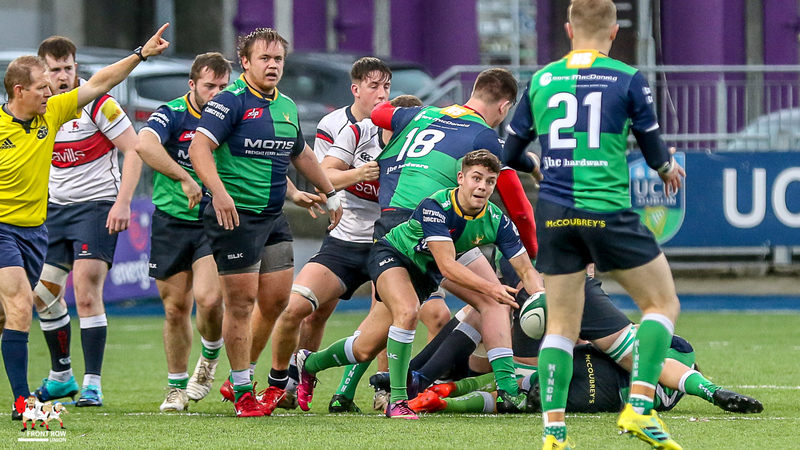 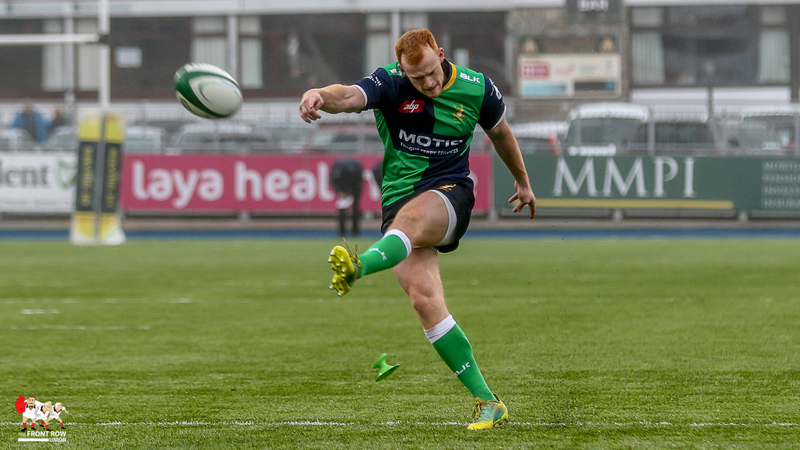 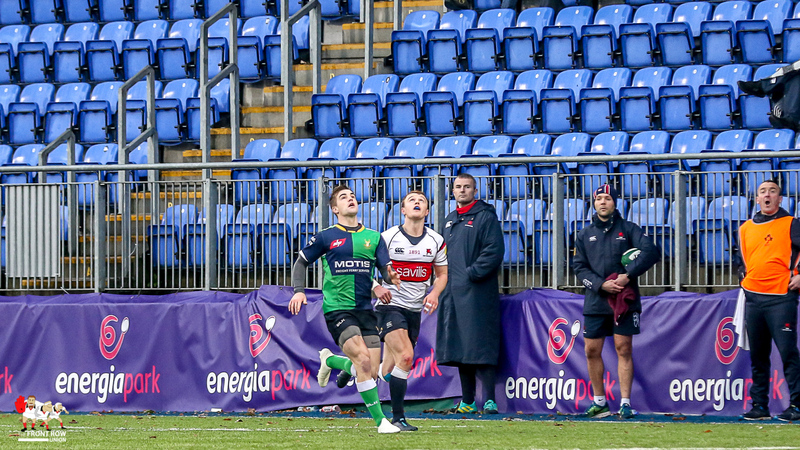 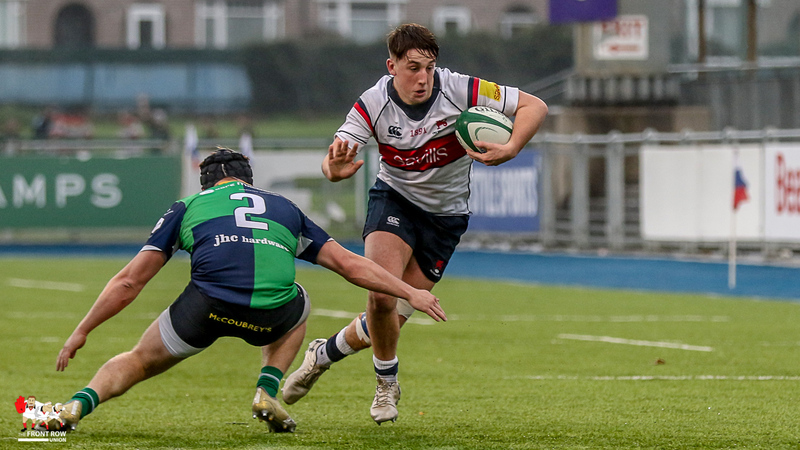 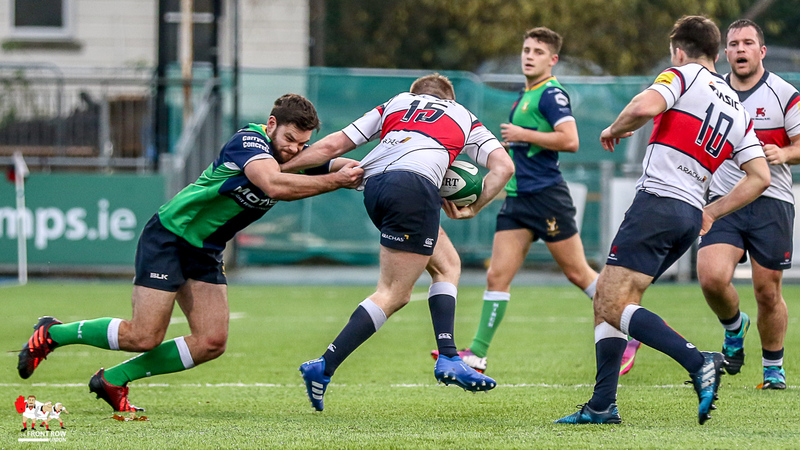 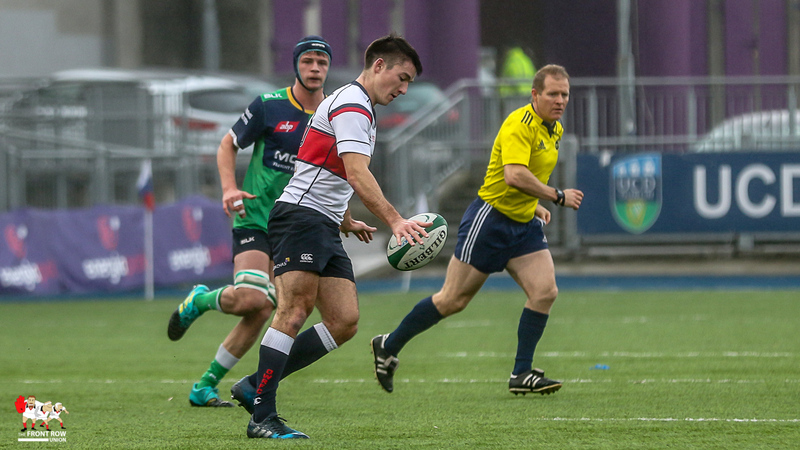 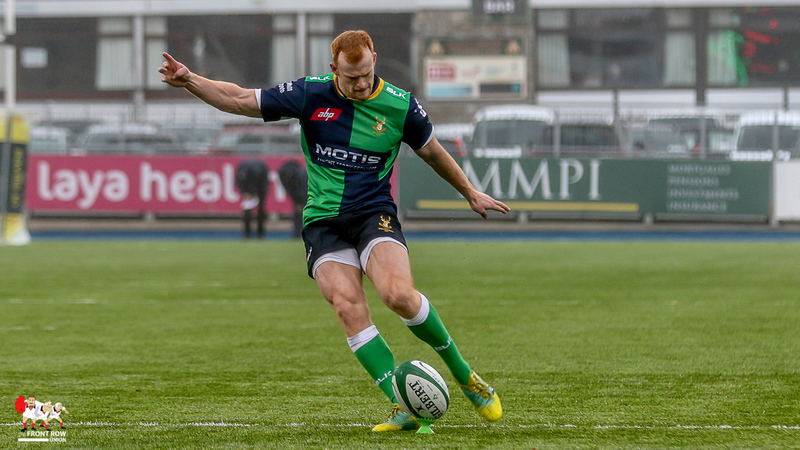 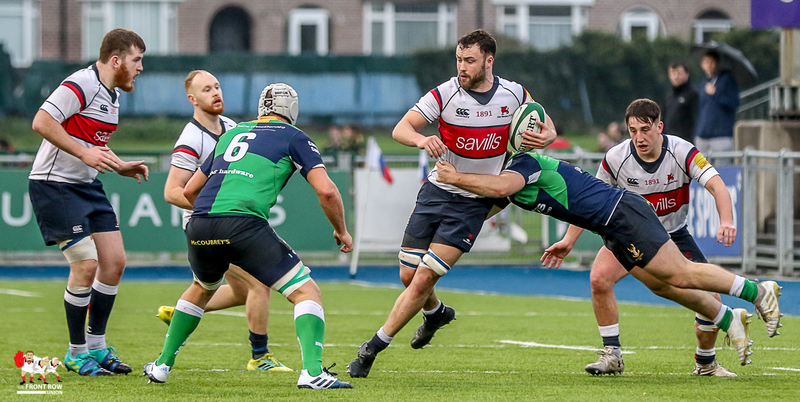 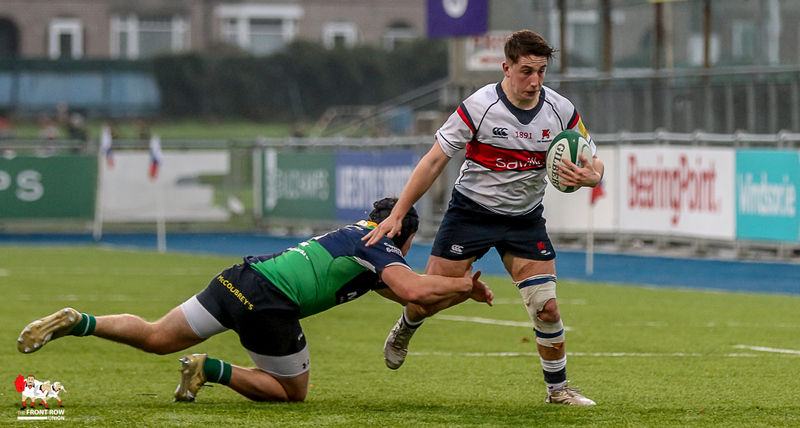 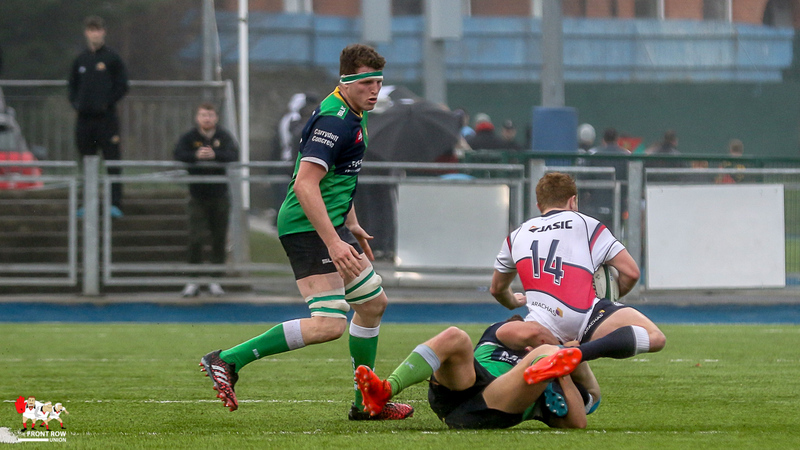 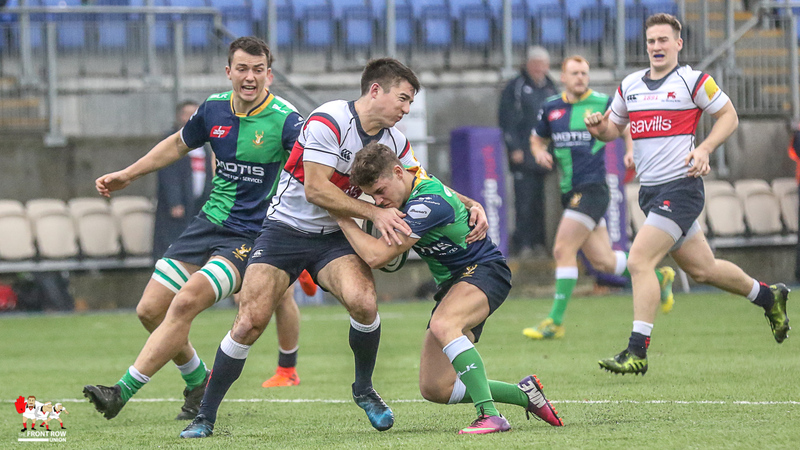 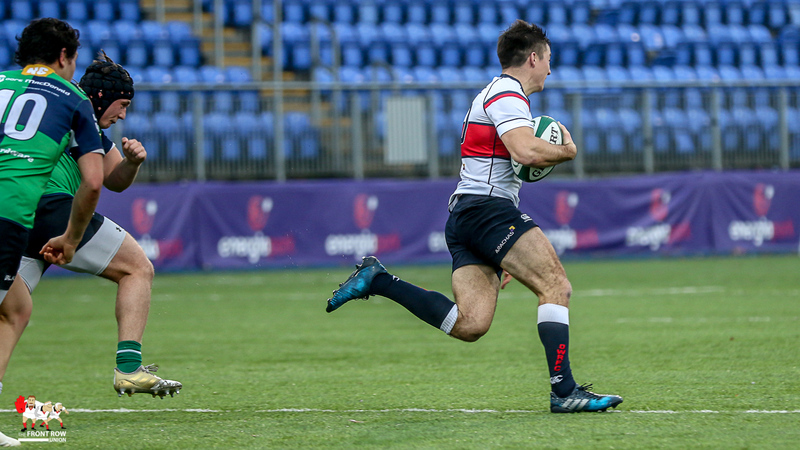 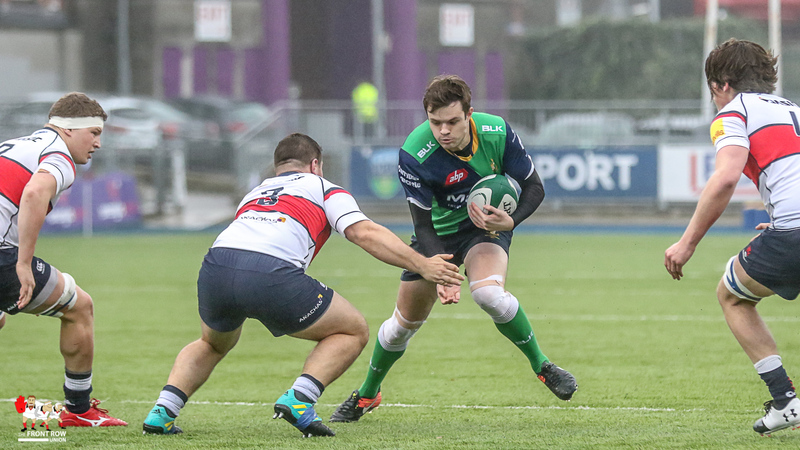 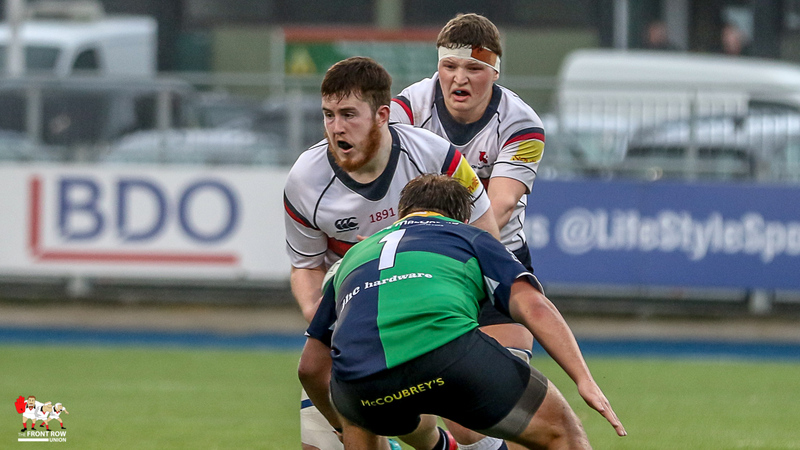 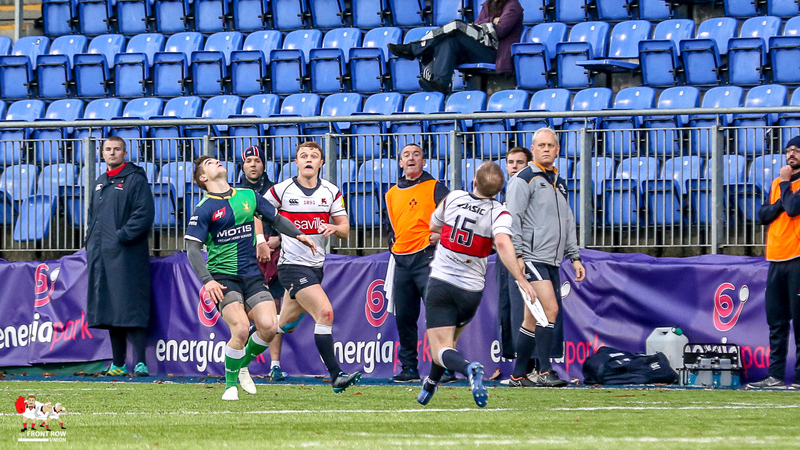 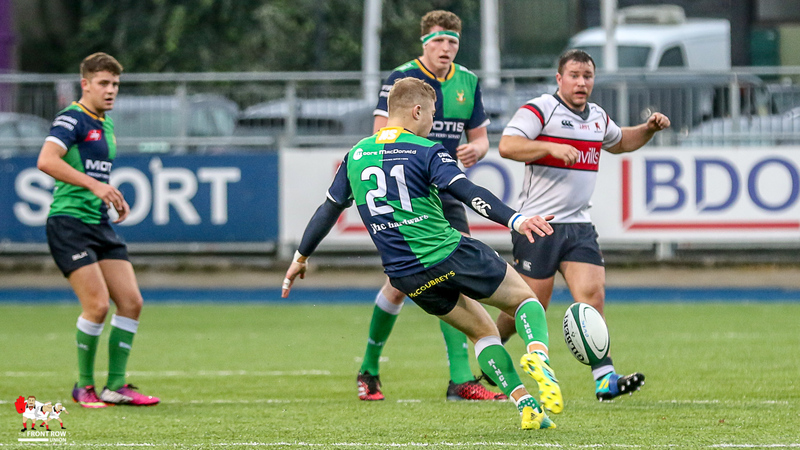 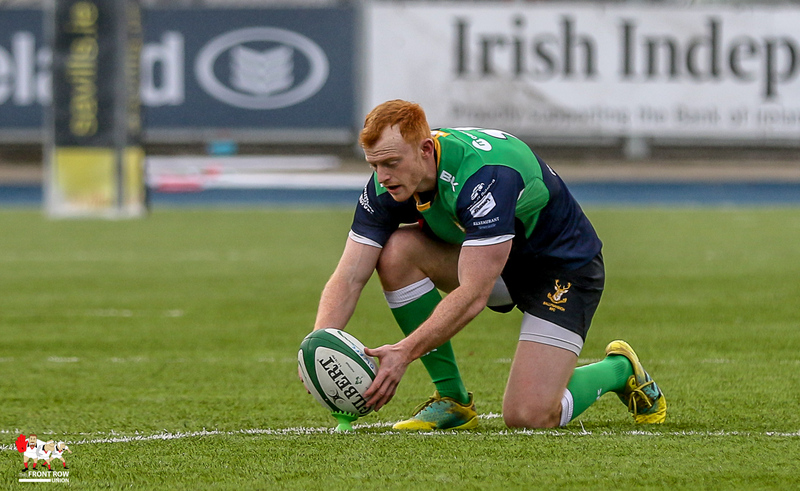 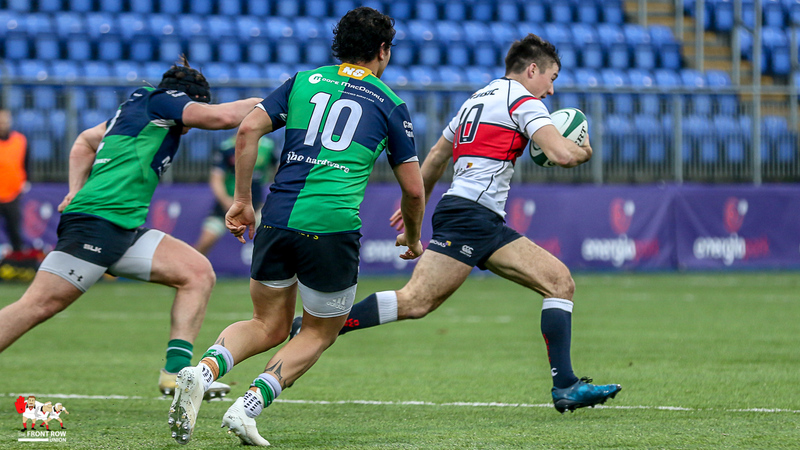 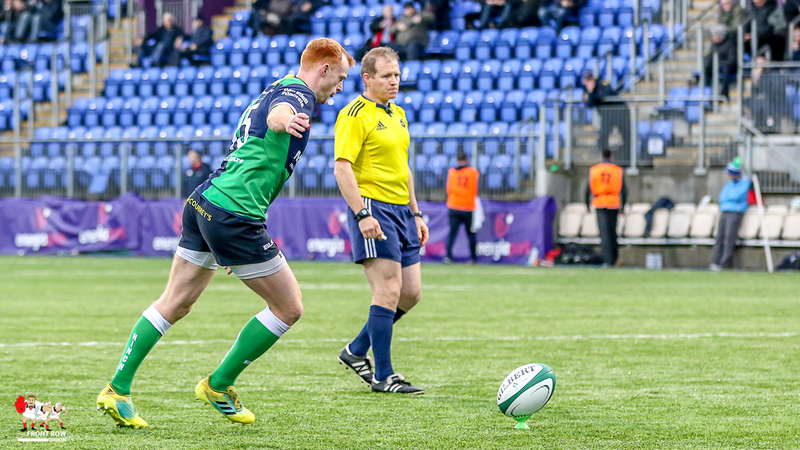 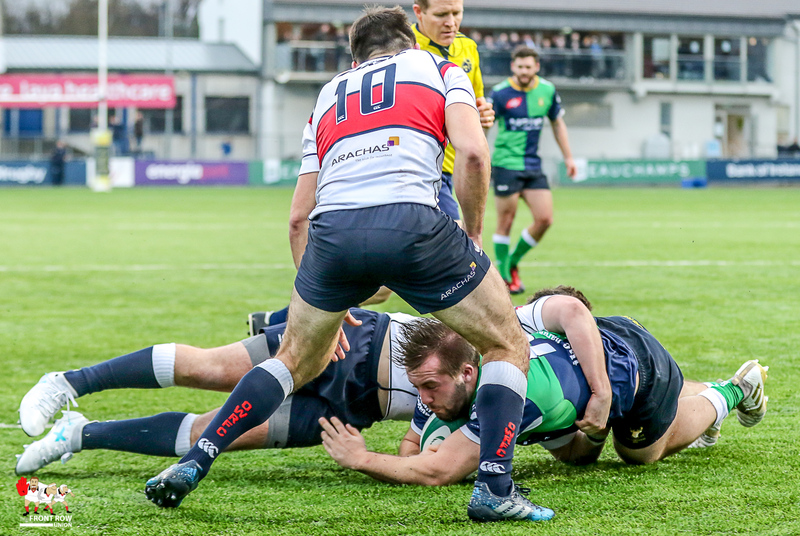 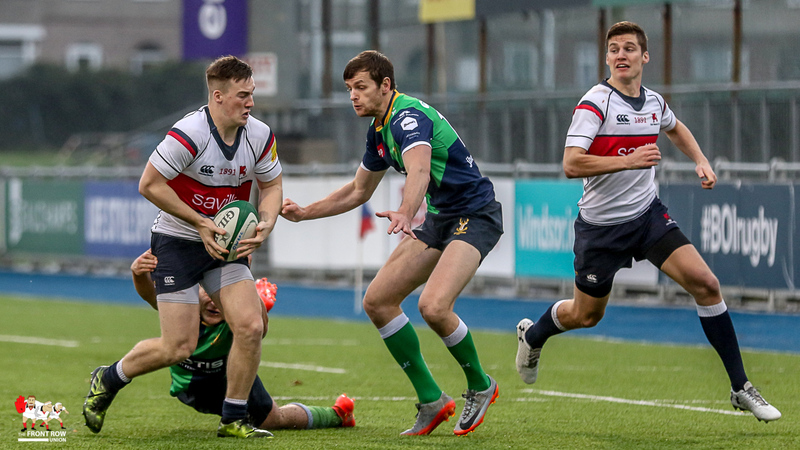 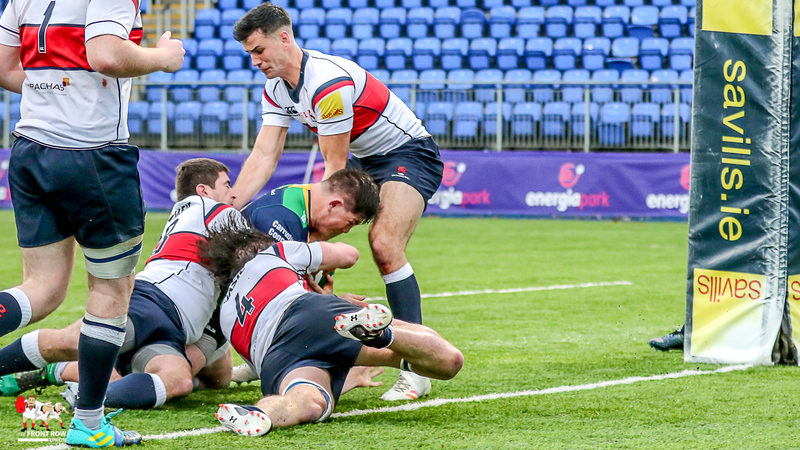 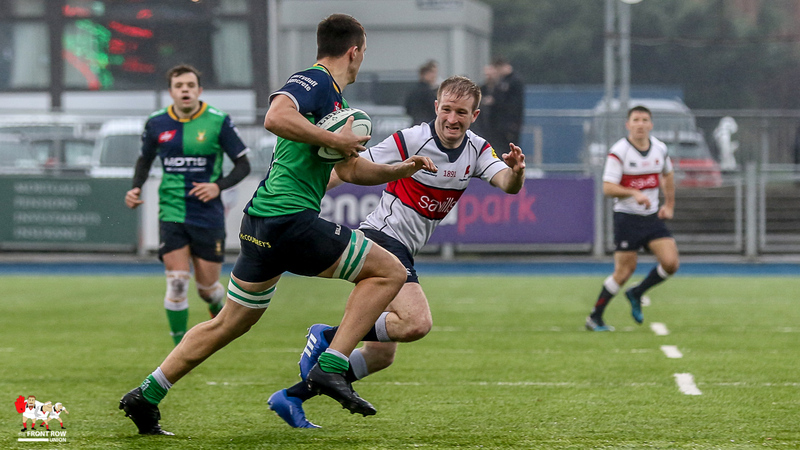 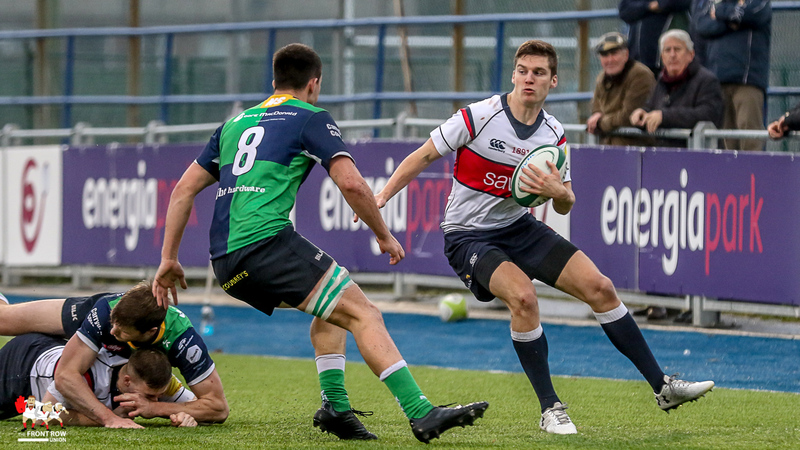 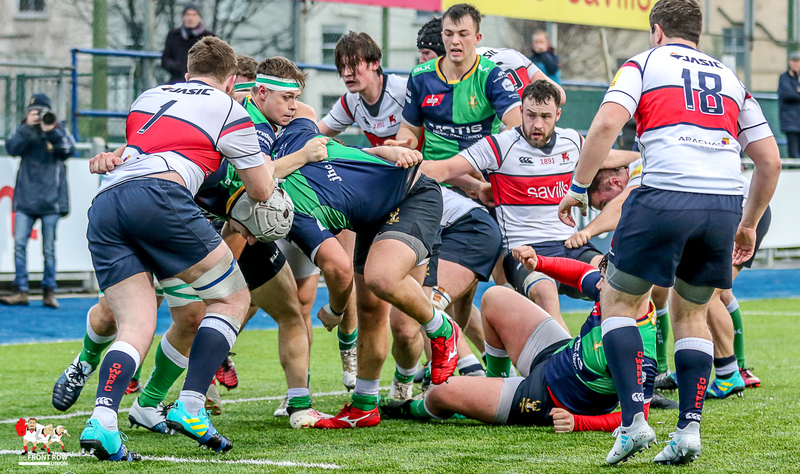 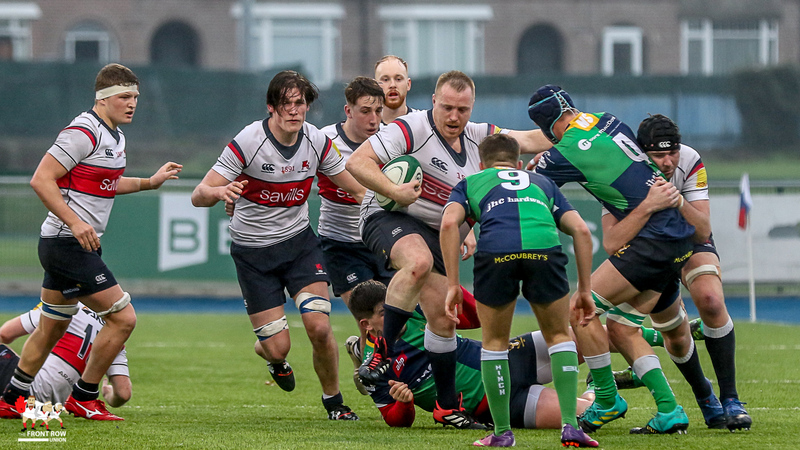 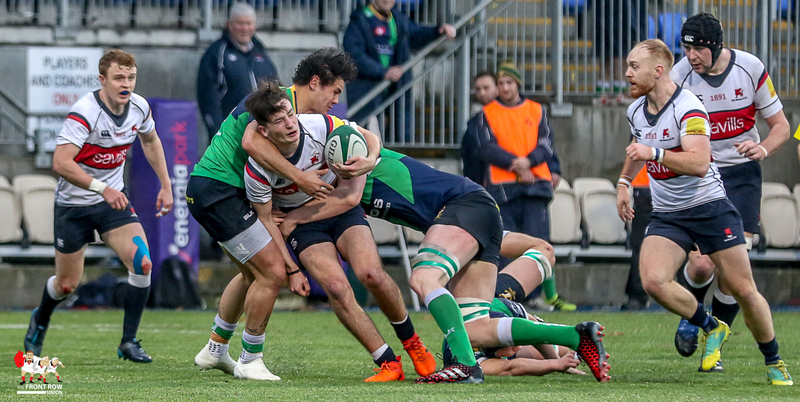 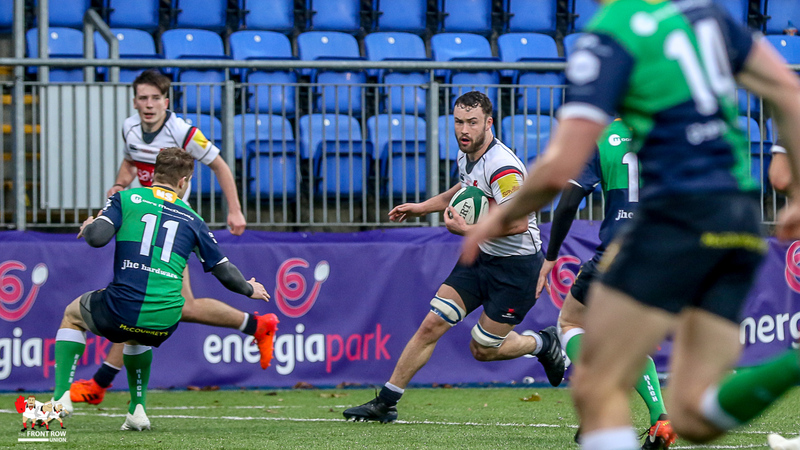 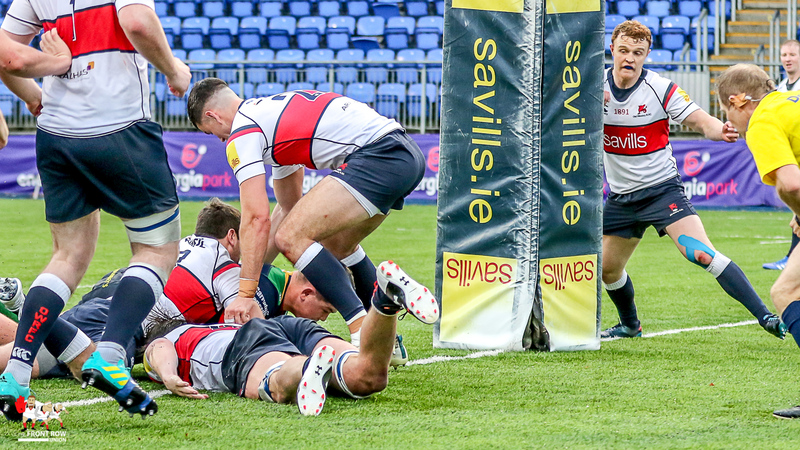 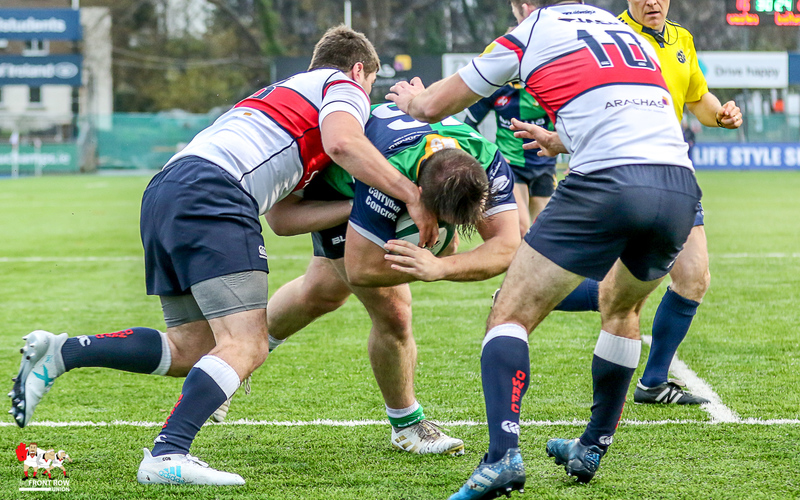 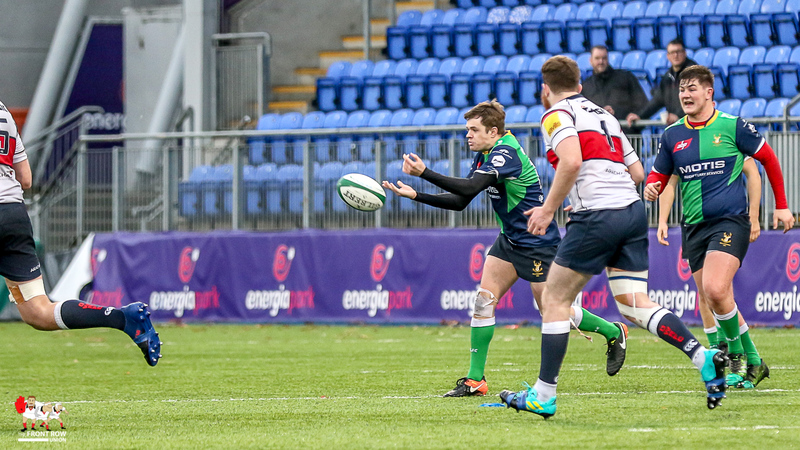 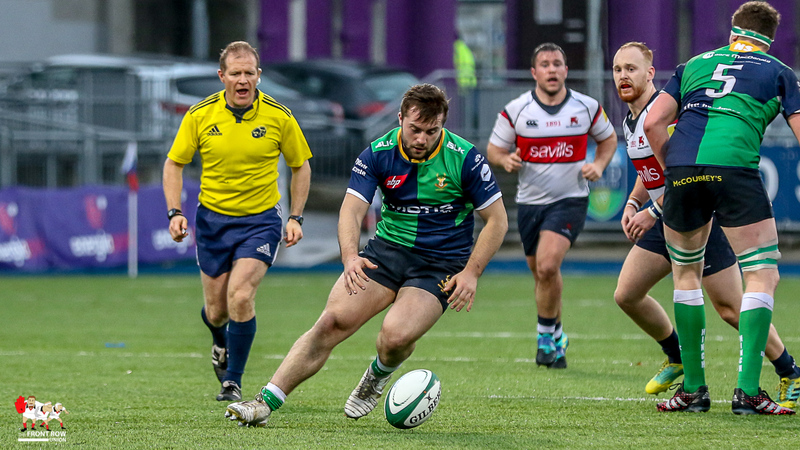 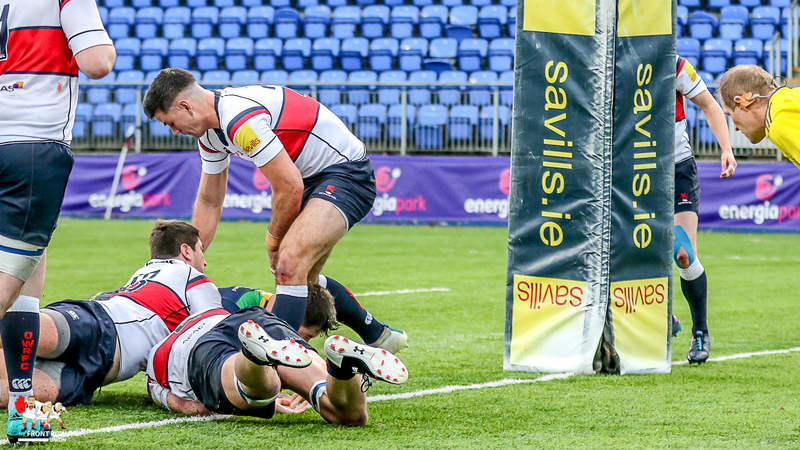 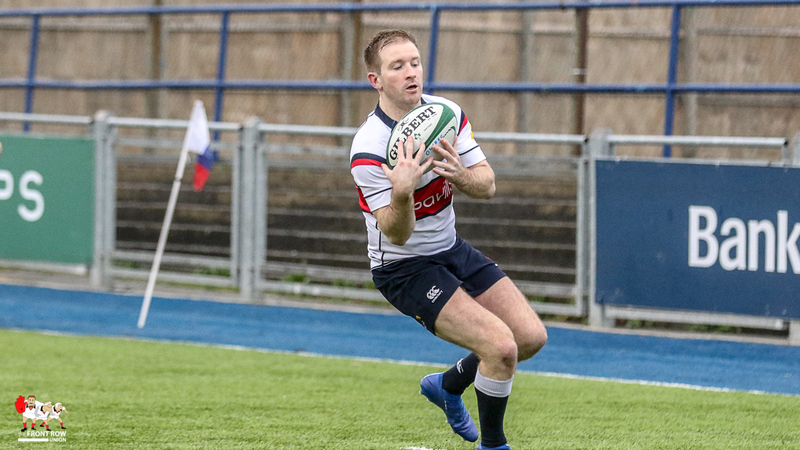 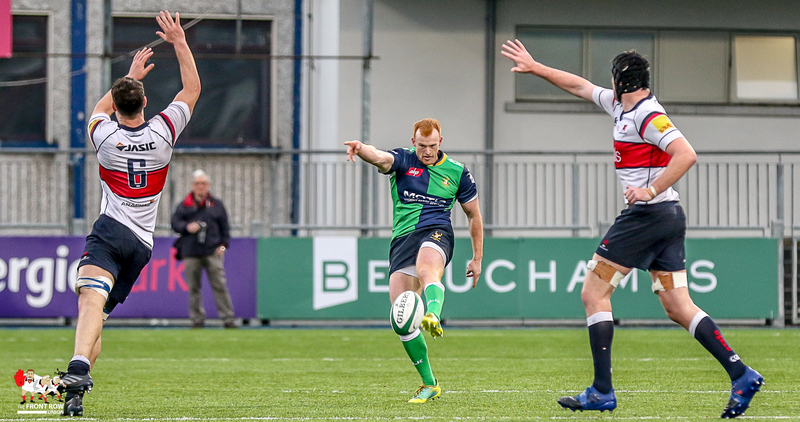 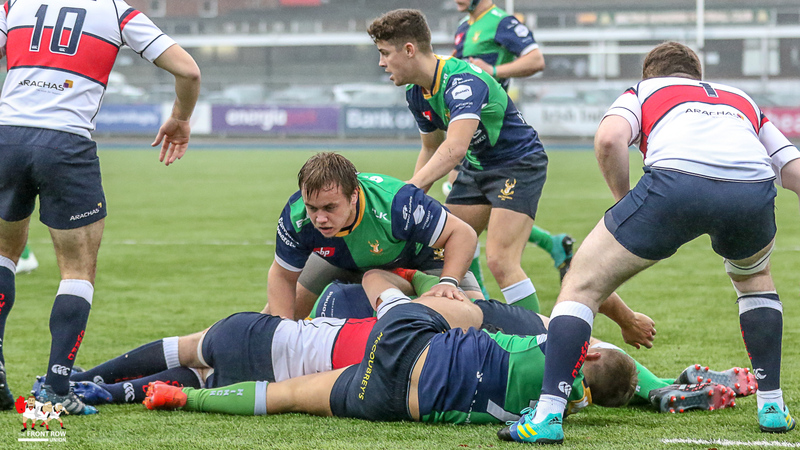 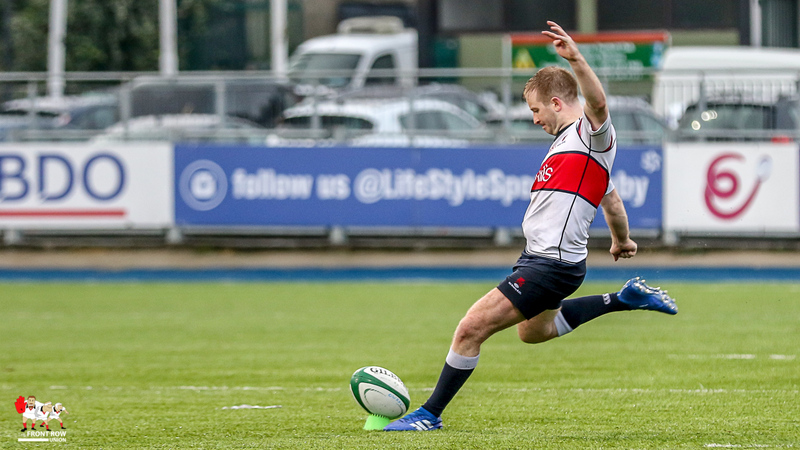 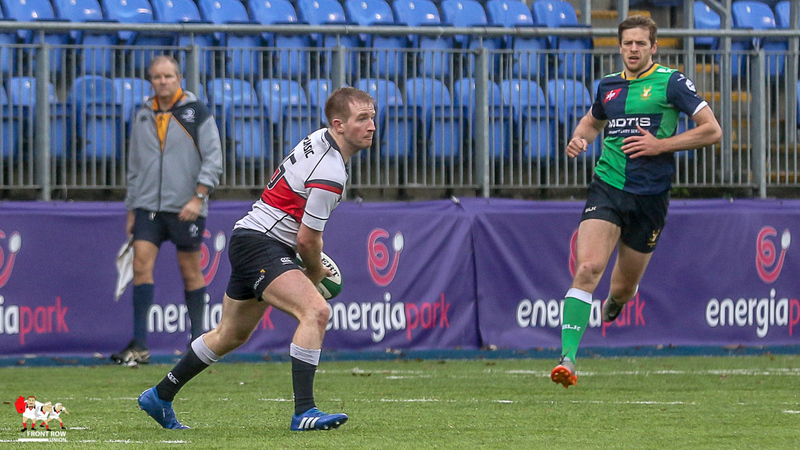 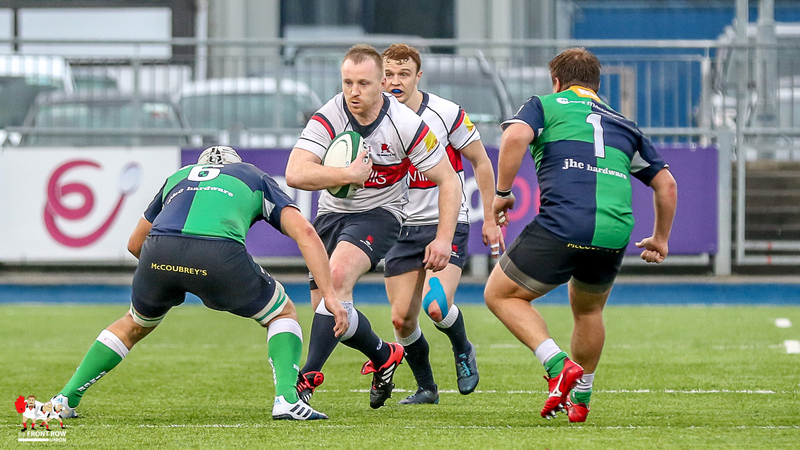 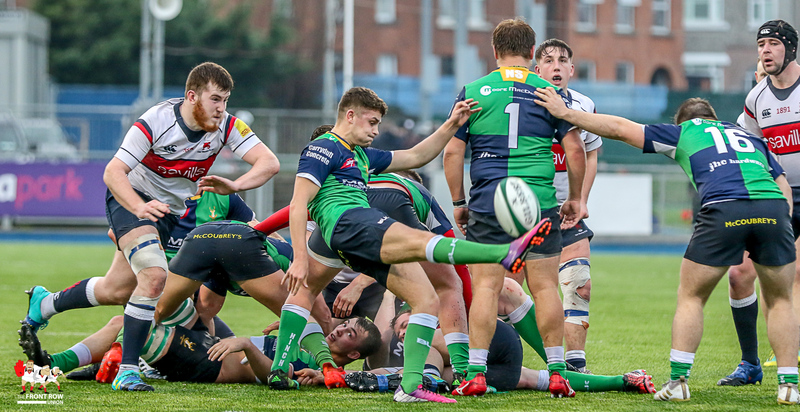 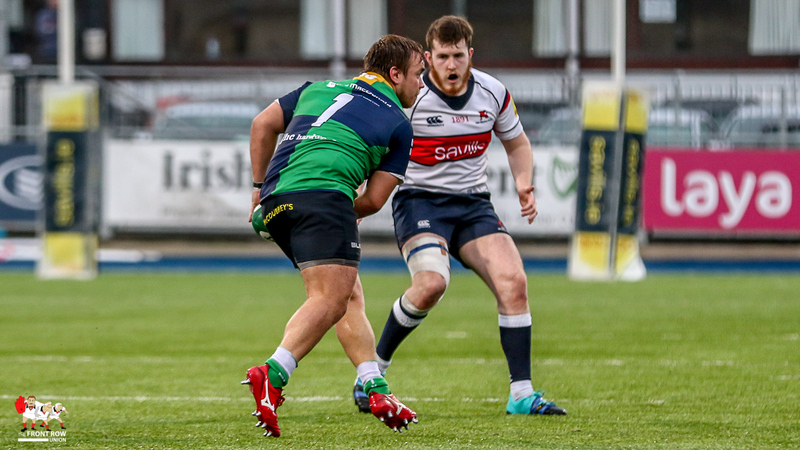 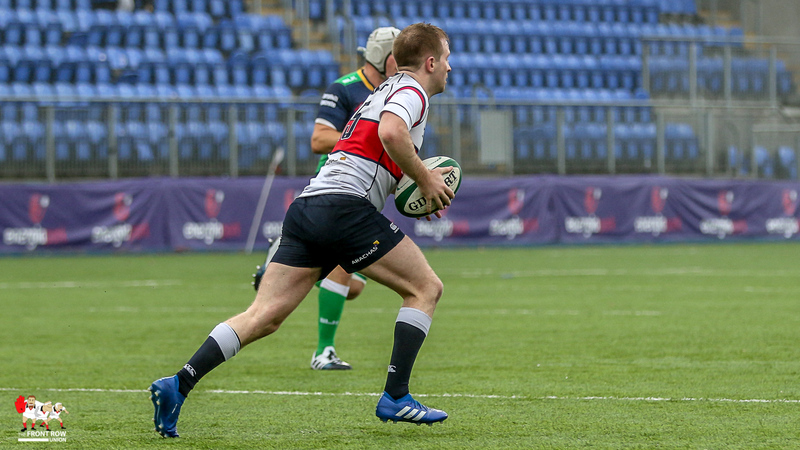 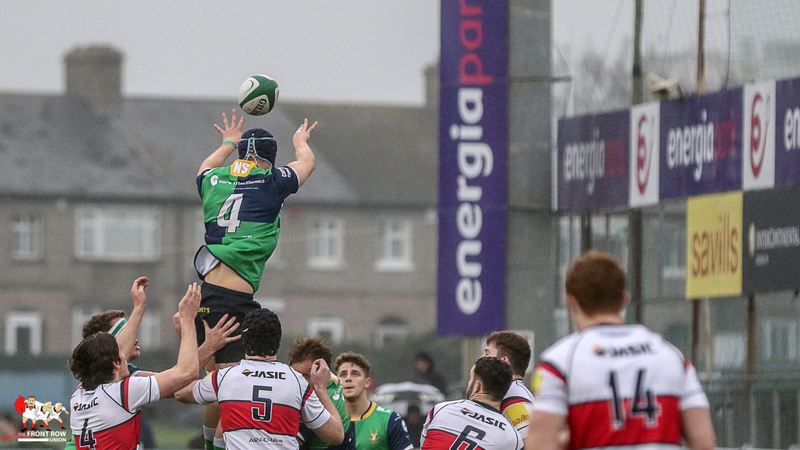 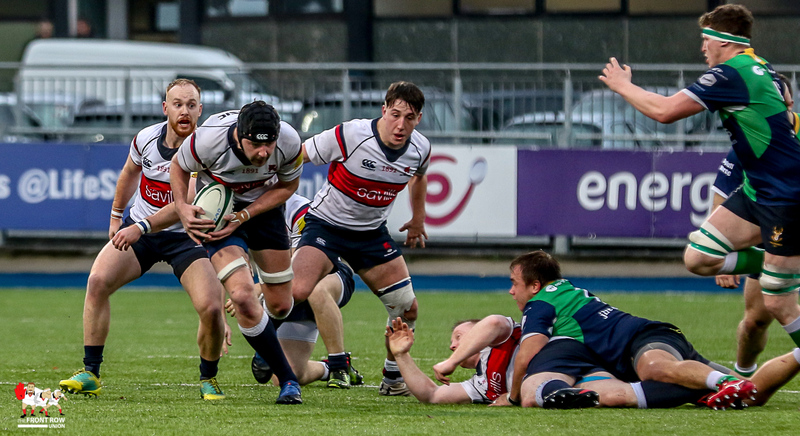 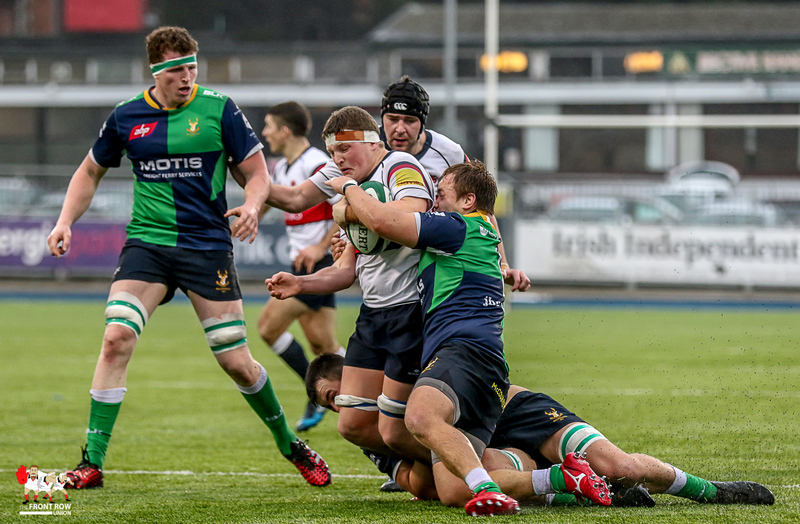 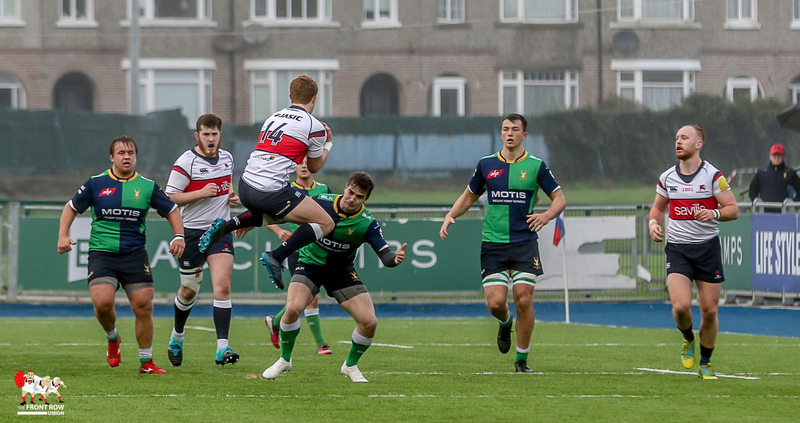 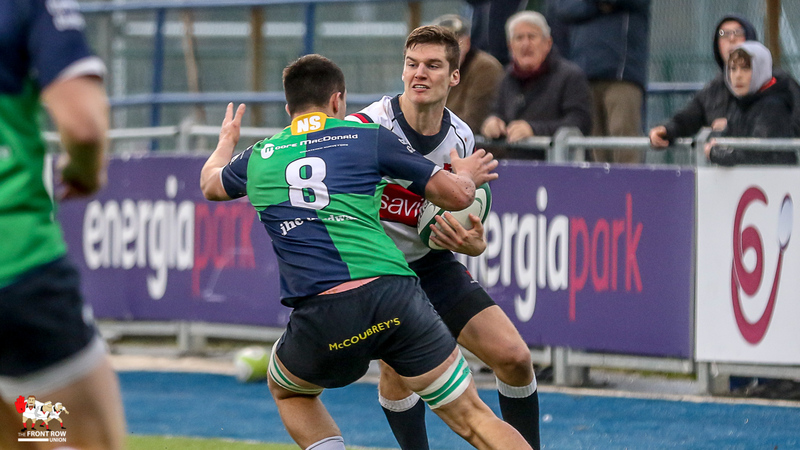 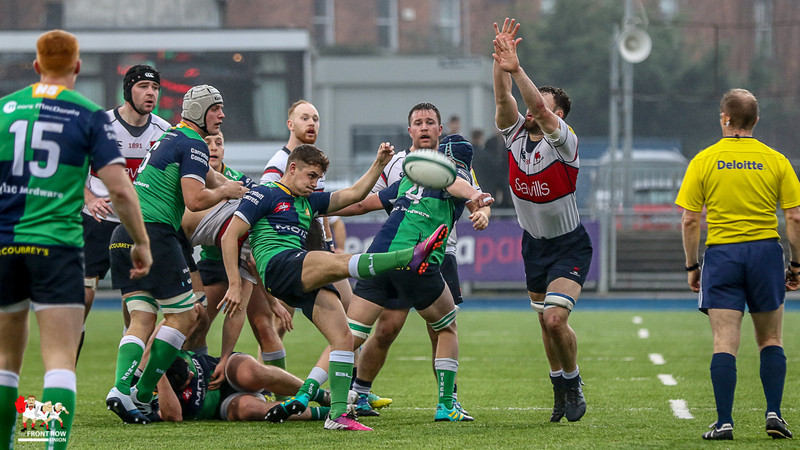 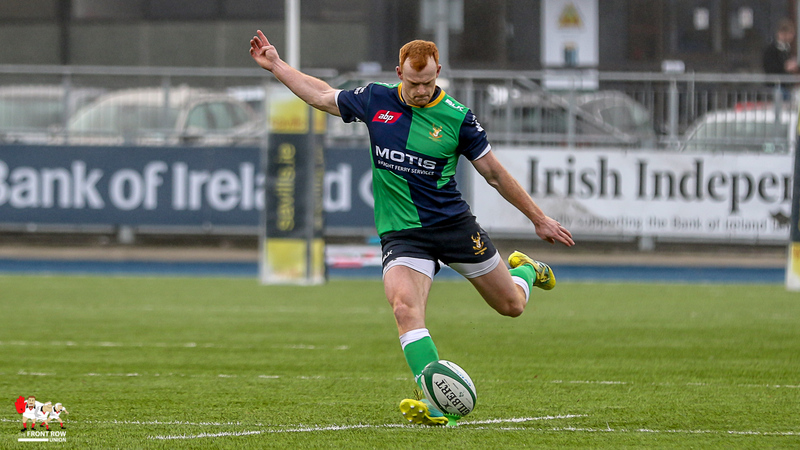 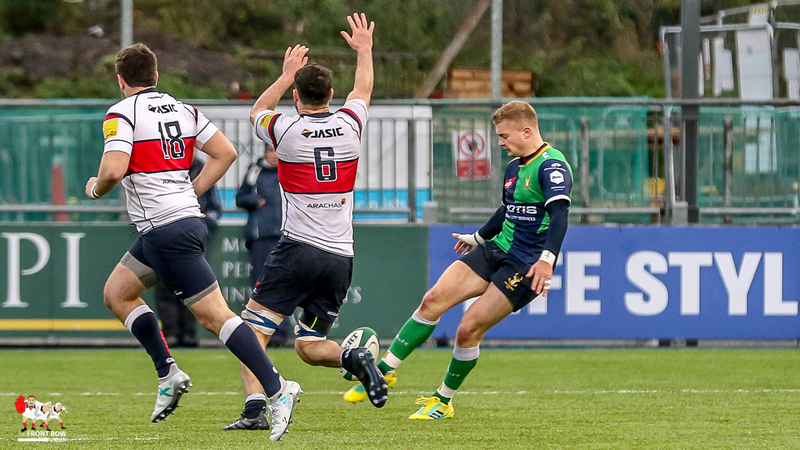 Old Wesley and Ballynahinch went head to head at Donnybrook on Saturday afternoon in the AIL 1B with Hinch returning north with a win in the bag. 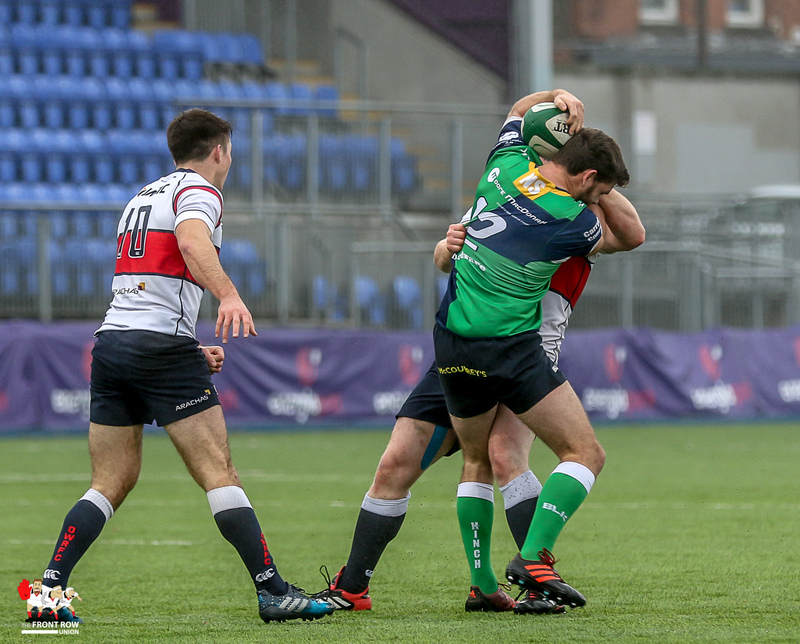 It was a cagey game dominated by the boots of Old Wesley’s Rory Stynes and Ballynahinch’s Peter Nelson. 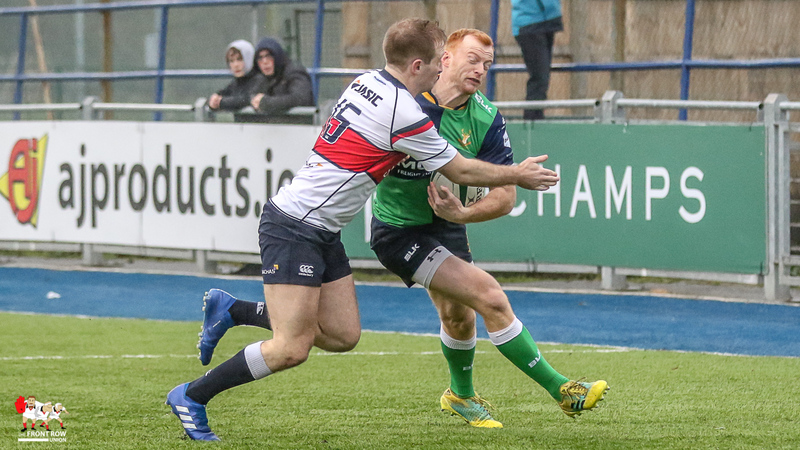 We’d said in our preview that we are waiting for Hinch to cut loose this season and we still are as this was a dour old arm wrestle with both sides more intent on not losing rather than winning. 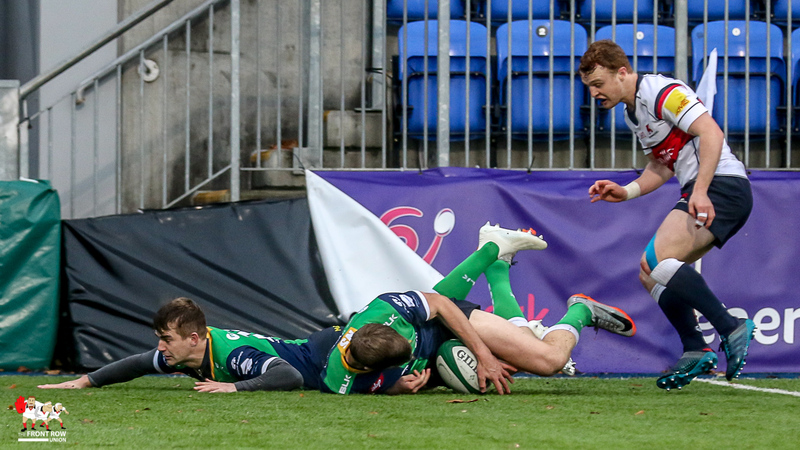 Hinch set the tone, opting for Nelson’s first penalty on the third minute but when Wesley stormed up field minutes later for a try, scored by Mark Rowley and converted by Stynes I was hopeful for a bit of excitement. 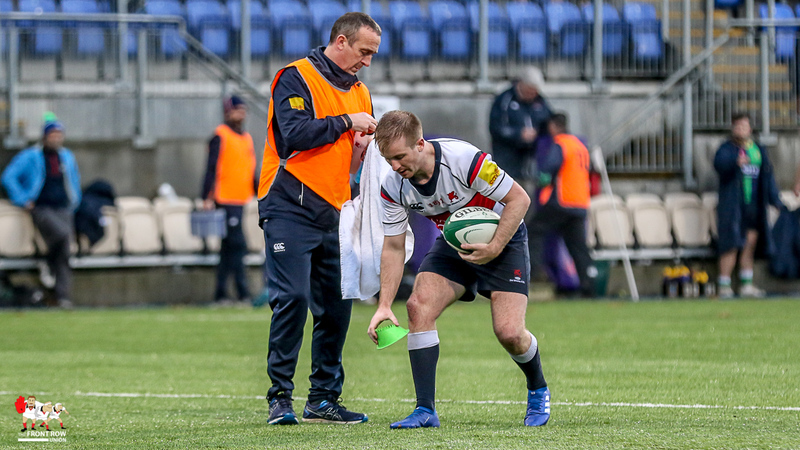 Unfortunately not. 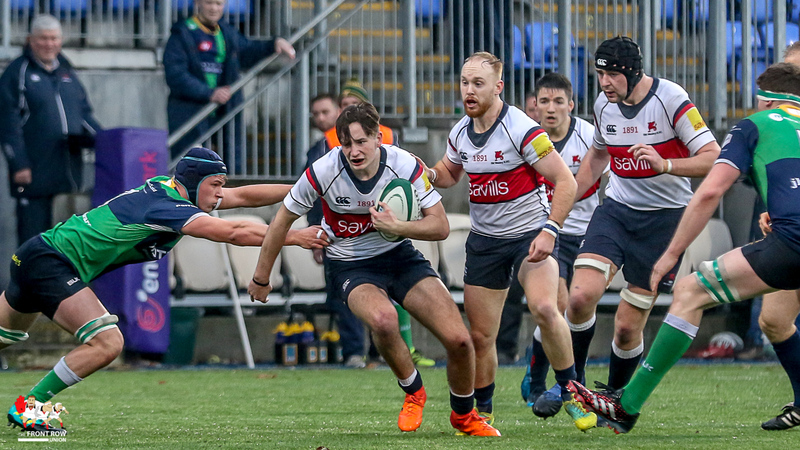 Nelson knocked over three more penalties and Stynes two in an uneventful first half leaving the score Old Wesley 13 Ballynahinch 12 at the break. 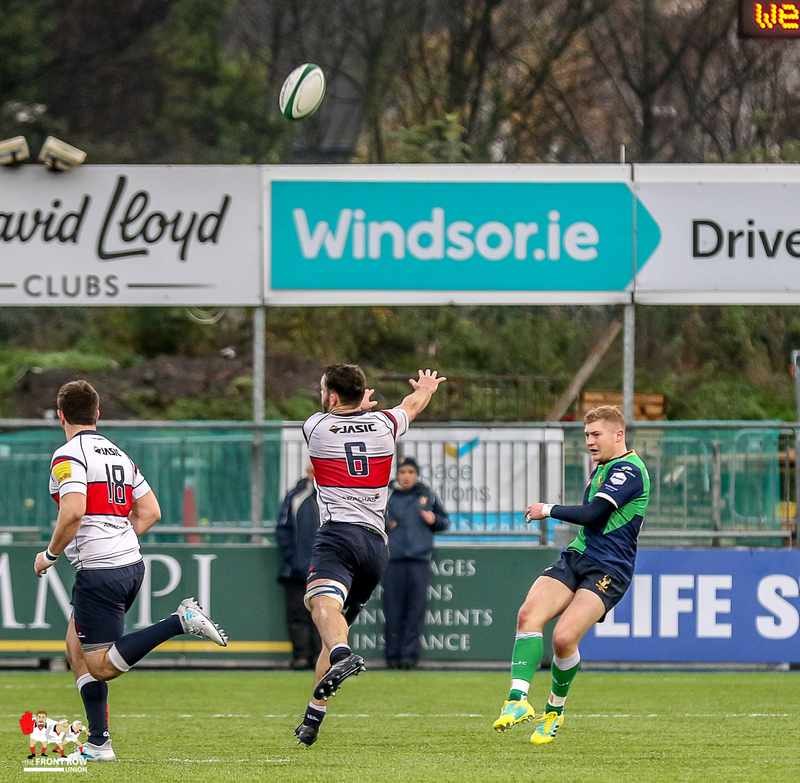 The second half started in the same vein with the teams swapping pens before Nelson and then Stynes both missed! 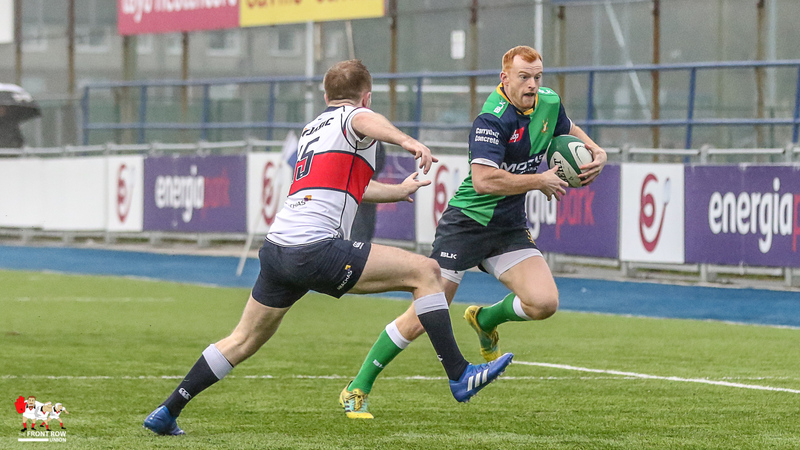 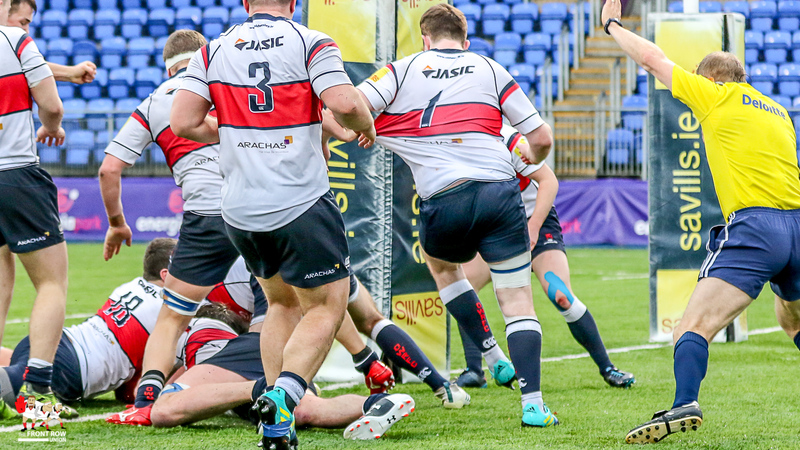 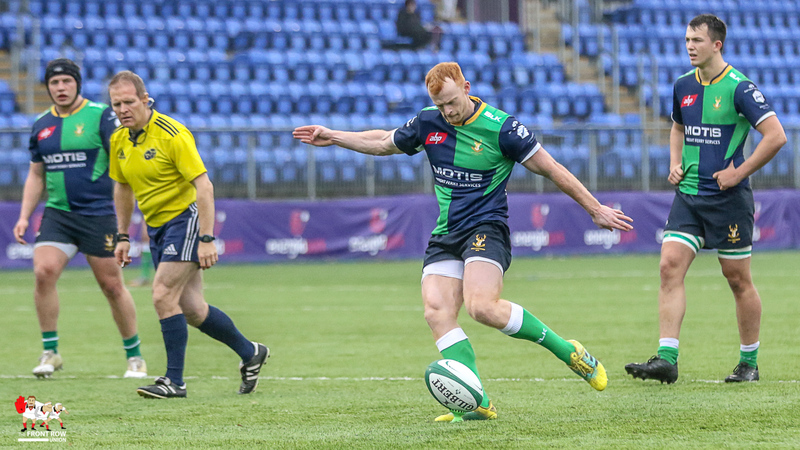 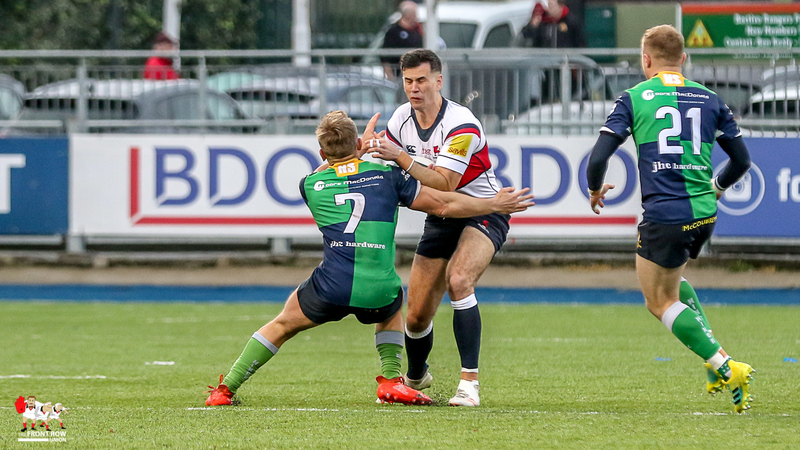 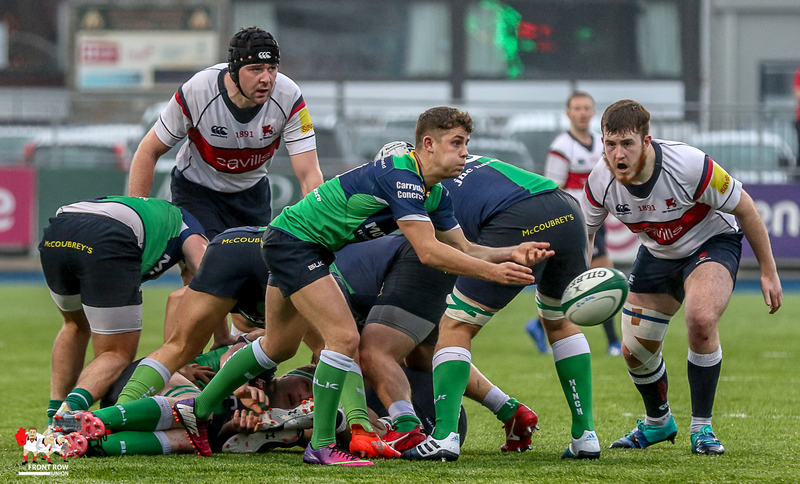 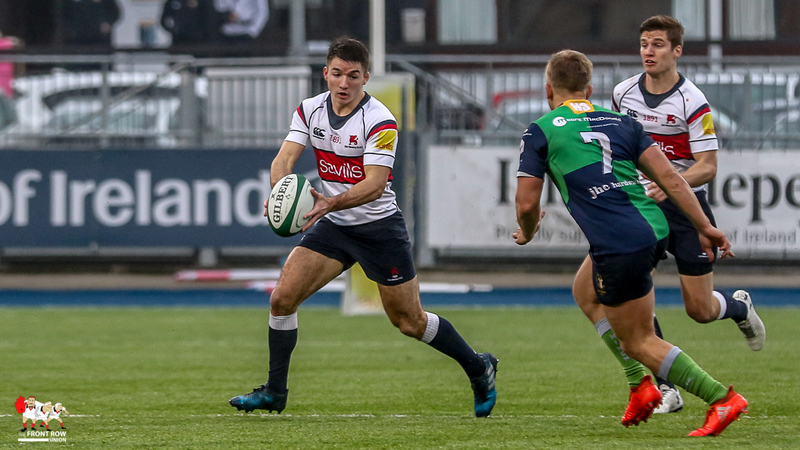 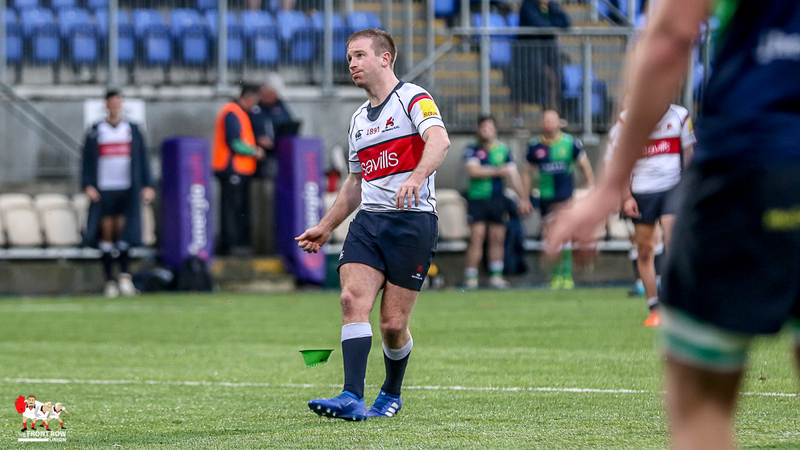 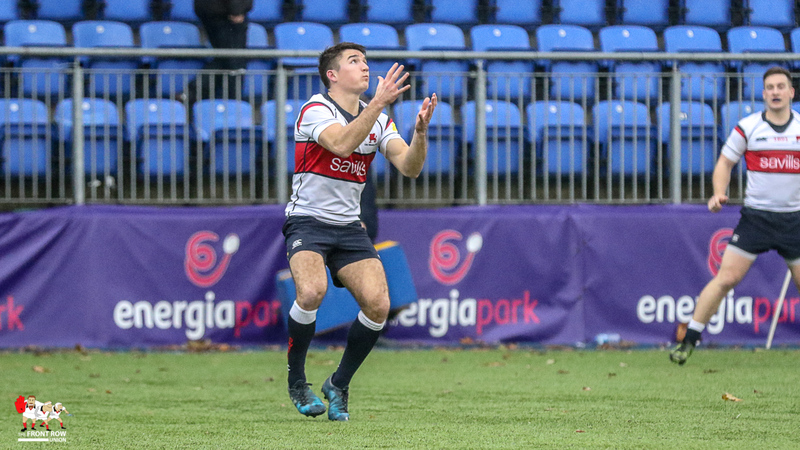 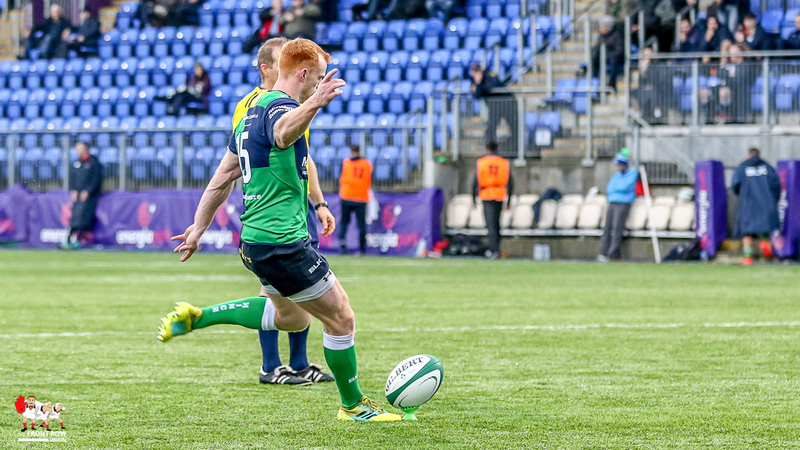 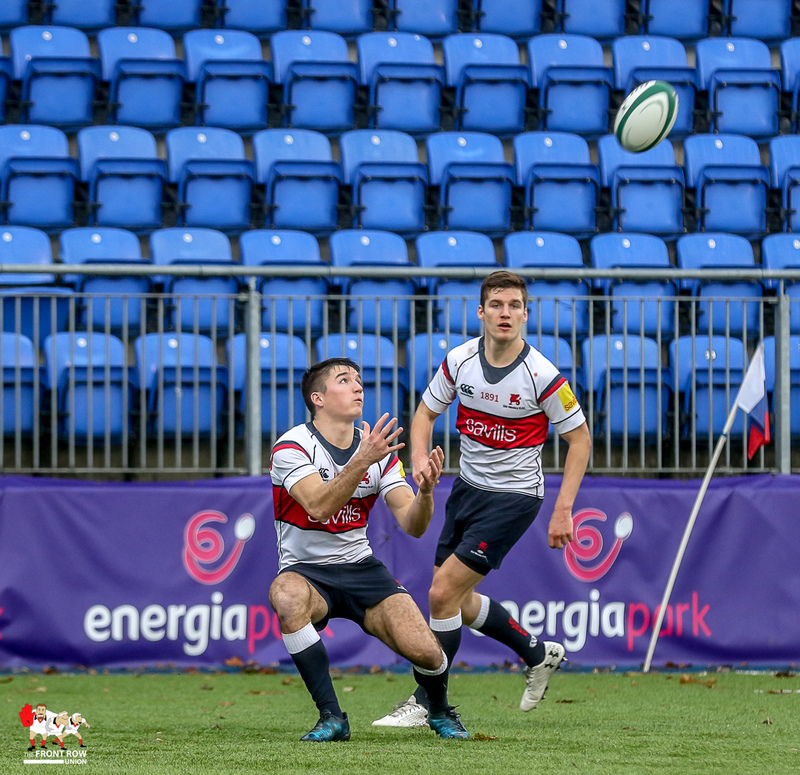 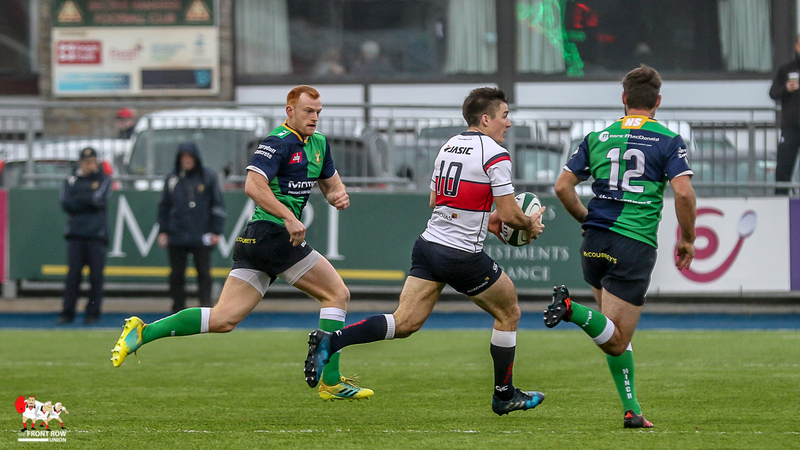 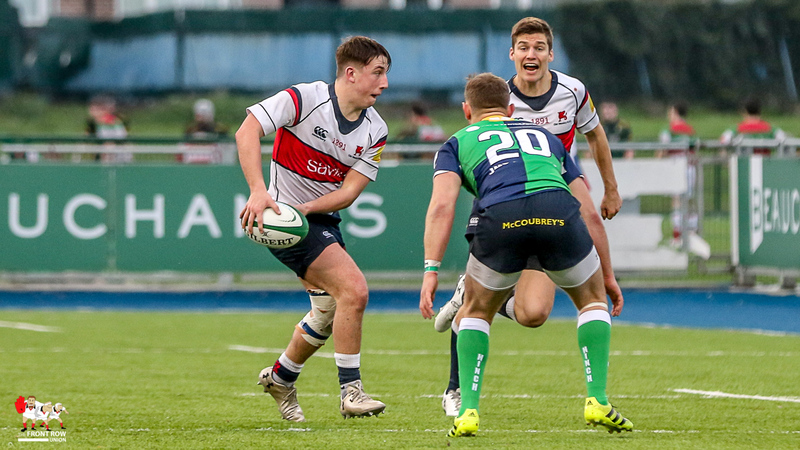 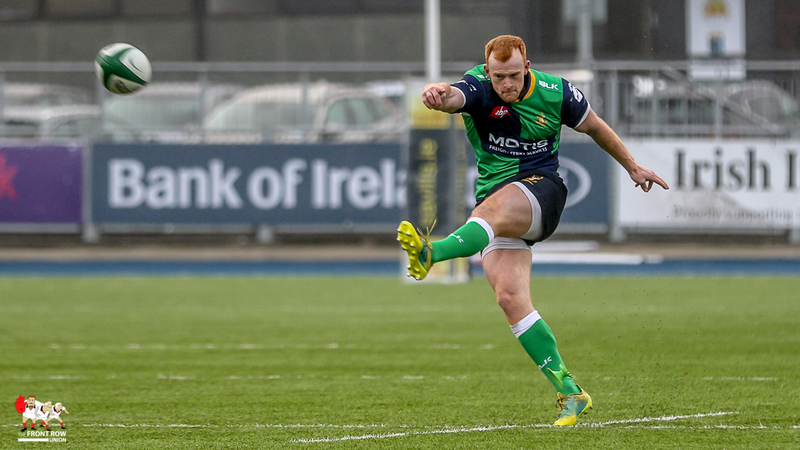 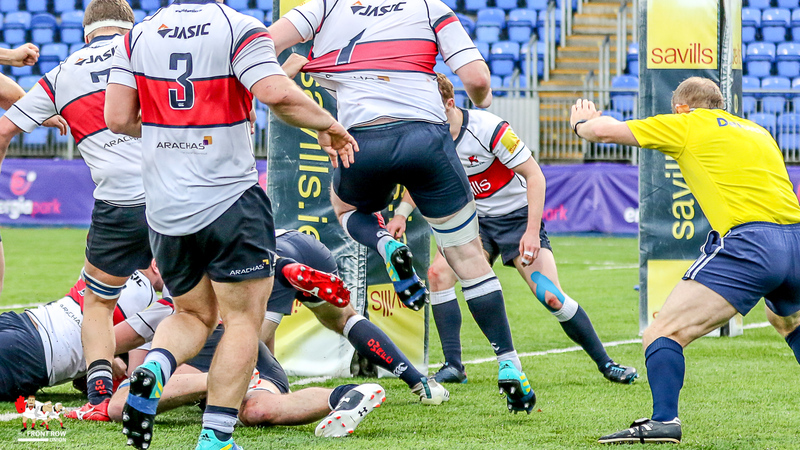 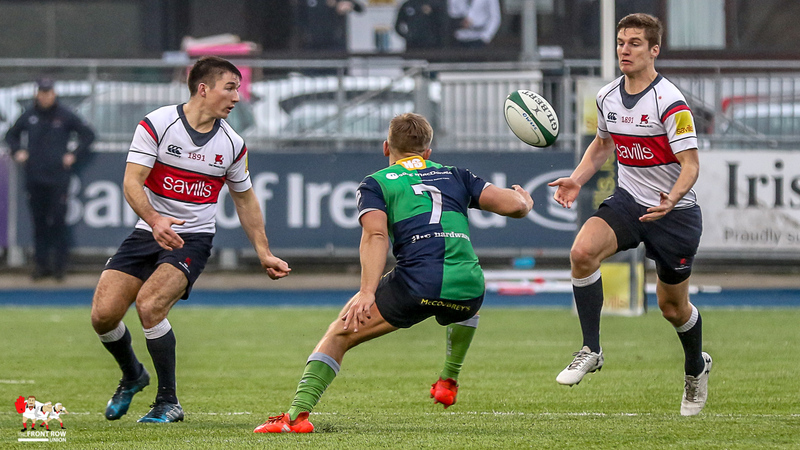 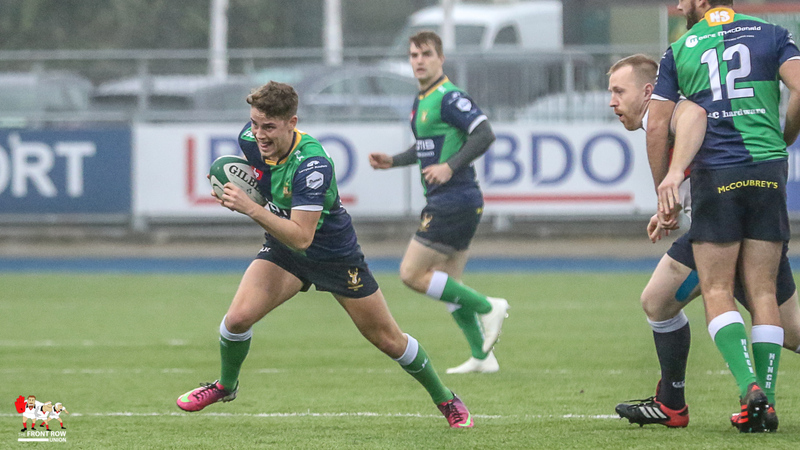 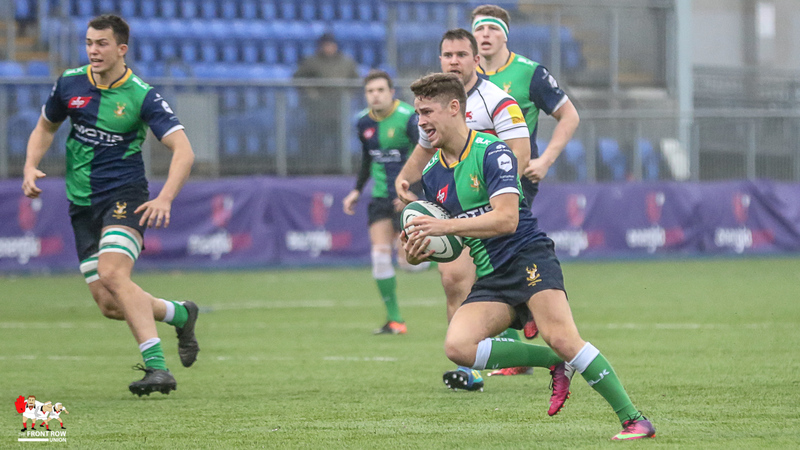 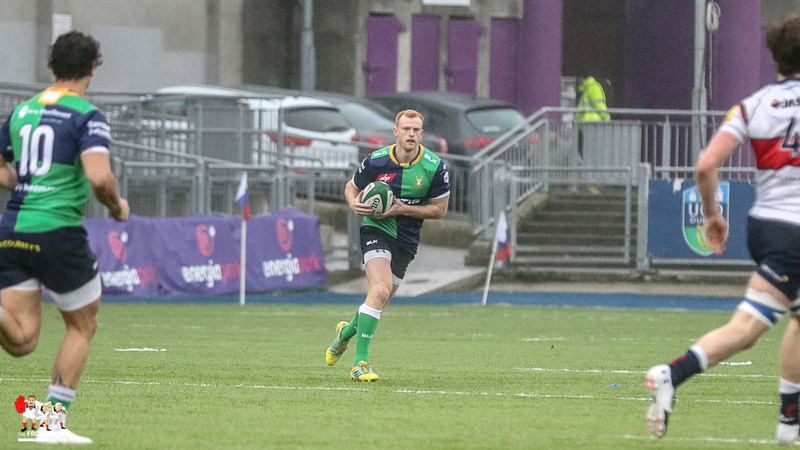 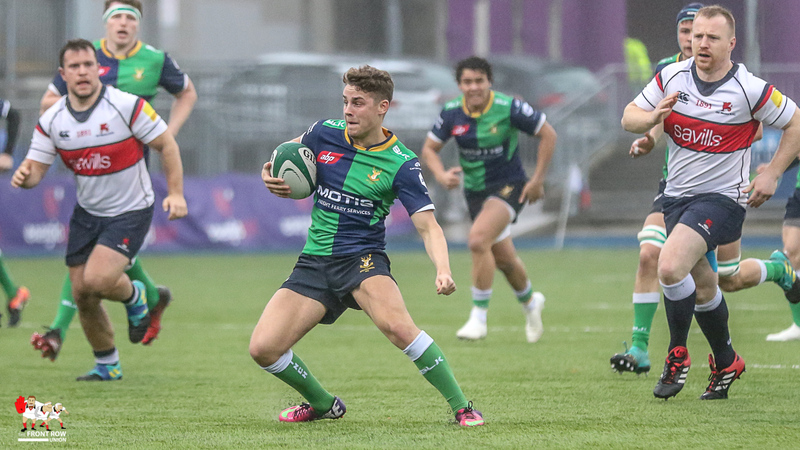 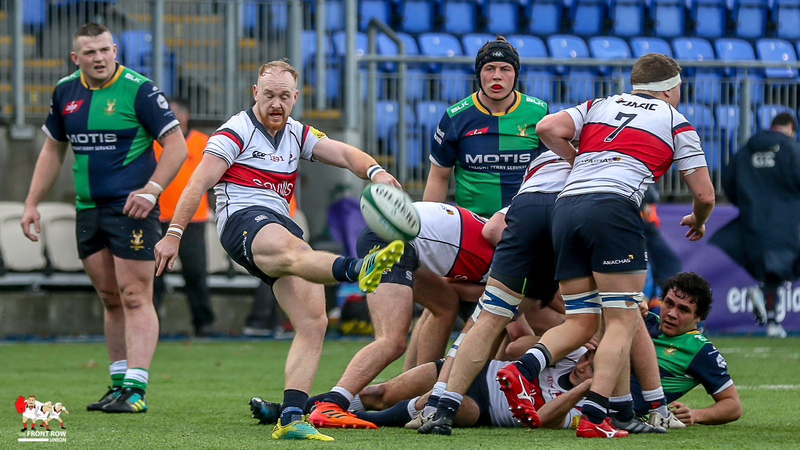 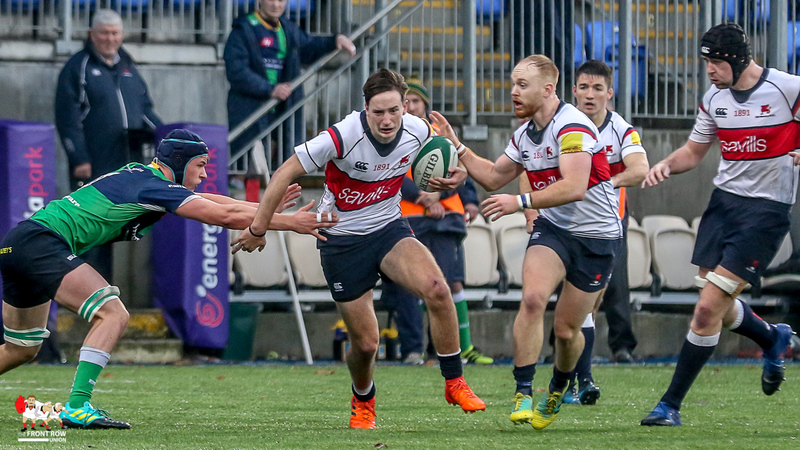 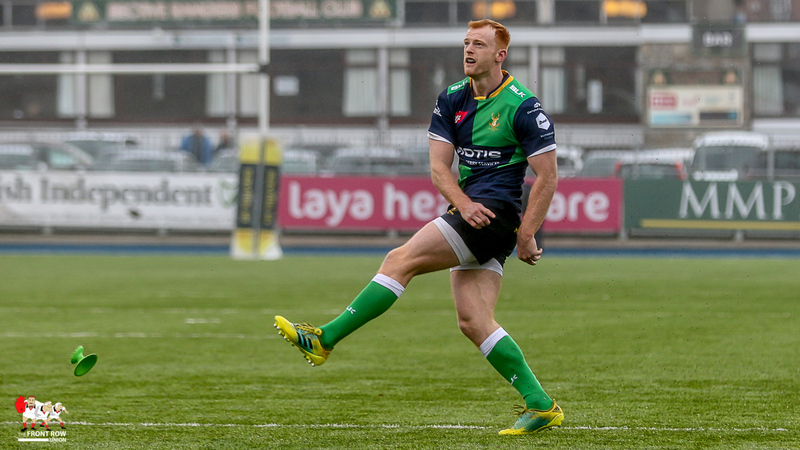 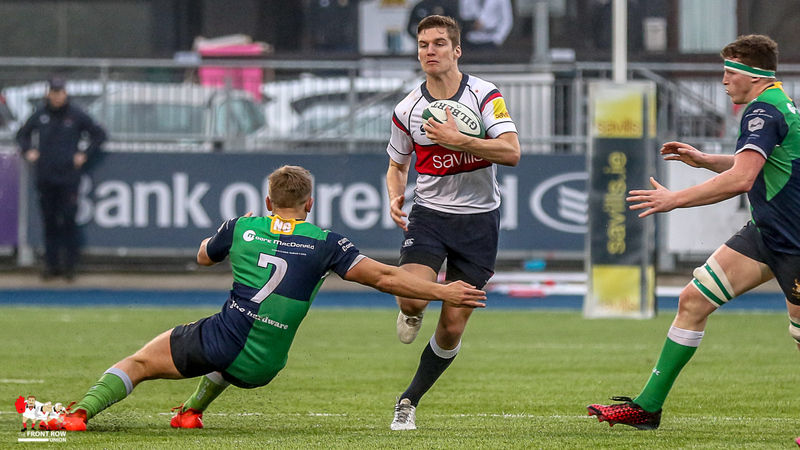 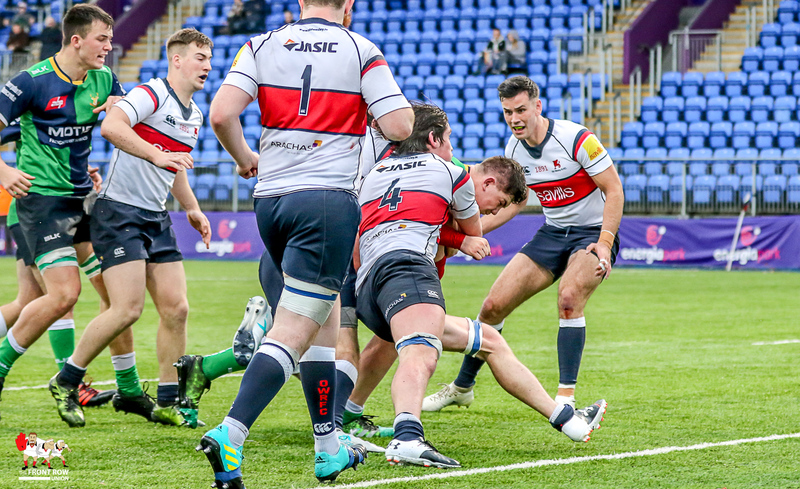 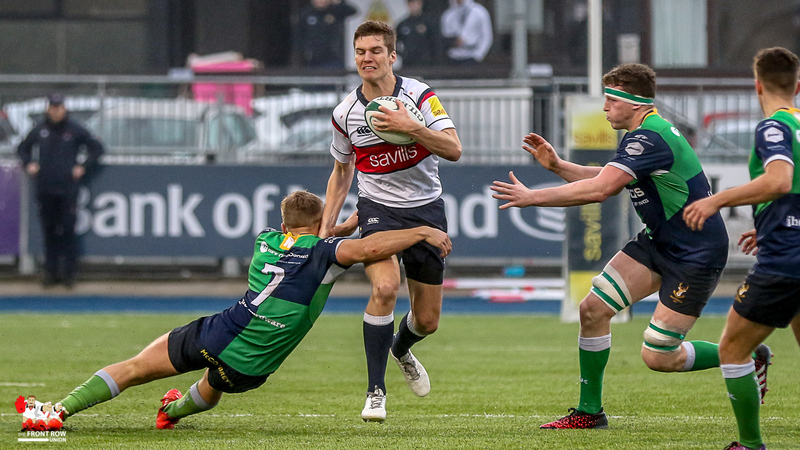 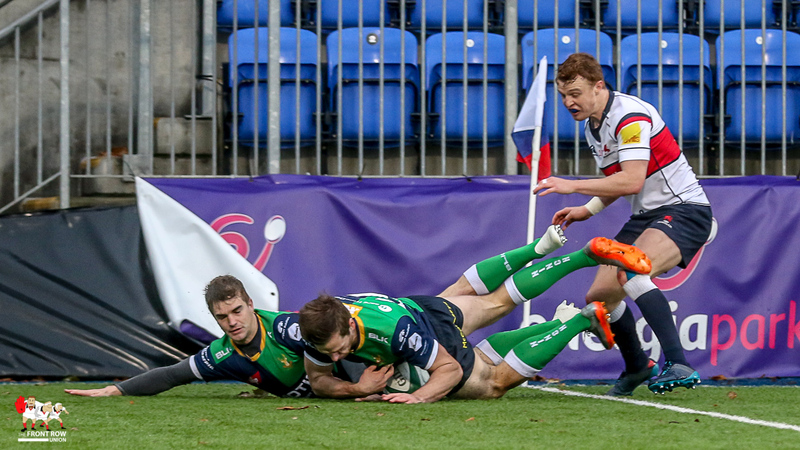 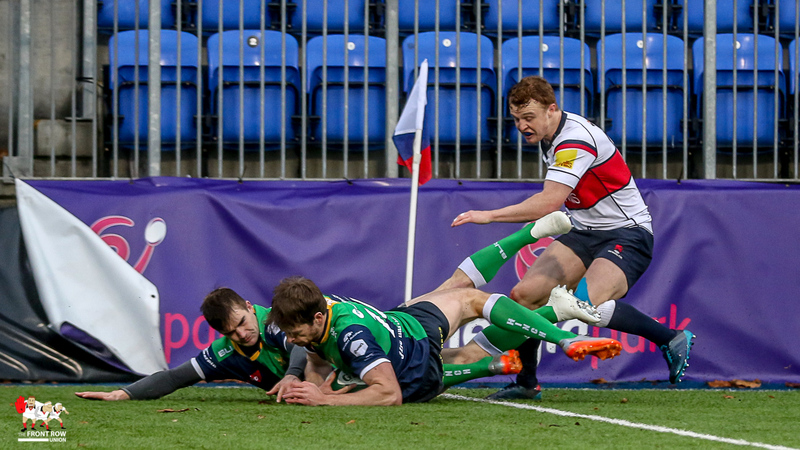 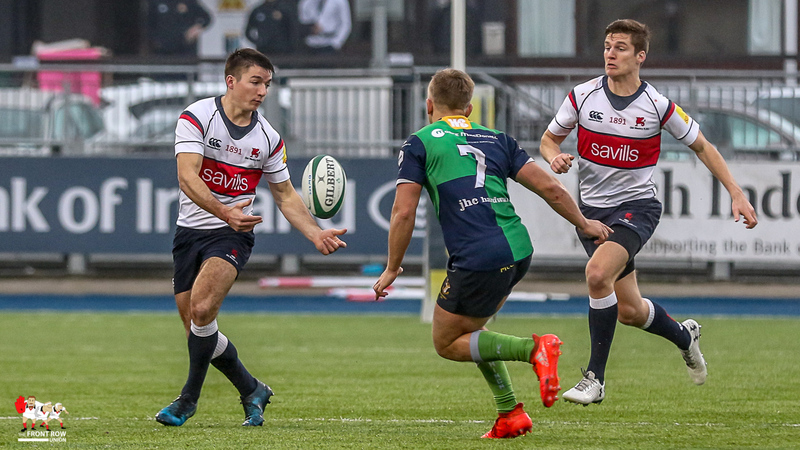 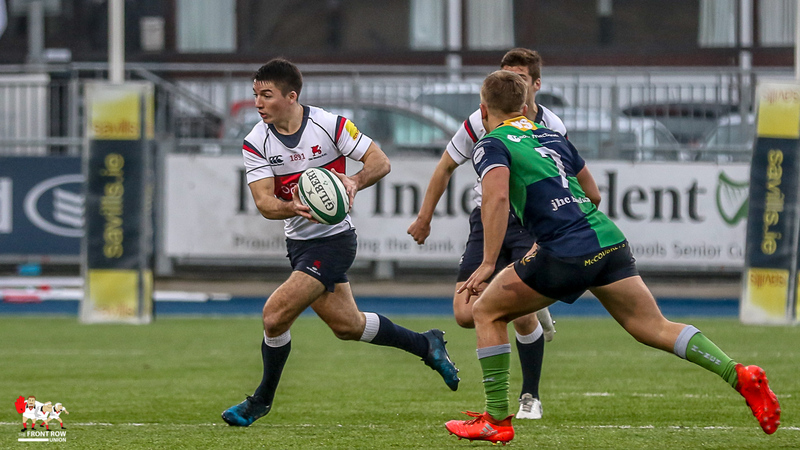 By this stage though Hinch were starting to edge marginally ahead across the pitch and their upswing in fortunes was completed when Ross Adair found the line at the start of the final quarter, putting Hinch 16 – 20 in front. 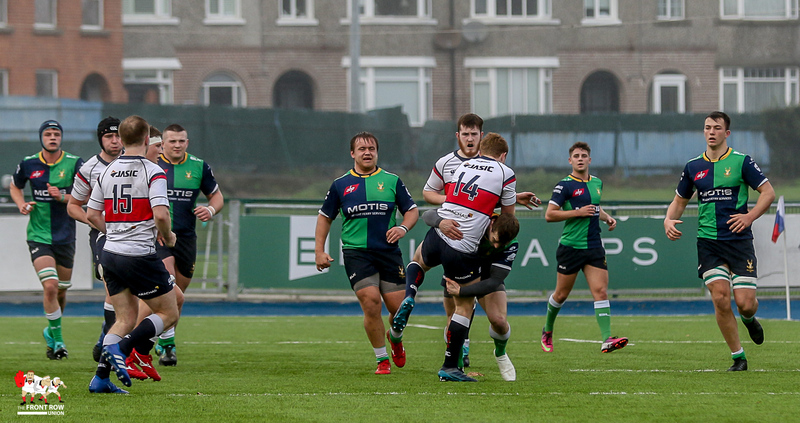 Ten minutes later Hinch were hammering at the Wesley line once again and after a strong lineout maul the ball was brought infield were, a couple of rucks later, Campbell Classon hit the line at the bottom of a heap of Wesley defenders. 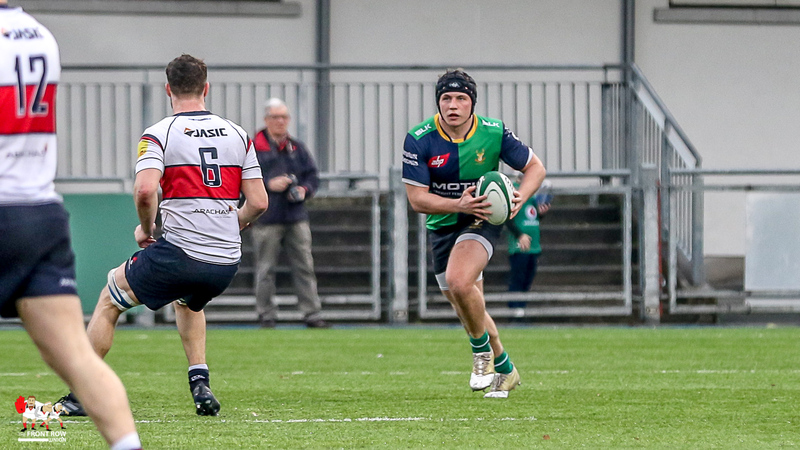 Nelson added the conversion to give a final score of Old Wesley 16 Ballynahinch 27. 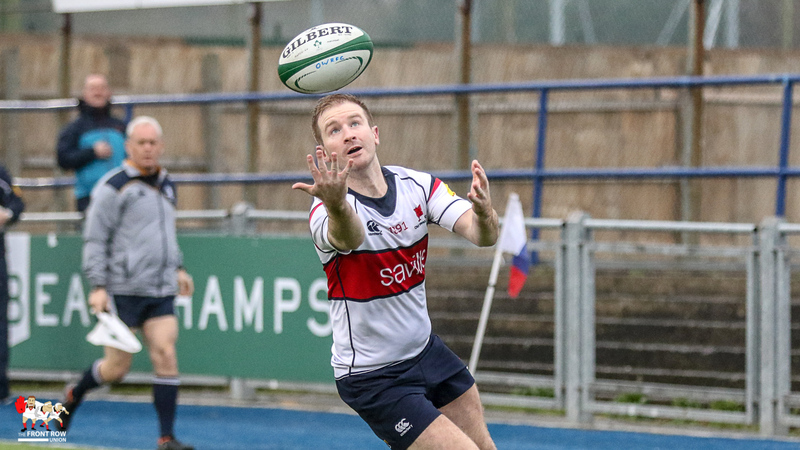 OLD WESLEY: Rory Stynes; Tommy O’Callaghan, Bill Corrigan, David Poff, Alan Jeffares; Tom Kiersey, Charlie O’Regan; Ciaran McHugh, Ben Burns, James Burton, JJ O’Dea, Iain McGann (capt), Paul Derham, Josh Pim, Mark Rowley. 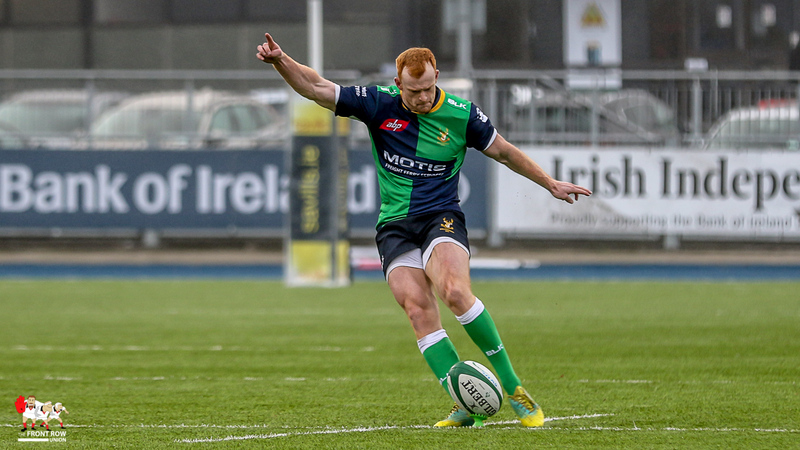 Replacements: Andrew McCrann, Martin Gately, Darren Horan, Josh Miller, James O’Donovan. 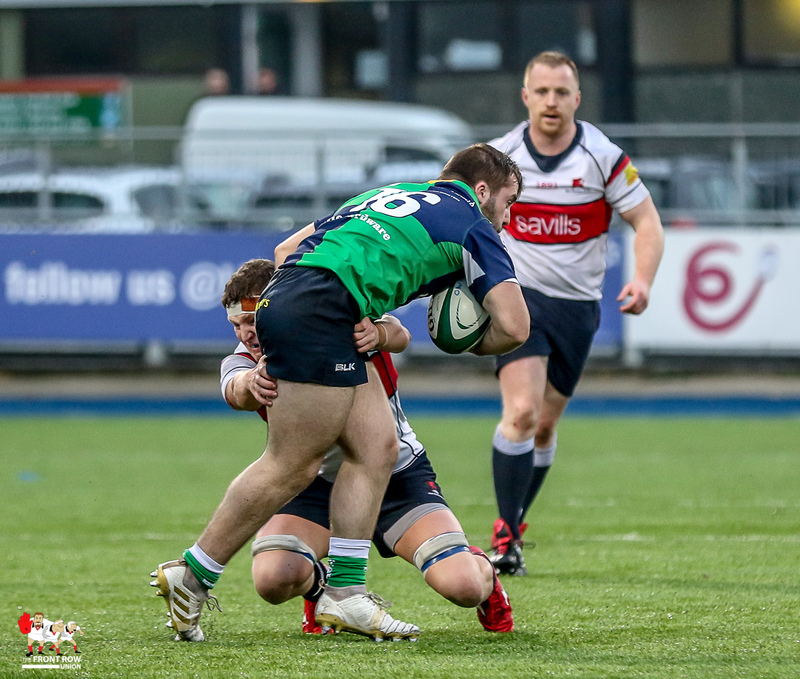 BALLYNAHINCH: Peter Nelson; Richard Reaney, Callum McLaughlin, Robin Harte, Aaron Cairns (capt); Hilton Gibbons, Rhys O’Donnell; Kyle McCall, Zack McCall, Tommy O’Hagan, John Donnan, Tom Martin, Keith Dickson, Ollie Loughead, Conall Boomer. 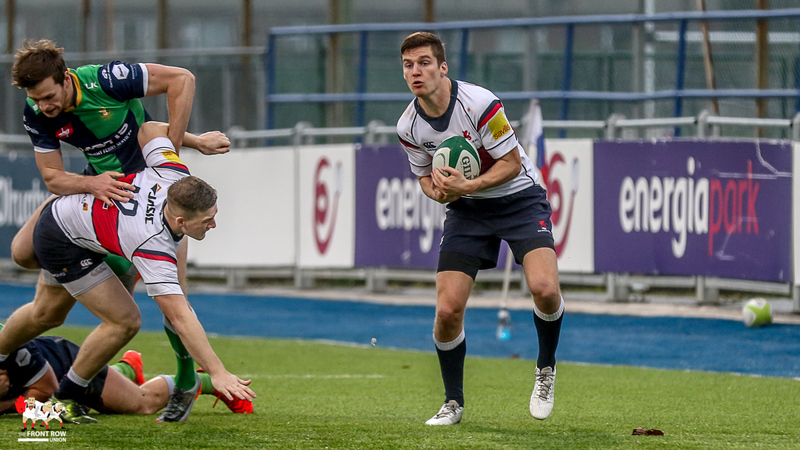 Replacements: Claytan Milligan, Campbell Classon, Connor Phillips, Ryan Wilson, Ross Adair.